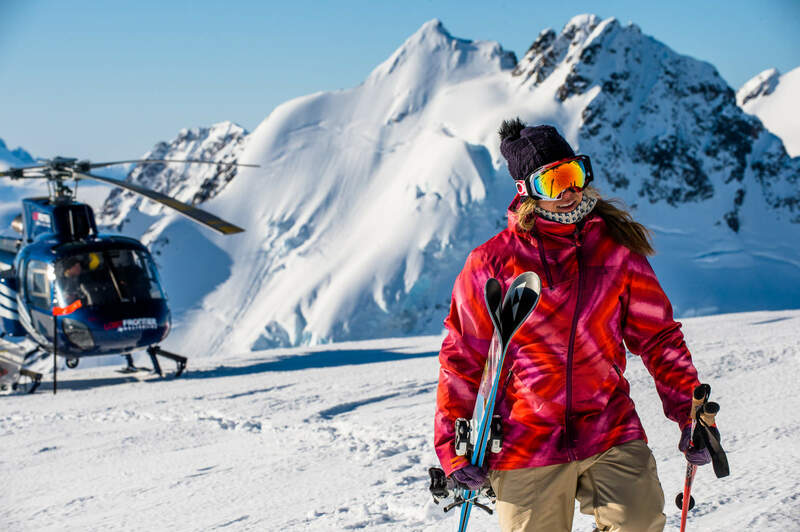 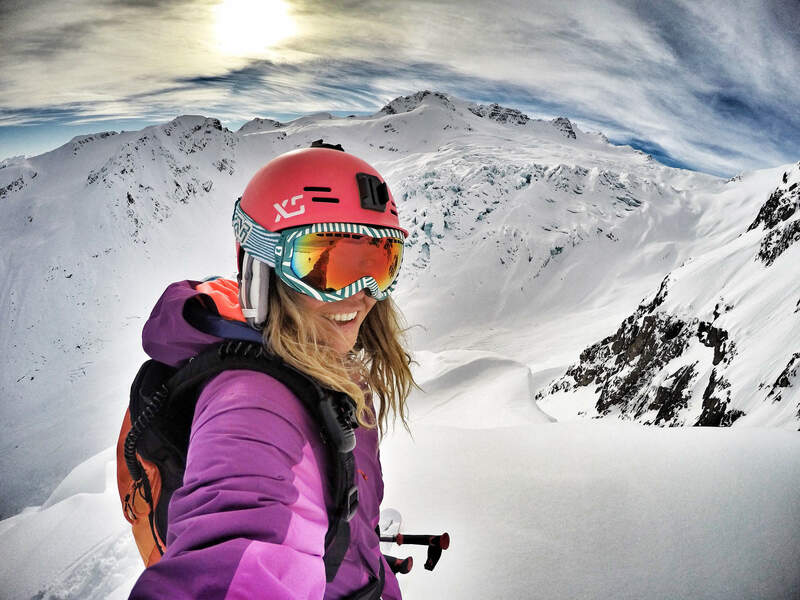 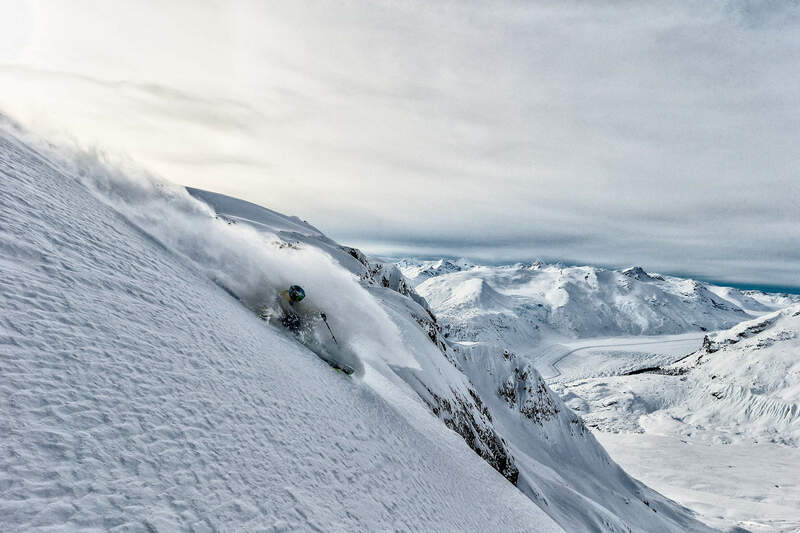 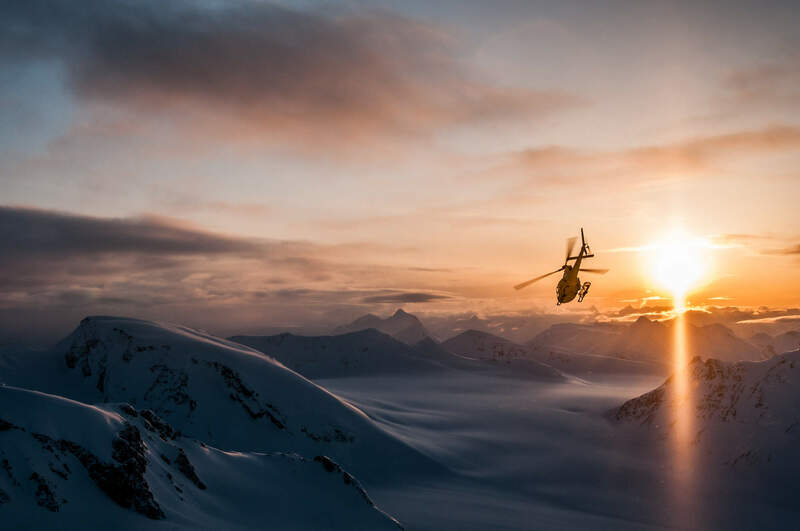 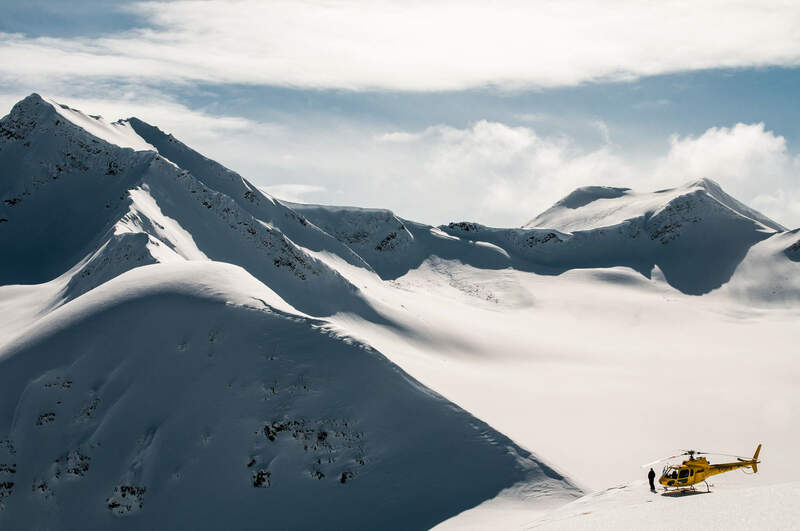 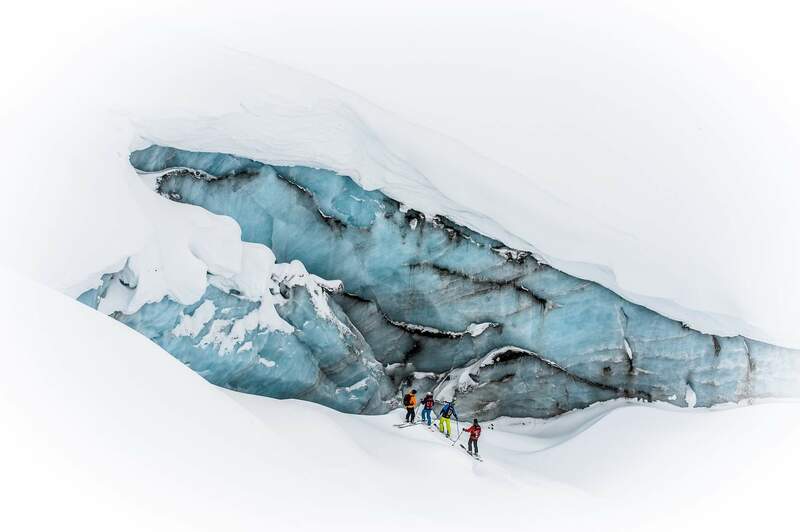 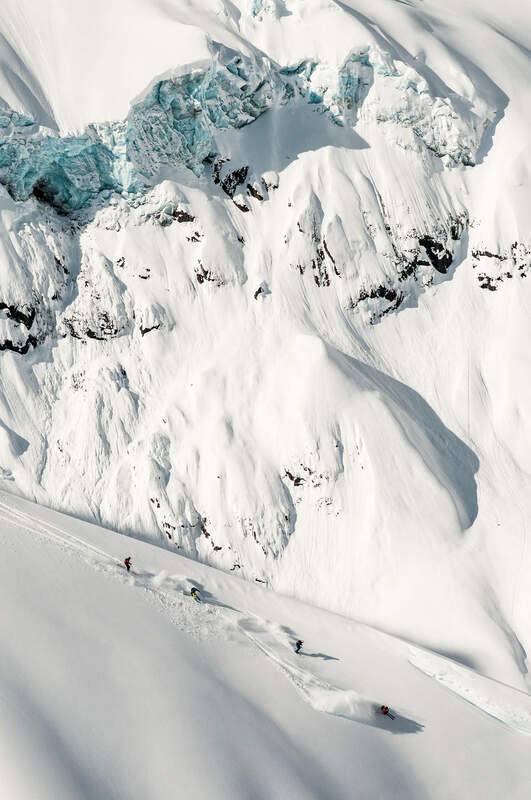 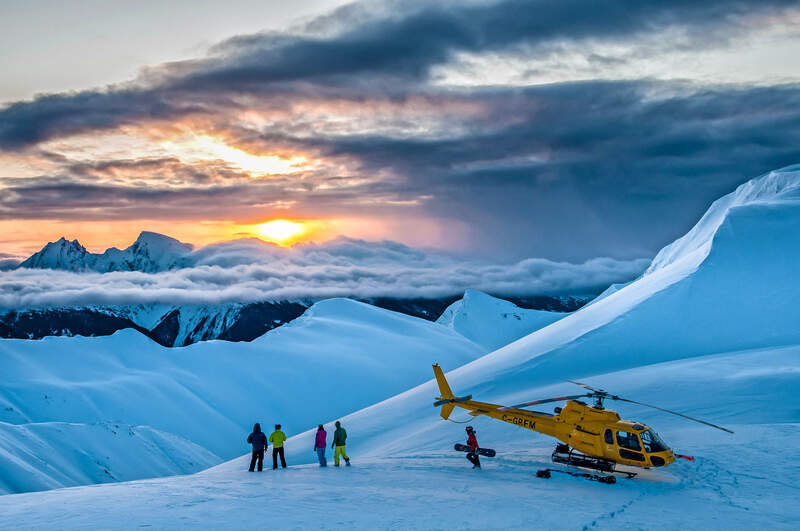 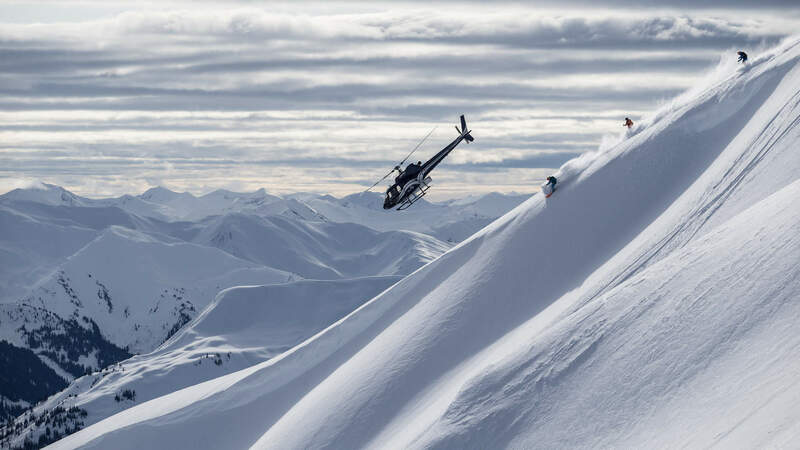 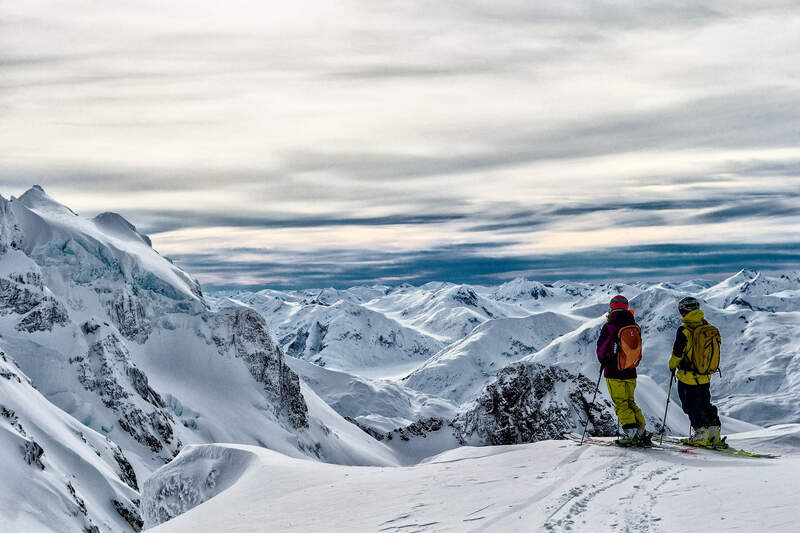 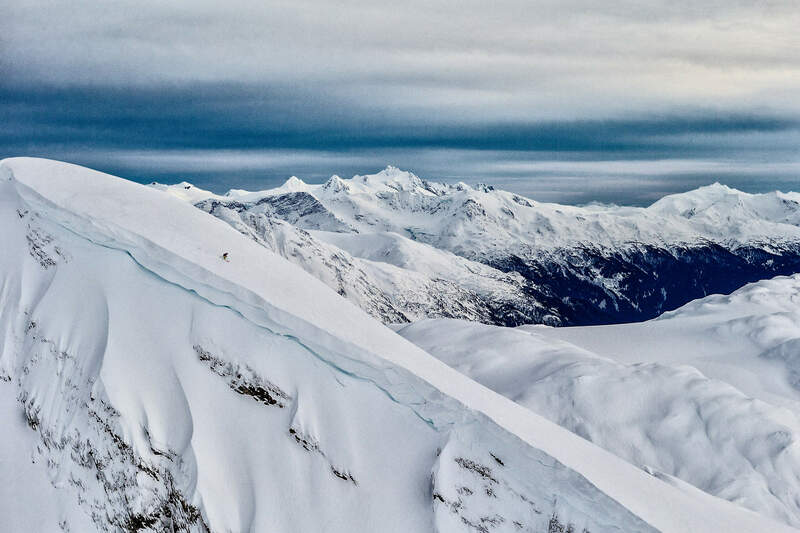 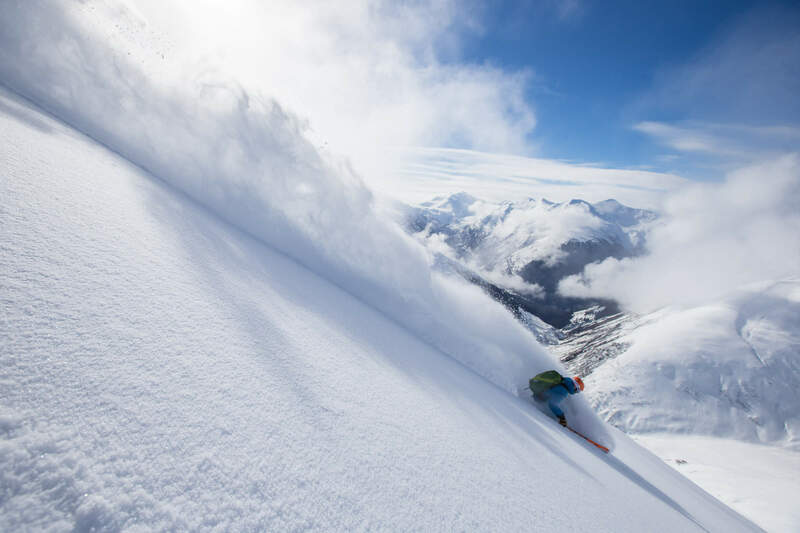 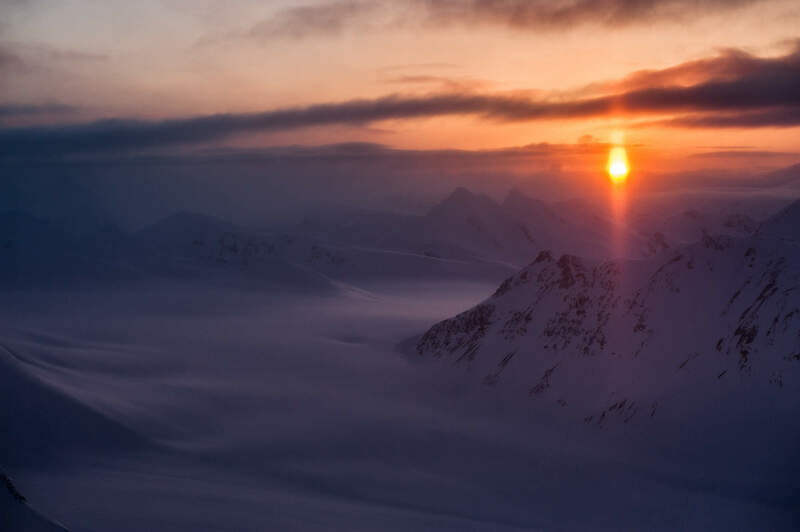 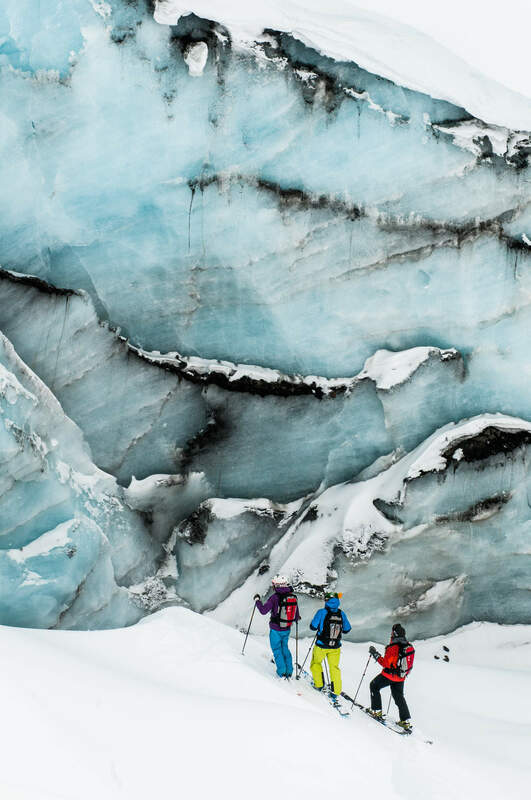 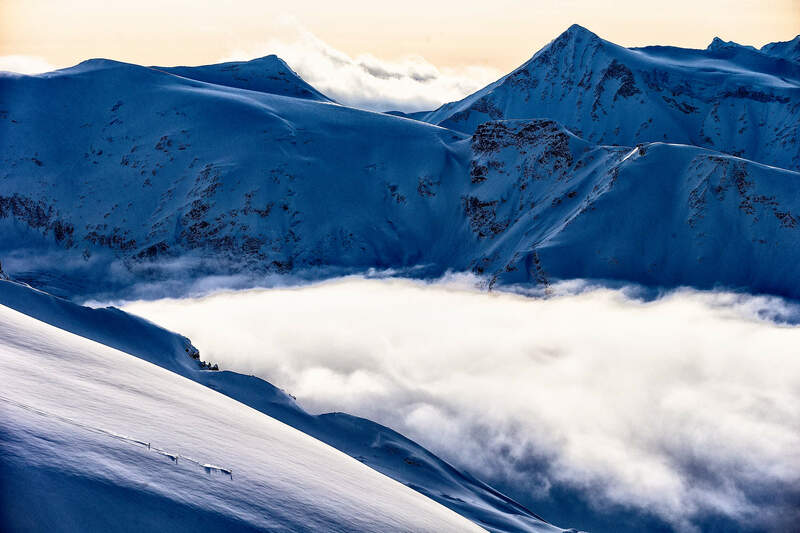 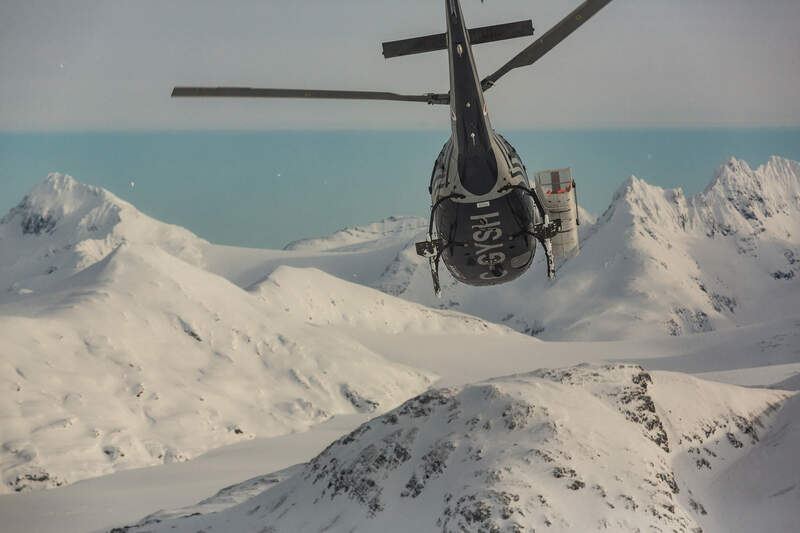 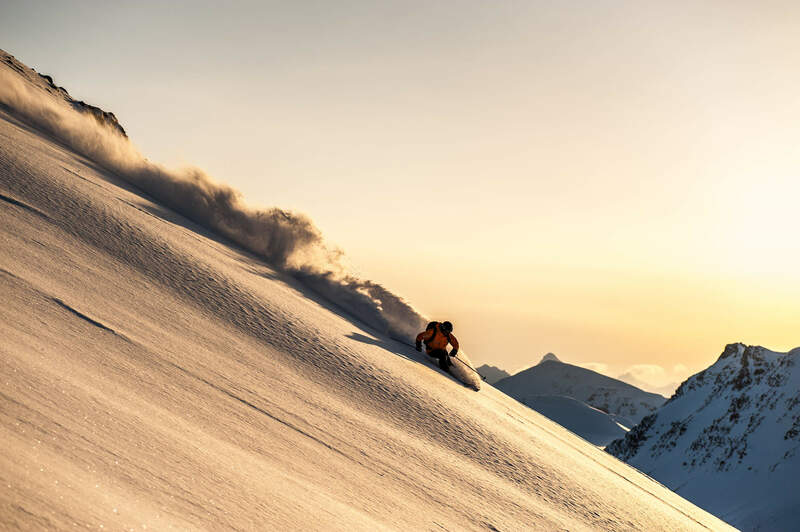 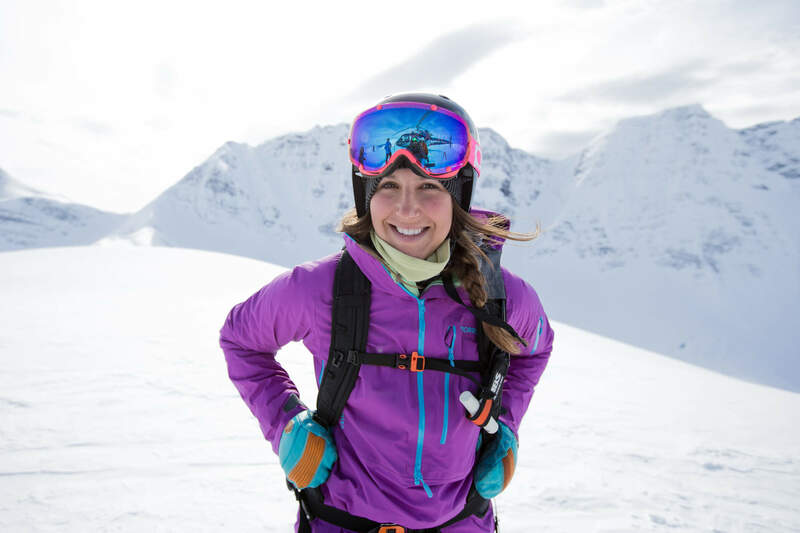 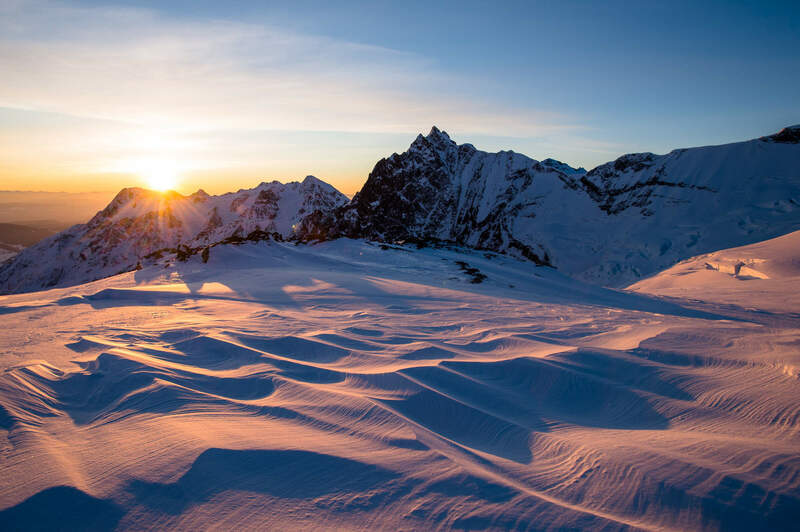 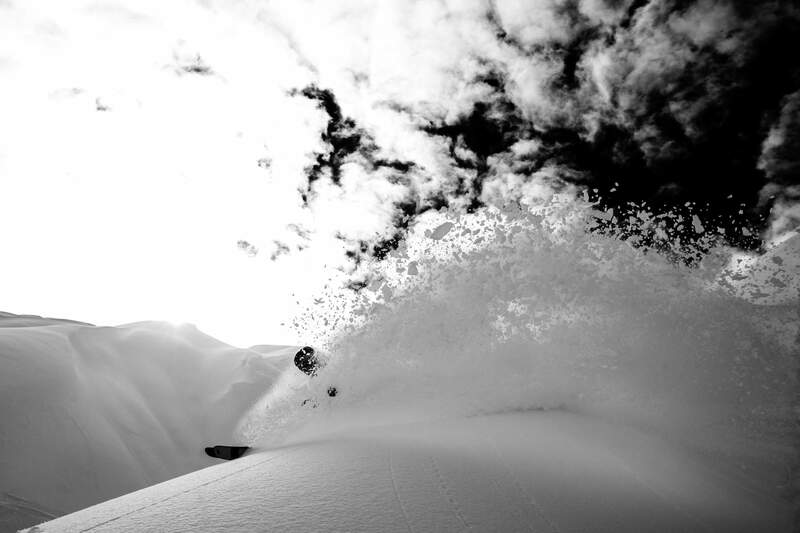 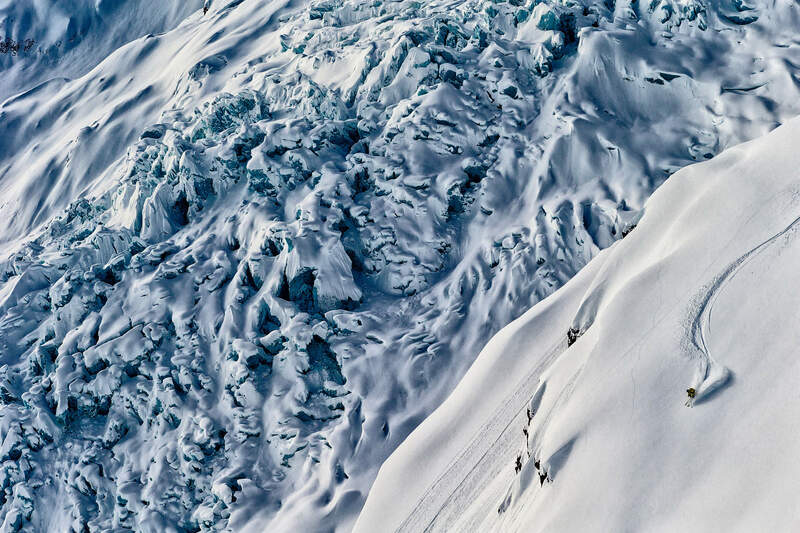 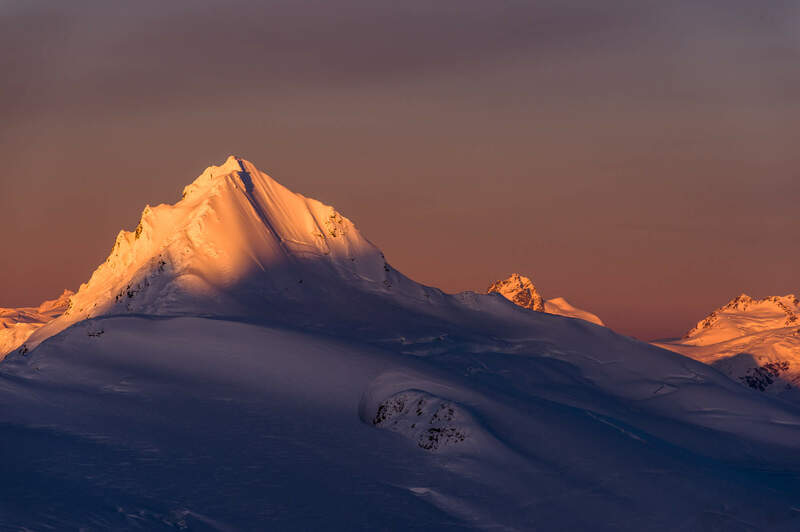 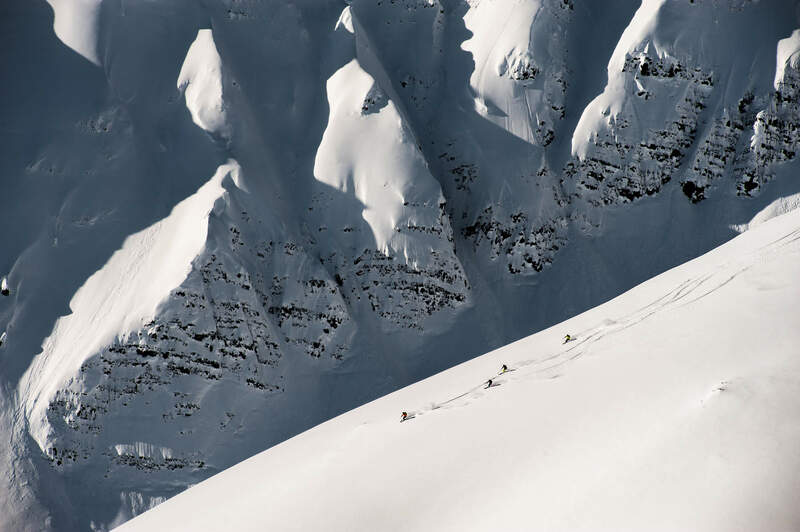 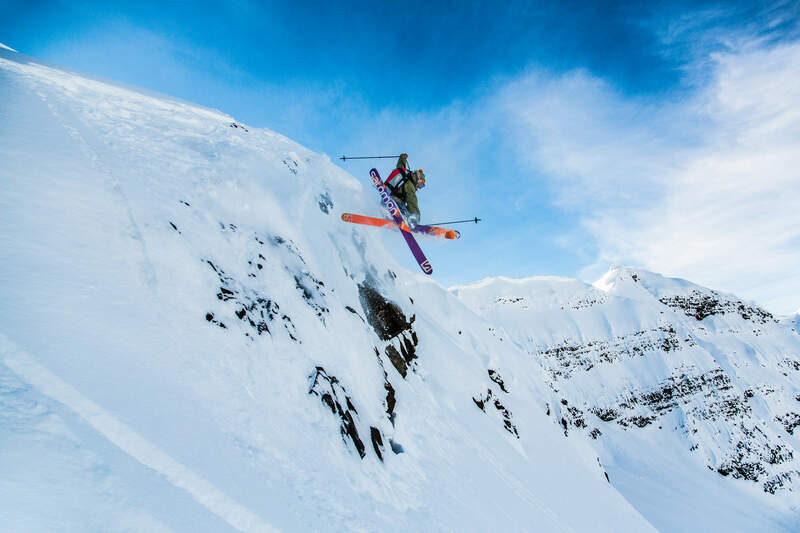 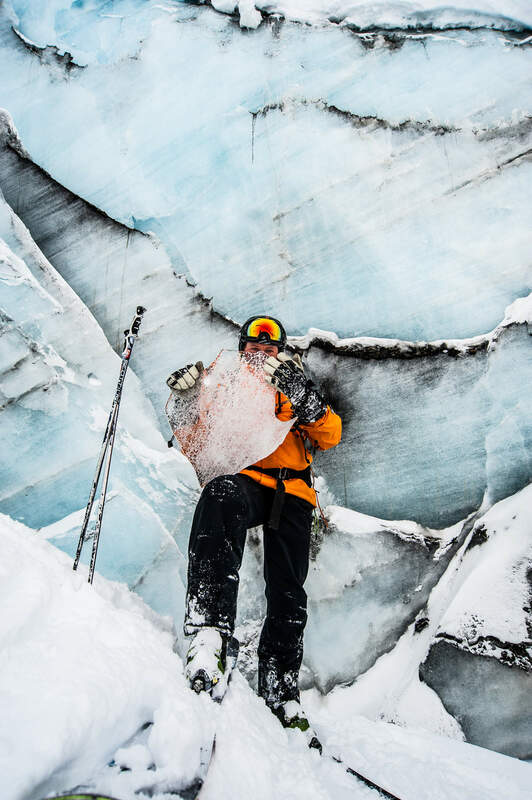 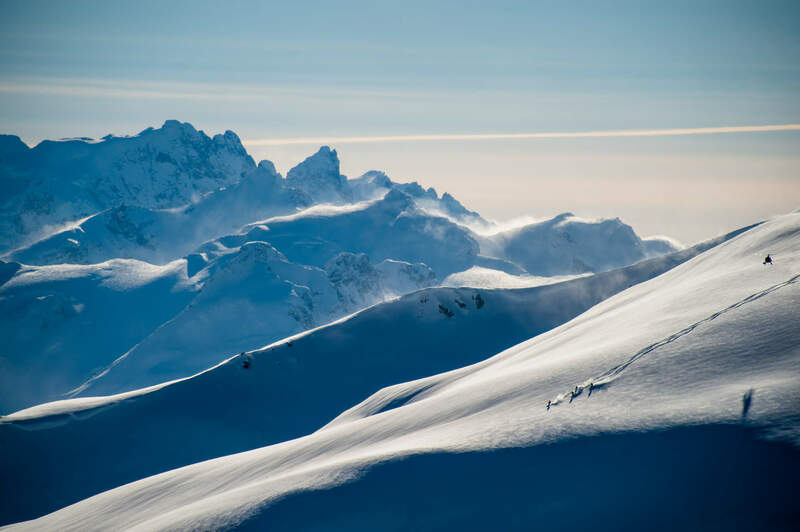 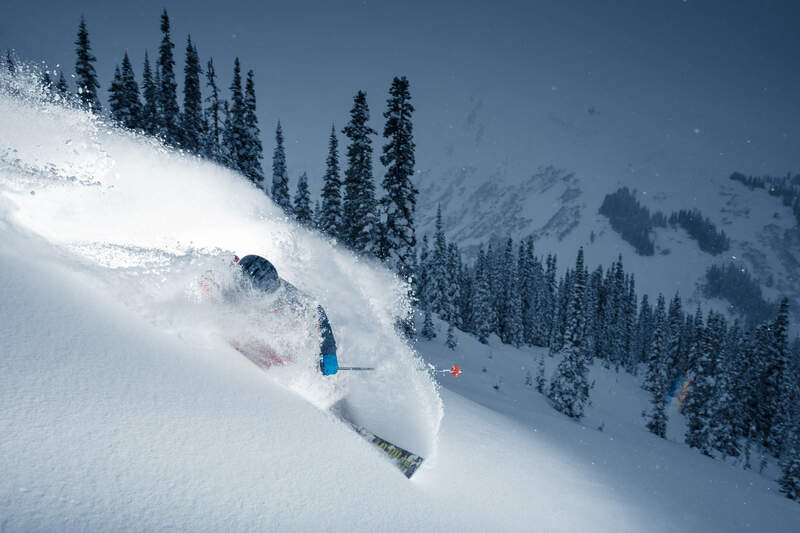 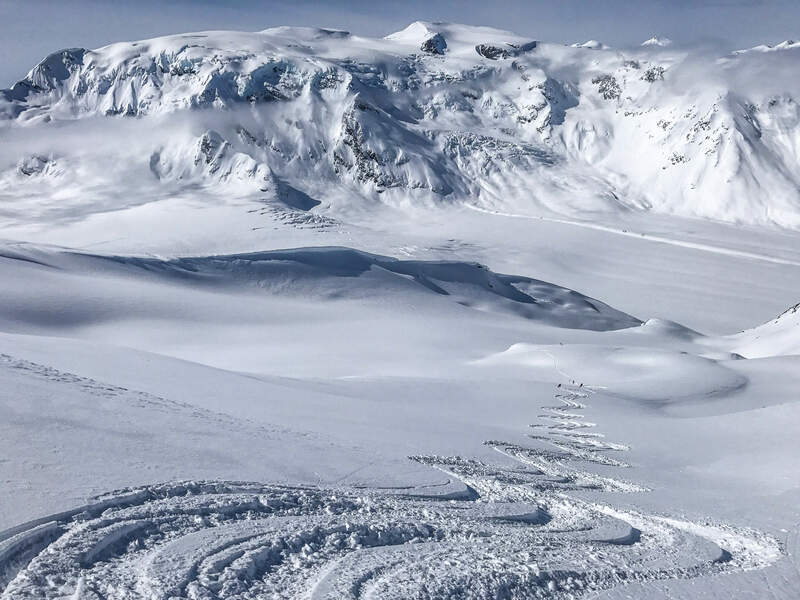 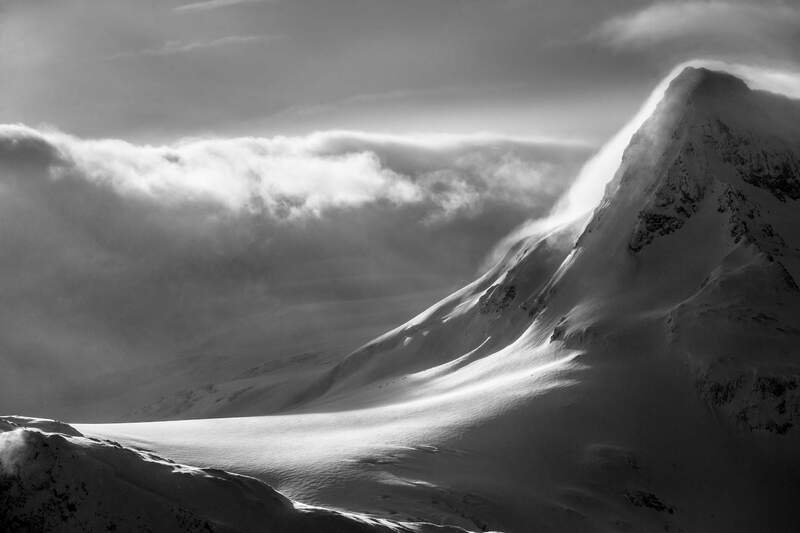 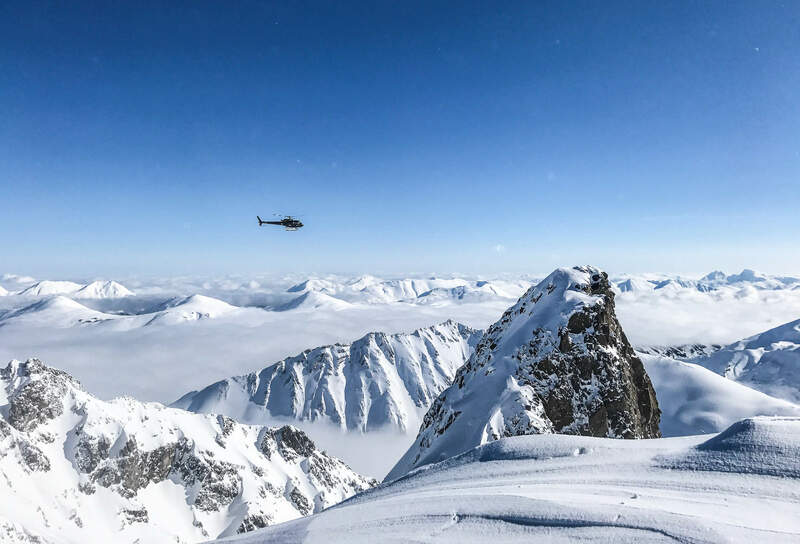 Season after season, photographers, filmers and some of the world’s best athletes come to Last Frontier to push limits and capture epic moments in the world’s biggest heli skiing area. 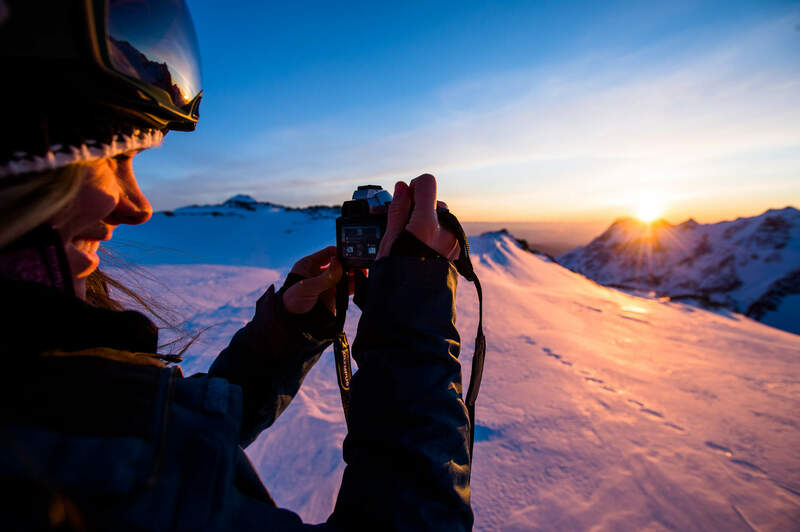 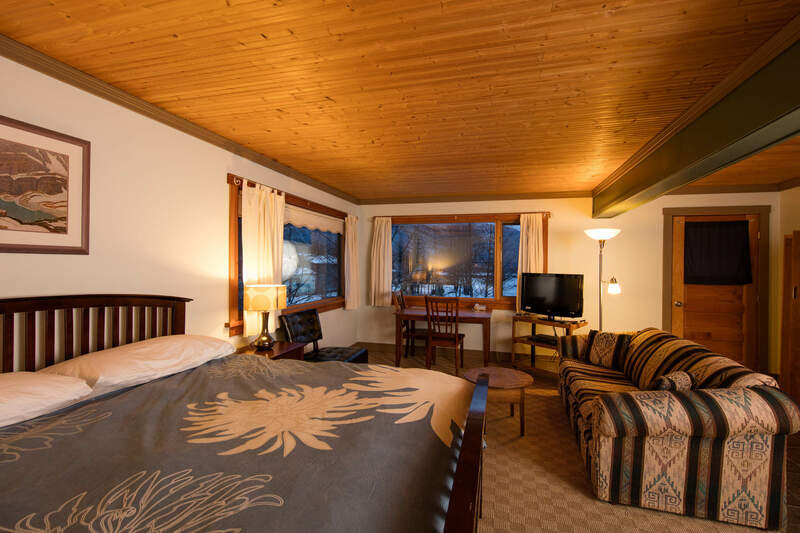 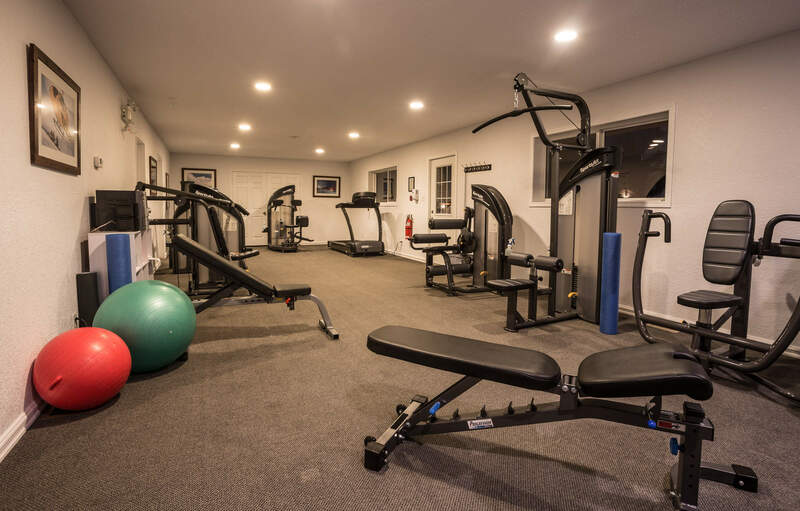 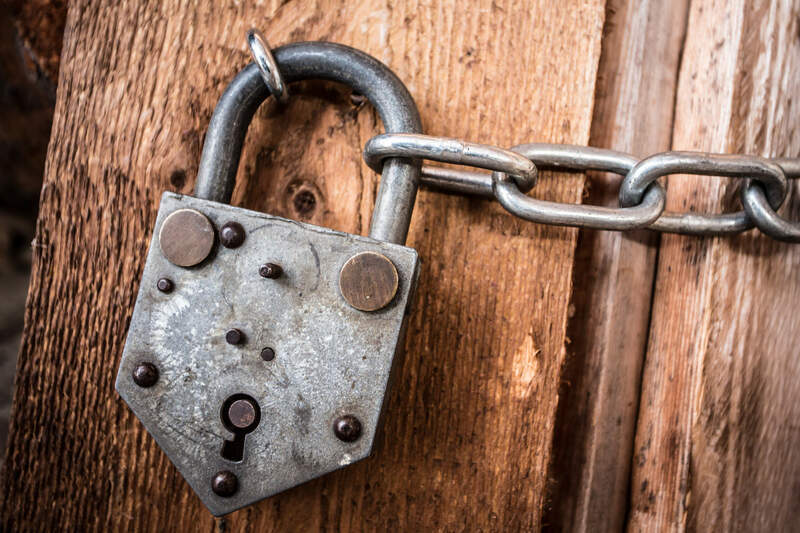 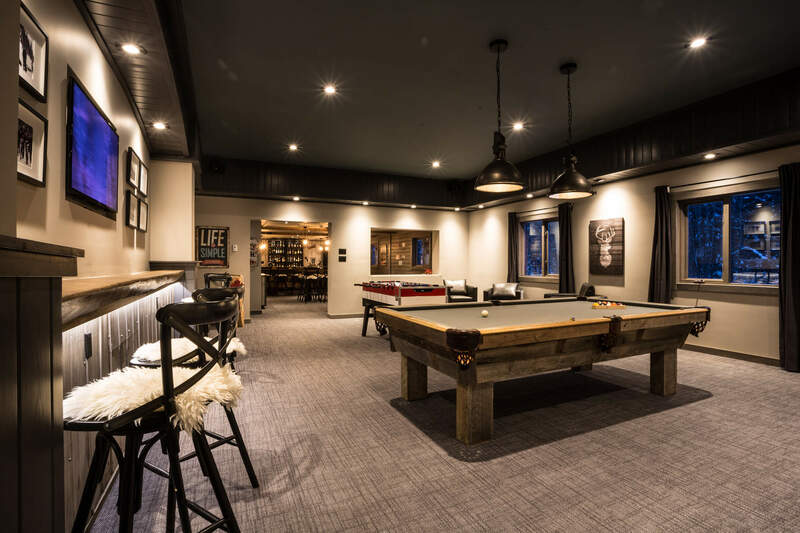 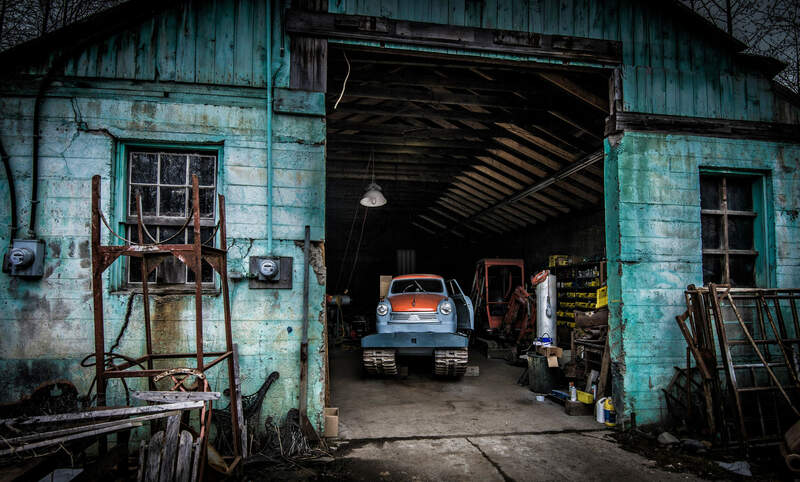 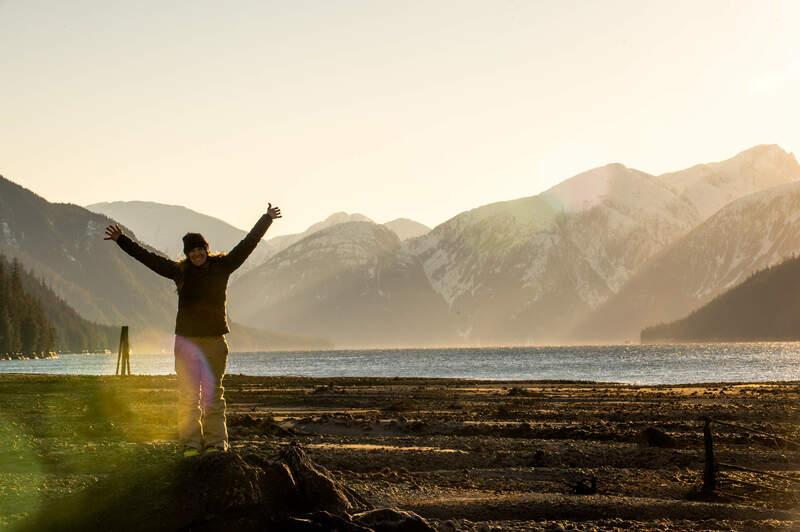 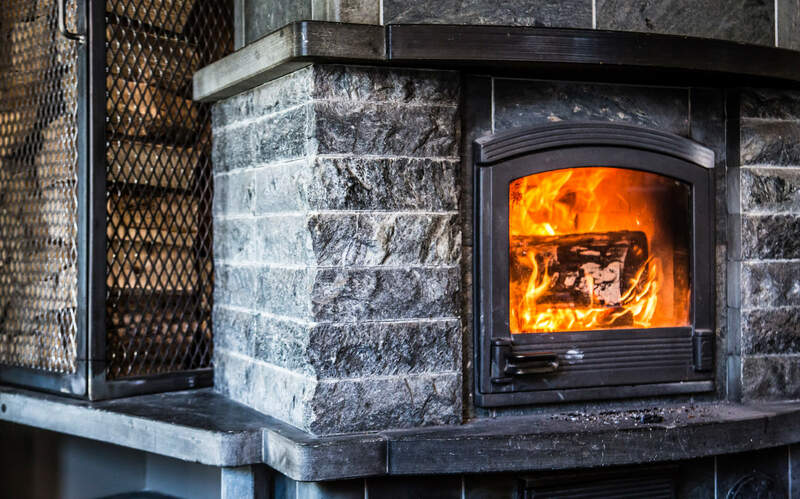 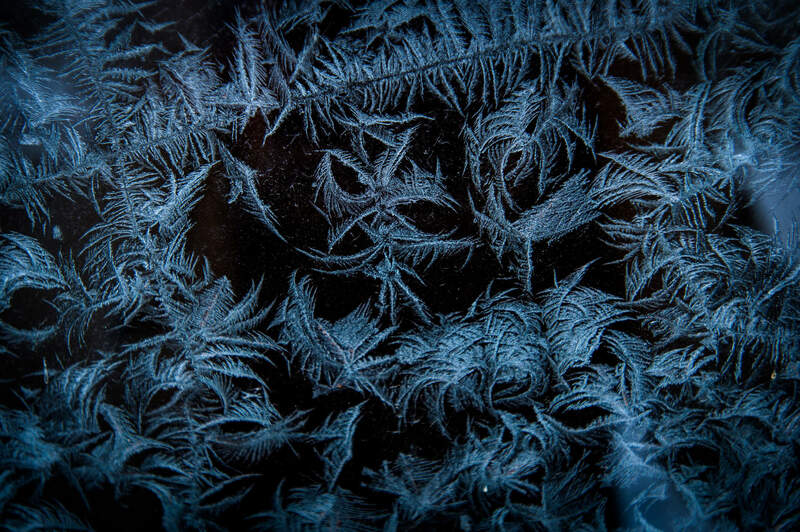 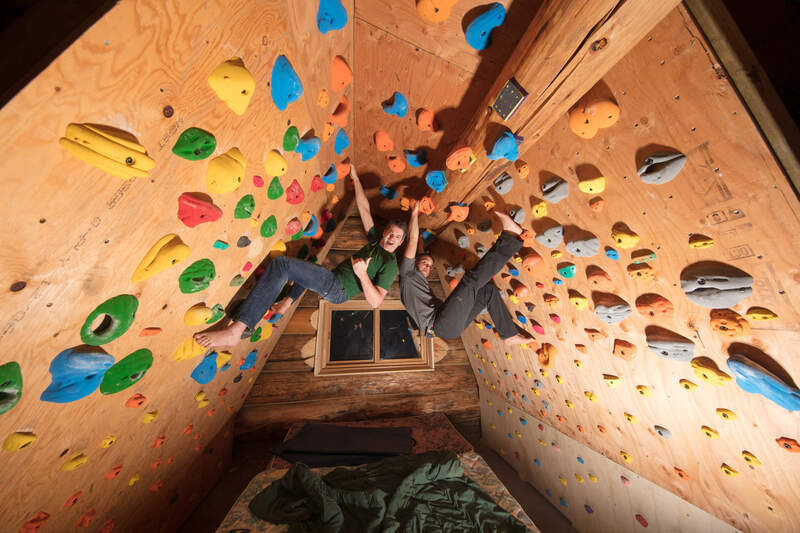 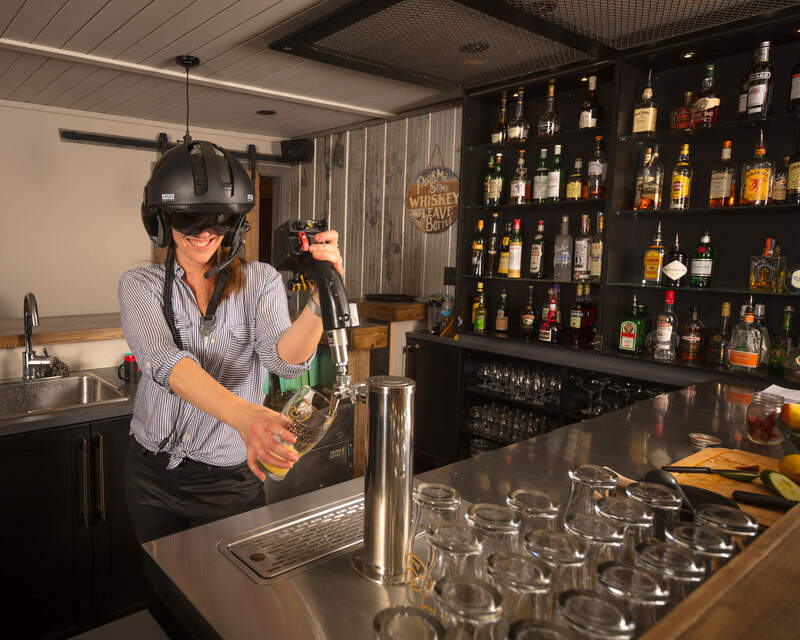 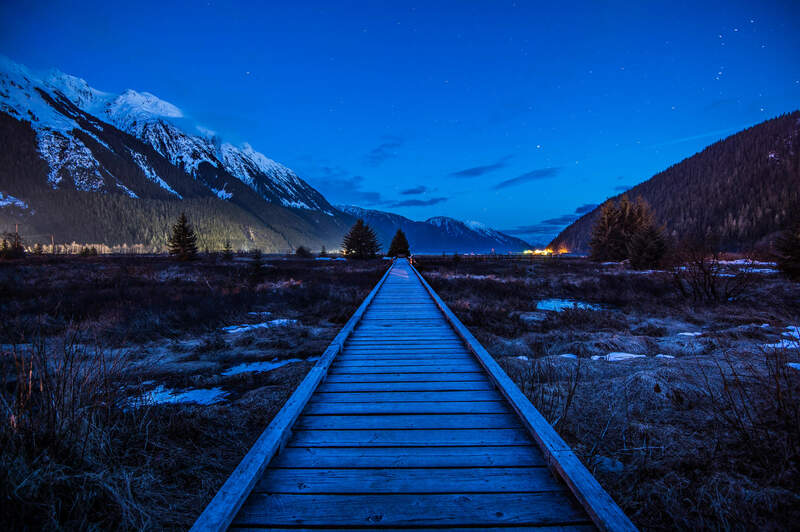 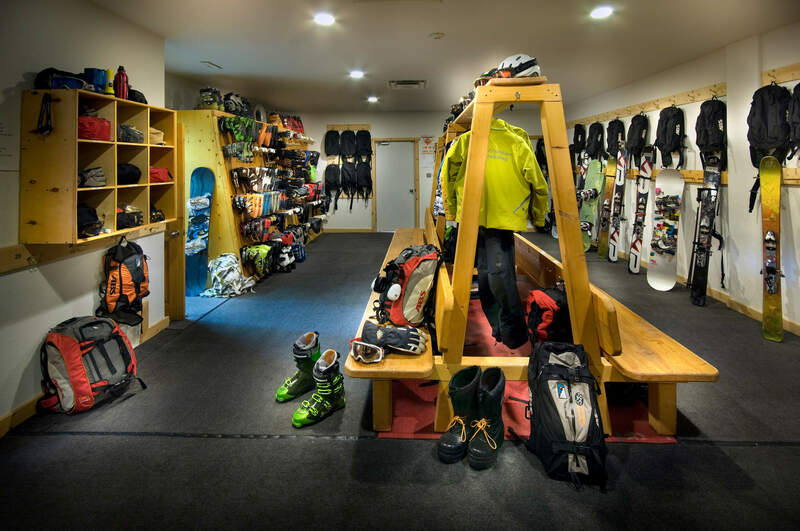 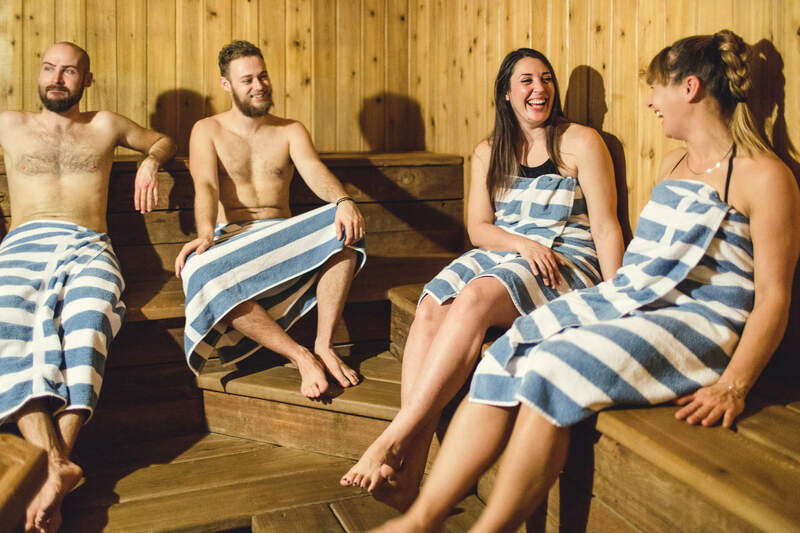 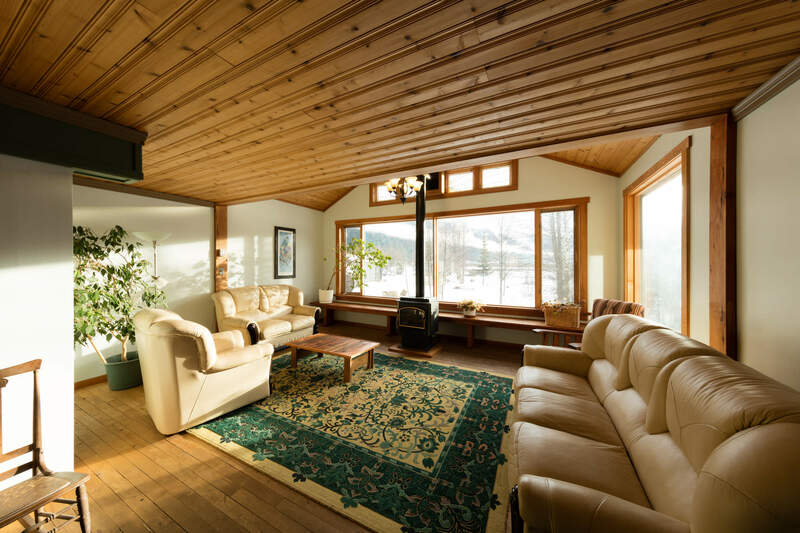 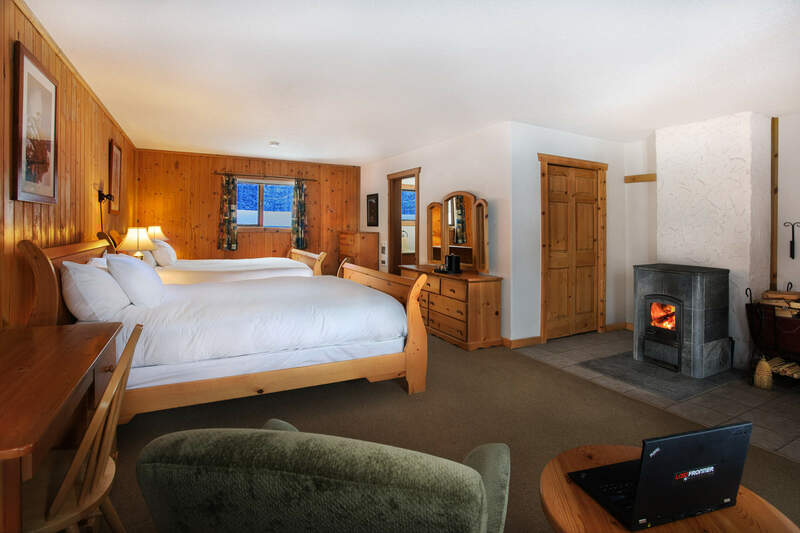 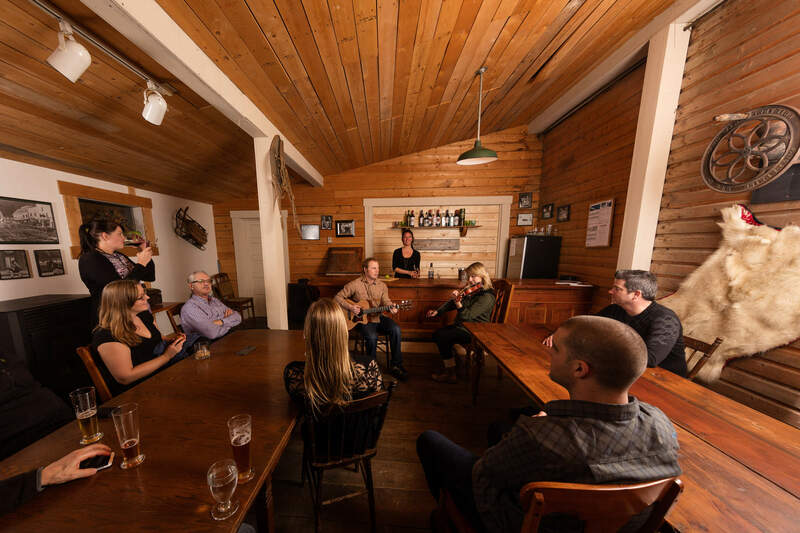 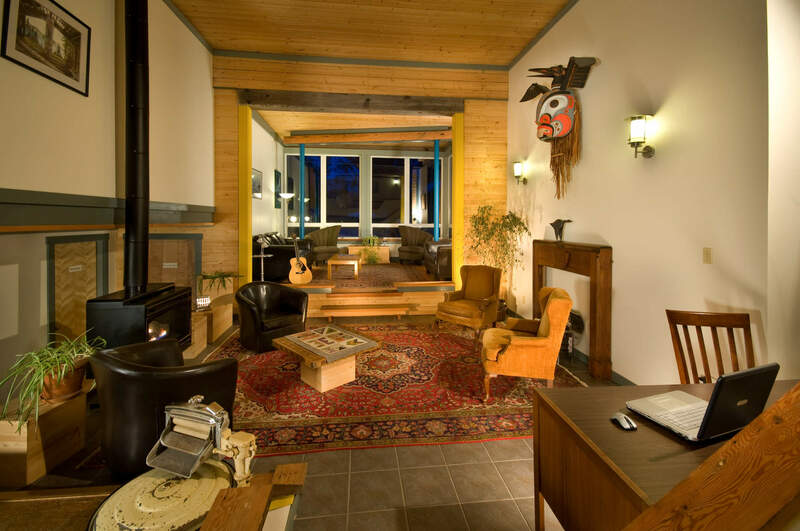 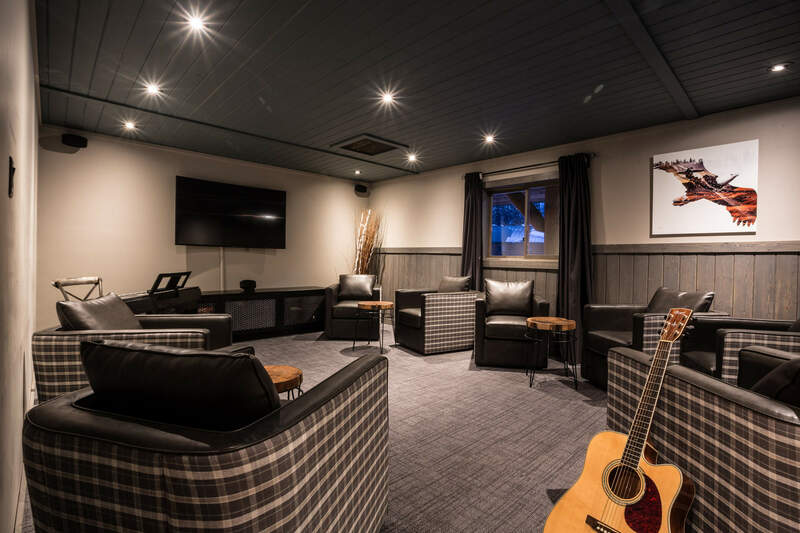 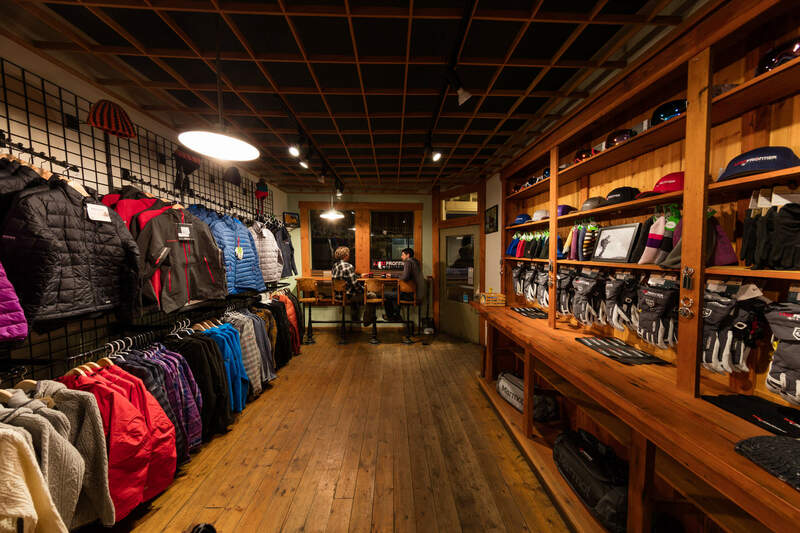 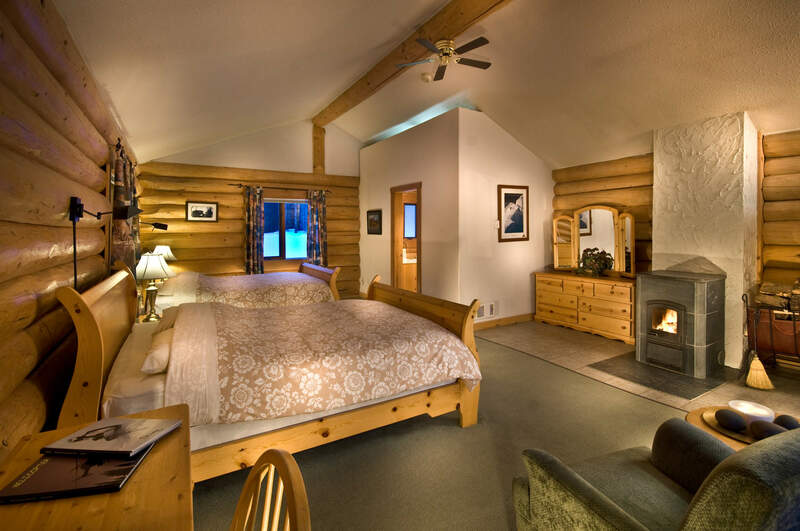 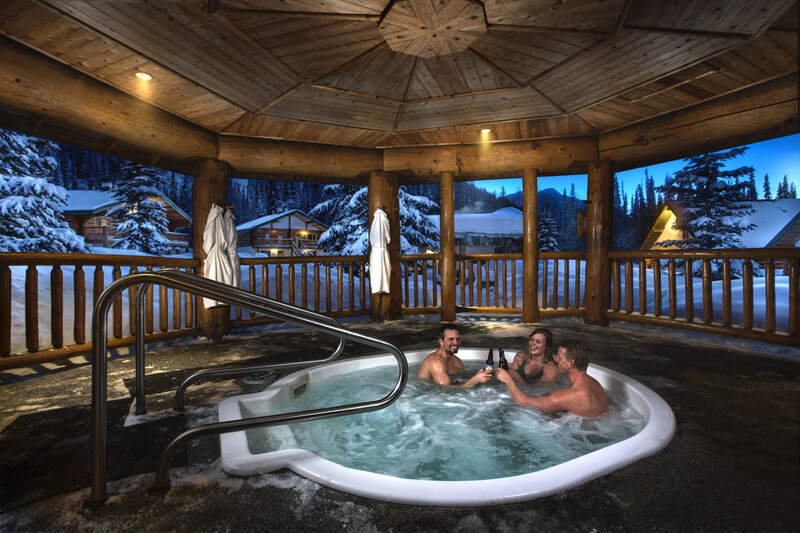 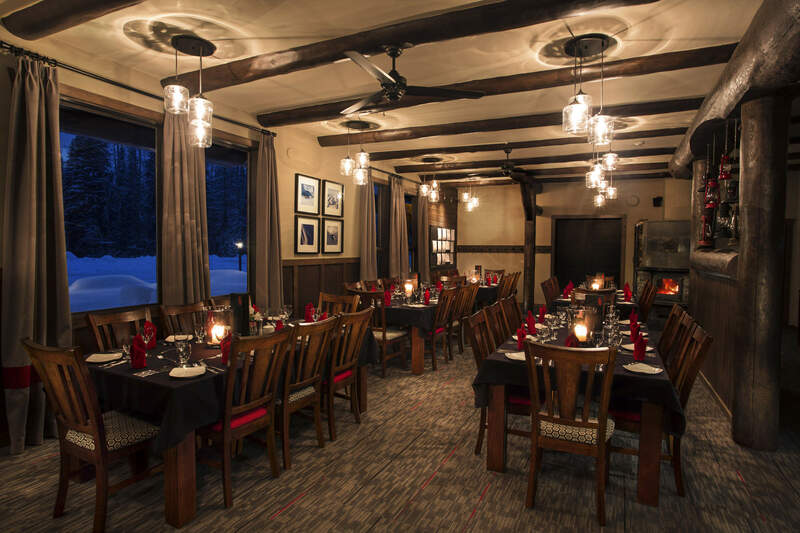 Discover what makes our location special with our collection of featured photos and videos. 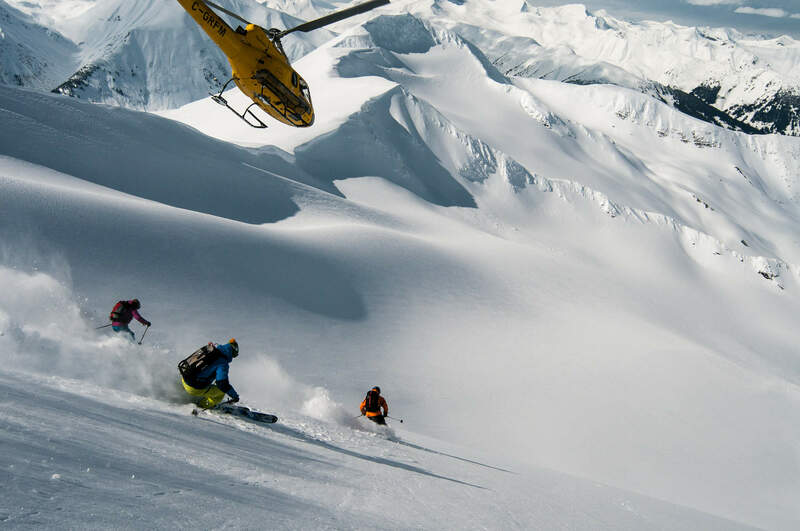 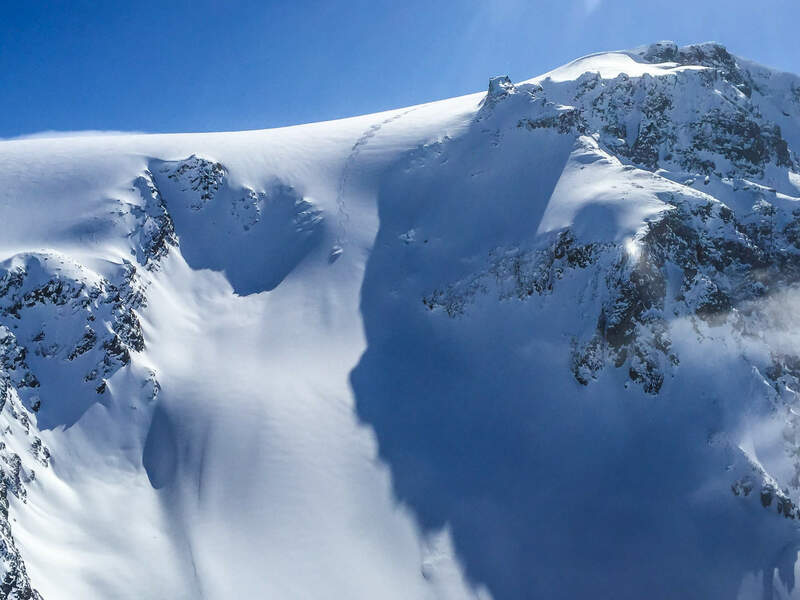 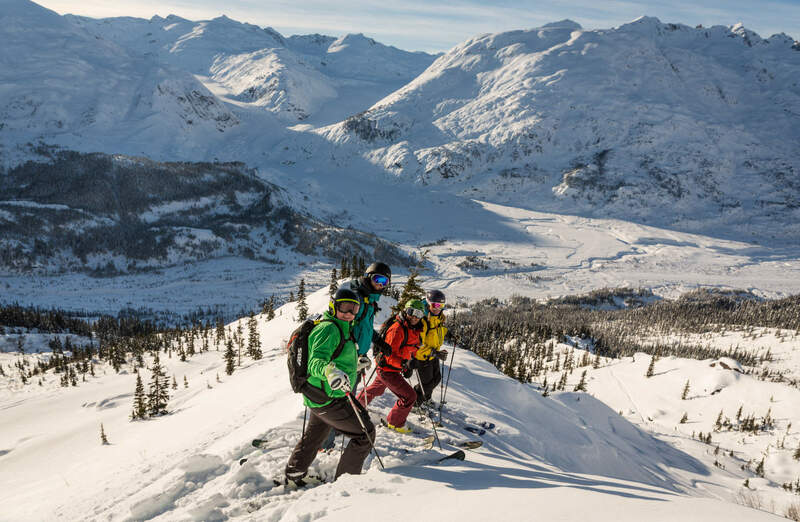 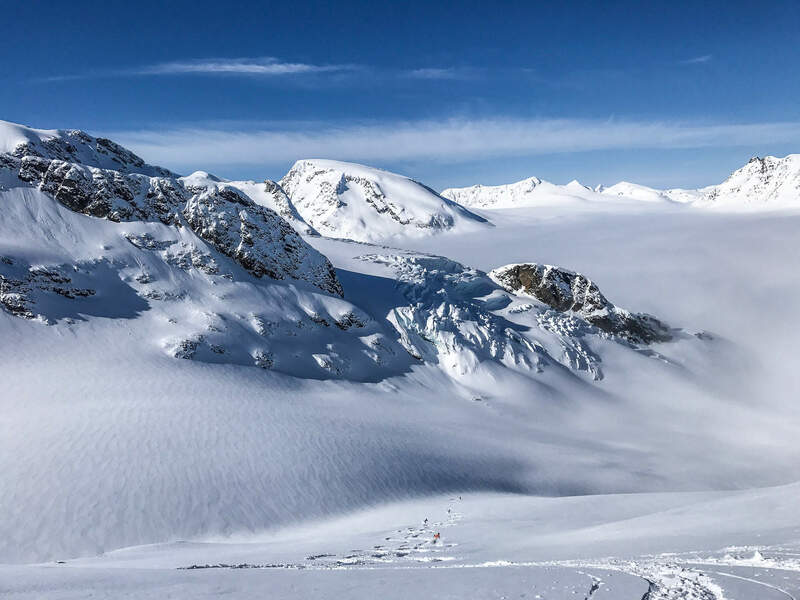 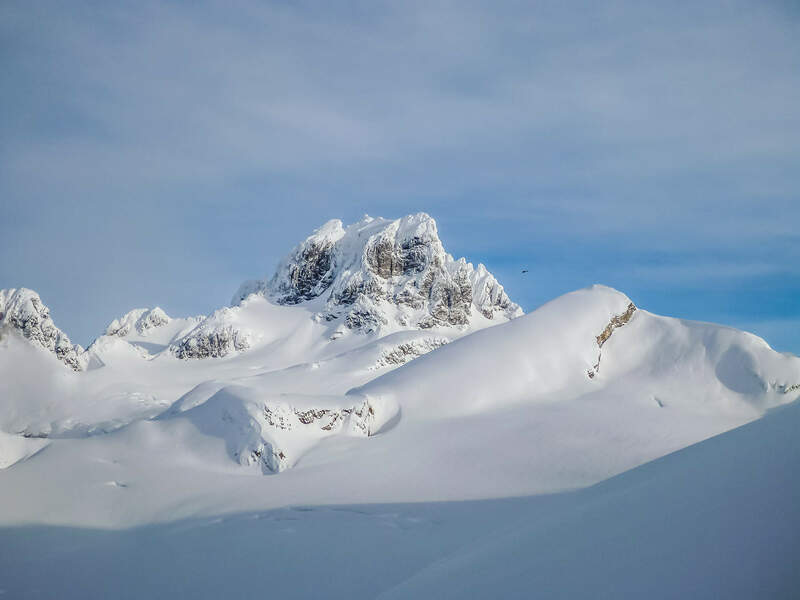 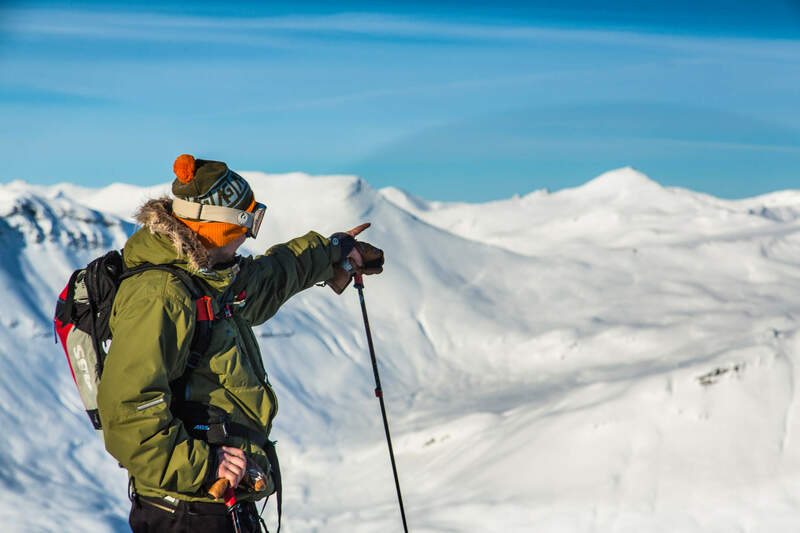 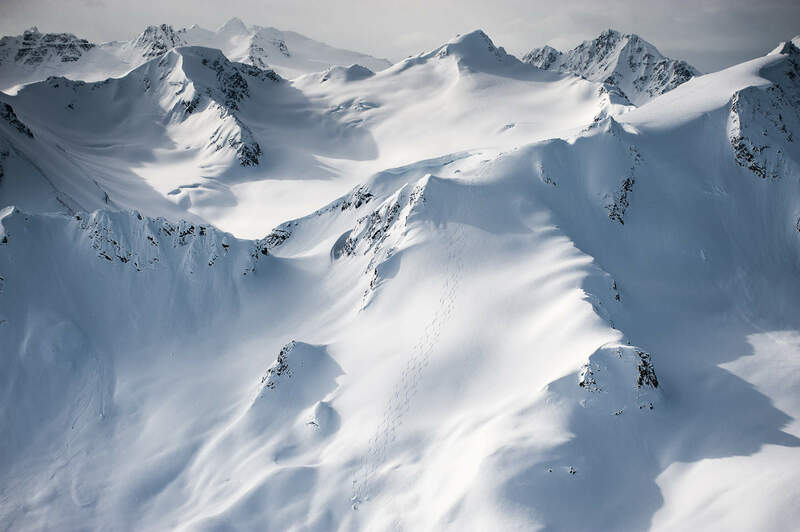 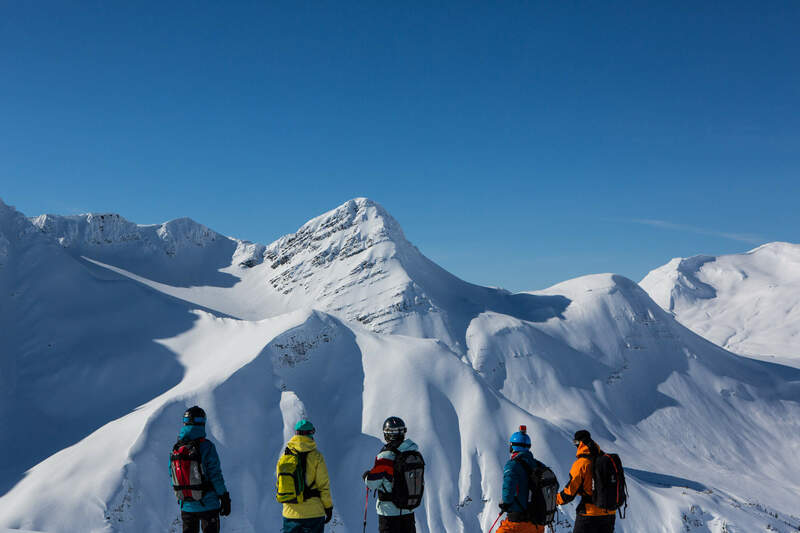 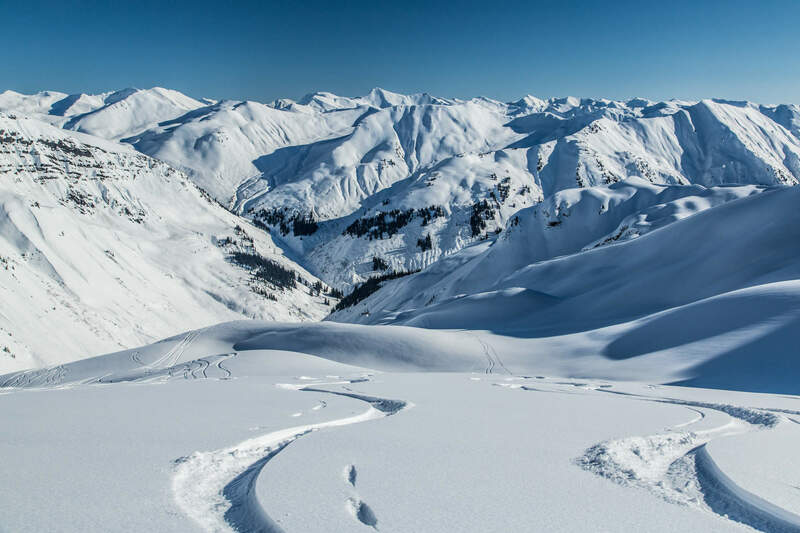 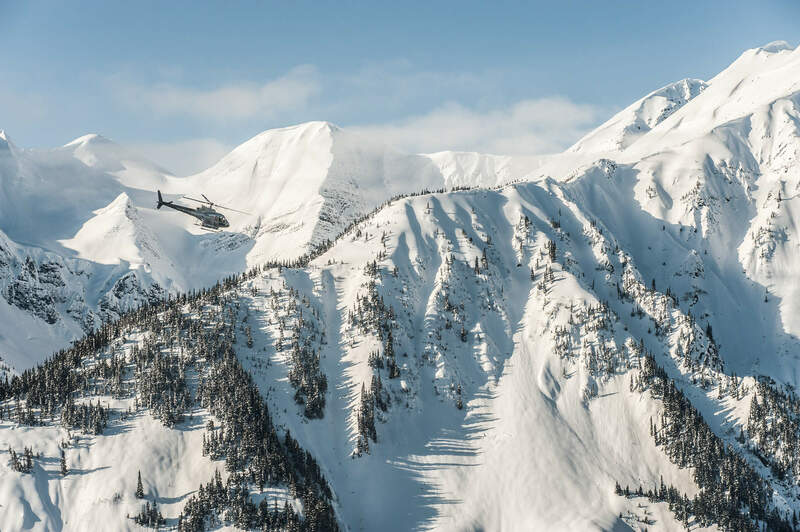 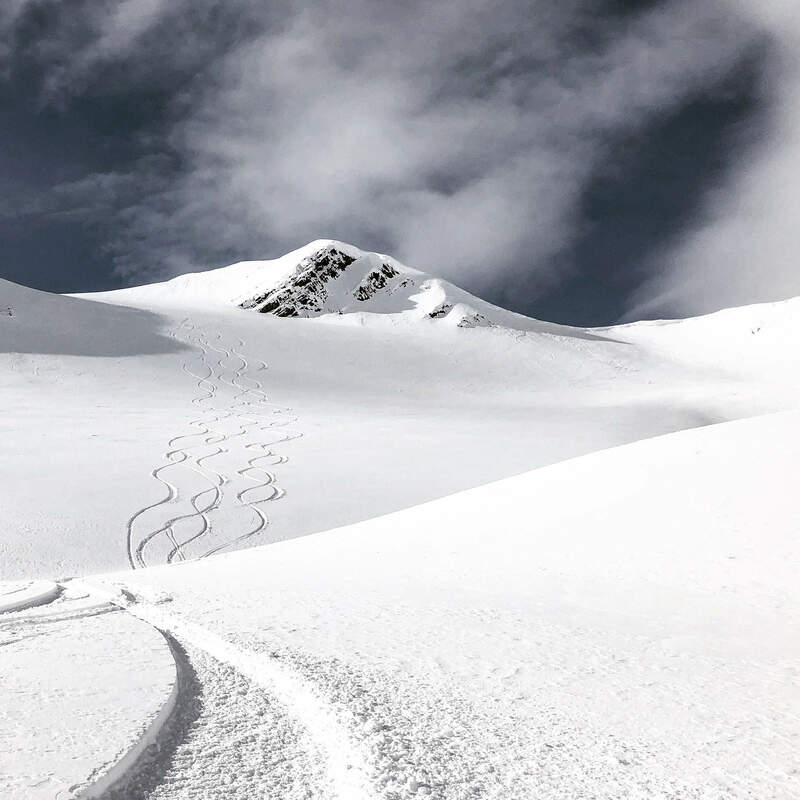 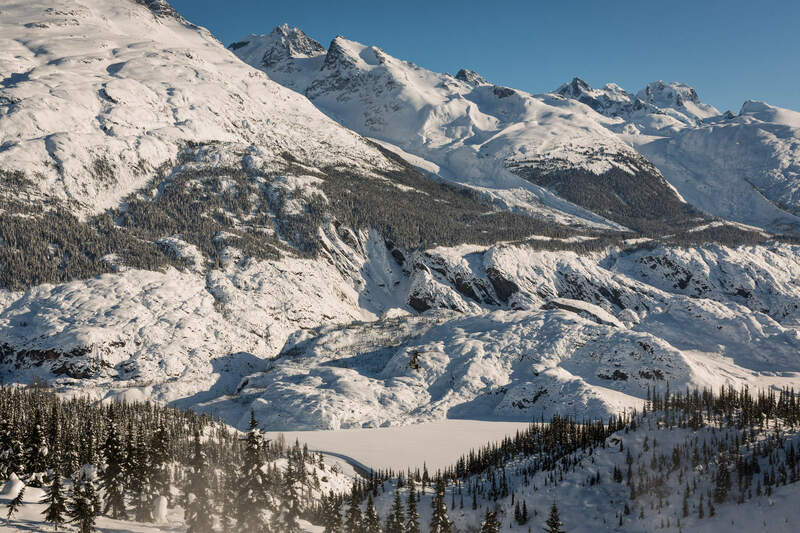 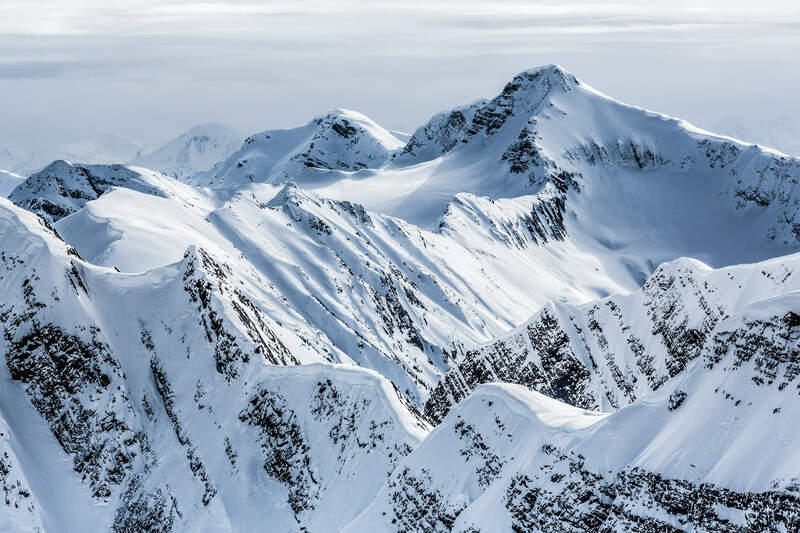 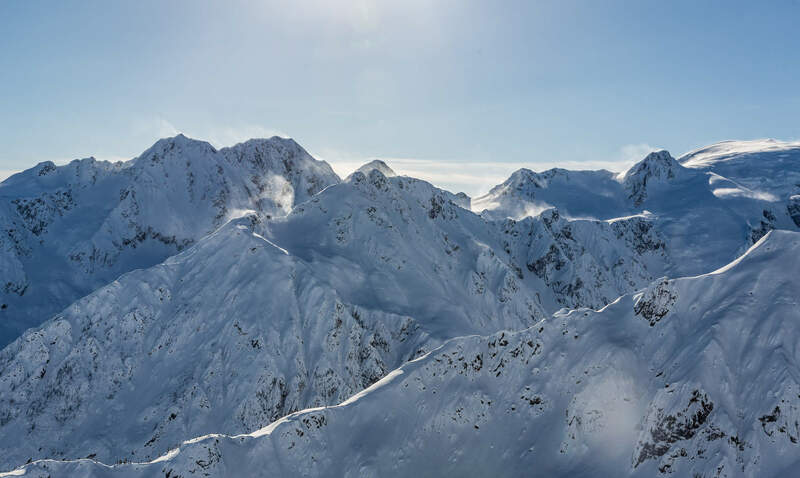 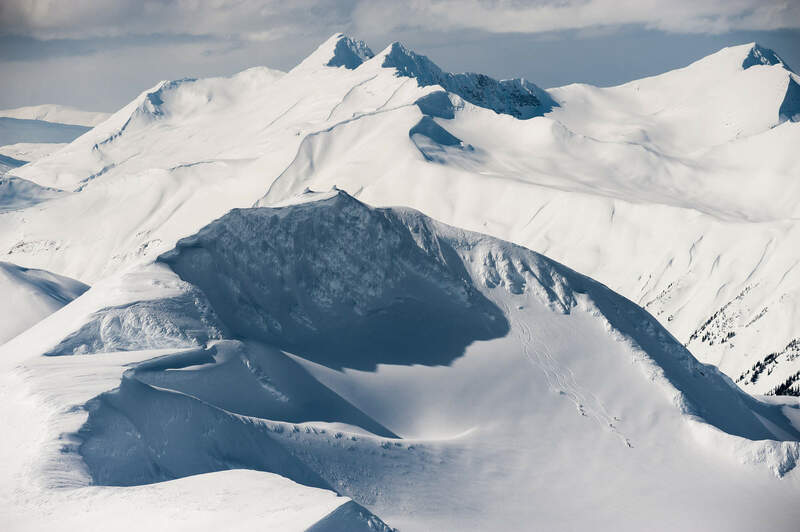 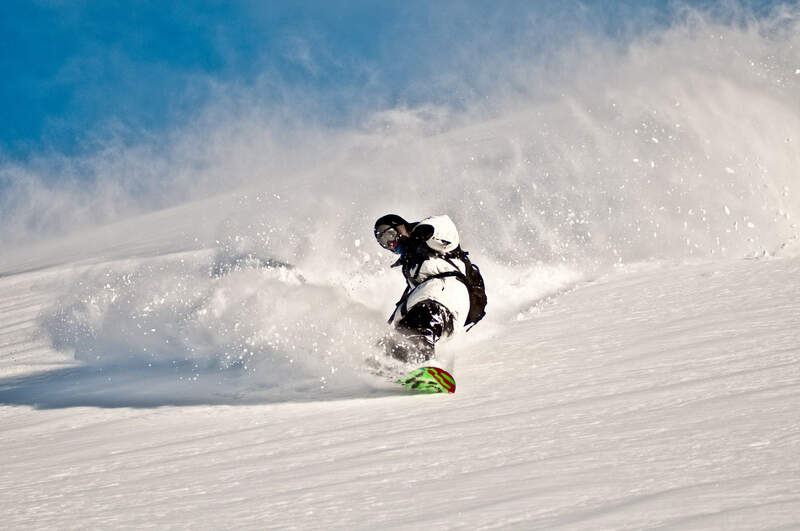 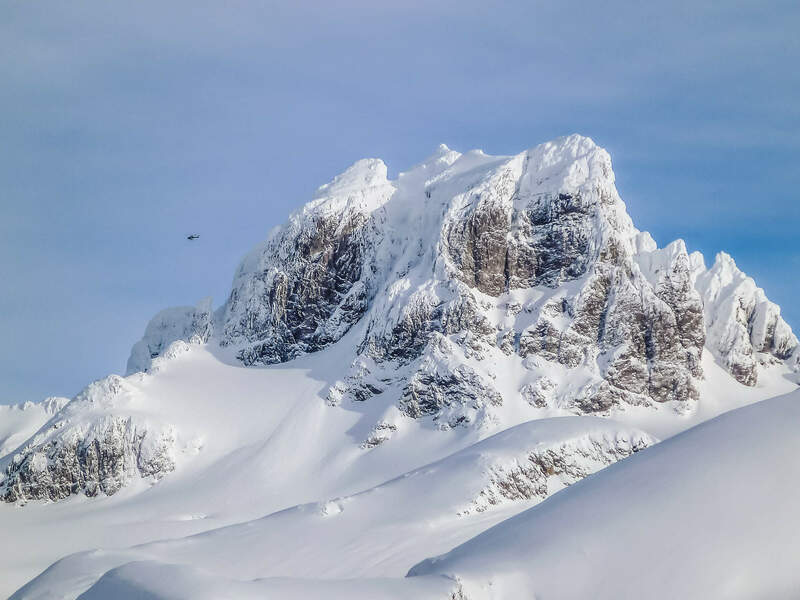 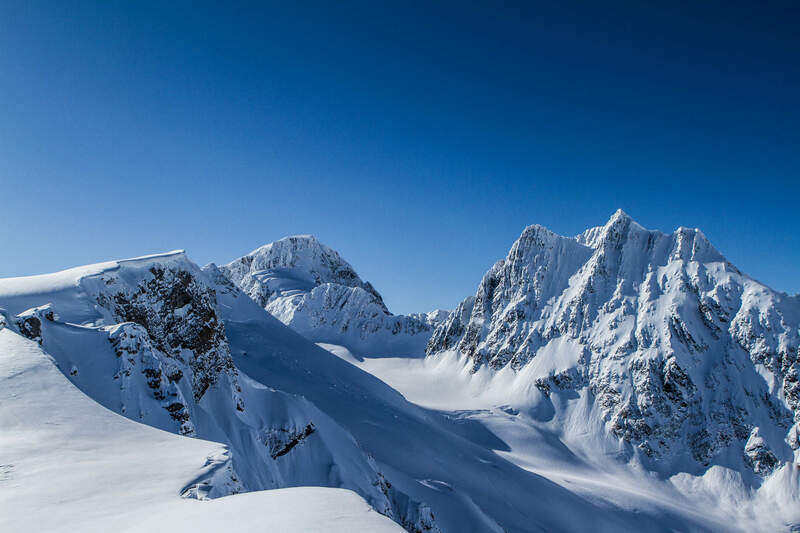 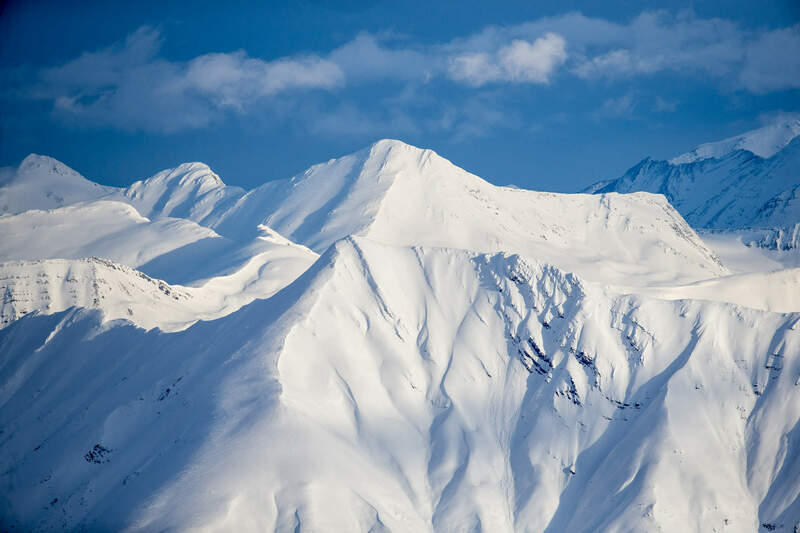 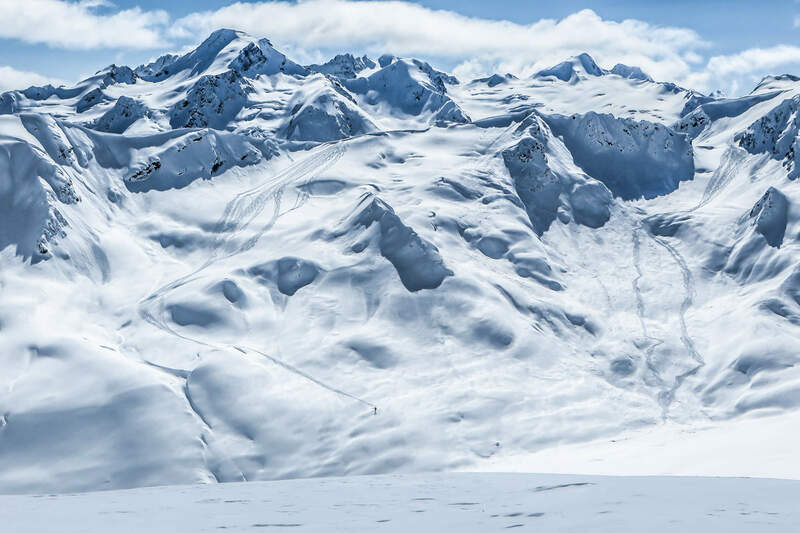 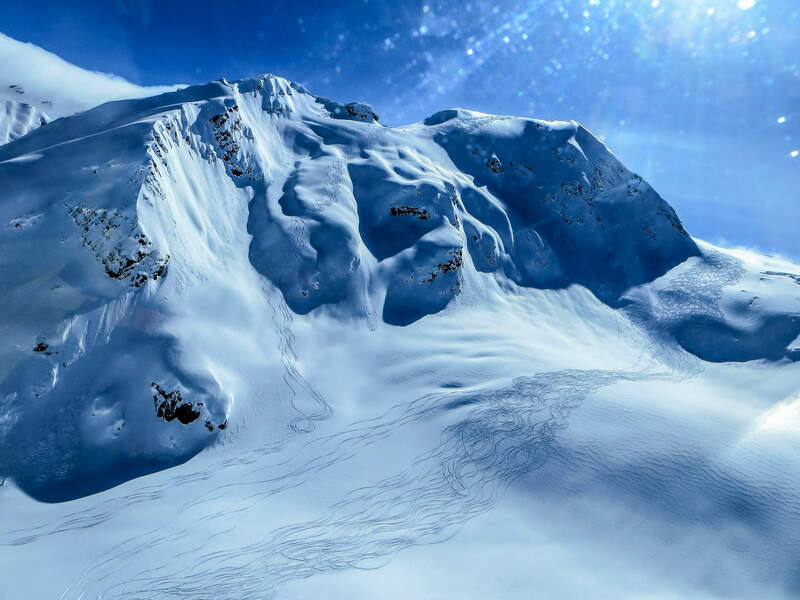 Check out the best skiing and snowboarding action from Last Frontier with our feature videos that showcase our legendary snow and huge heli skiing terrain. 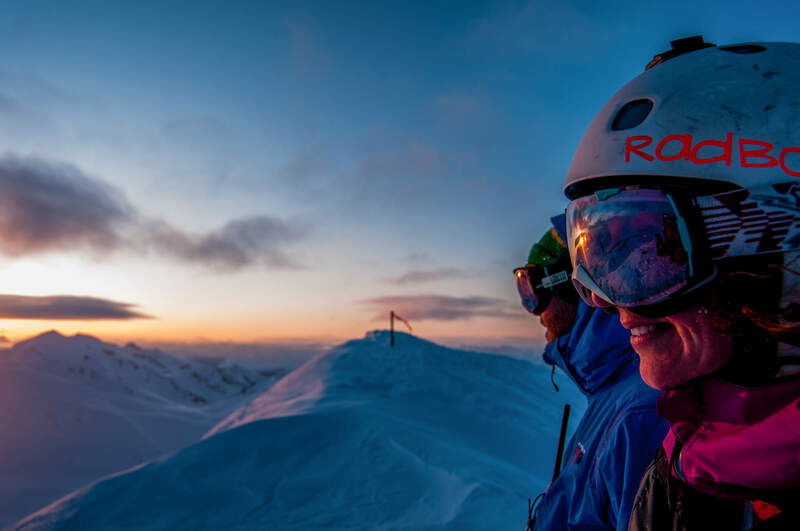 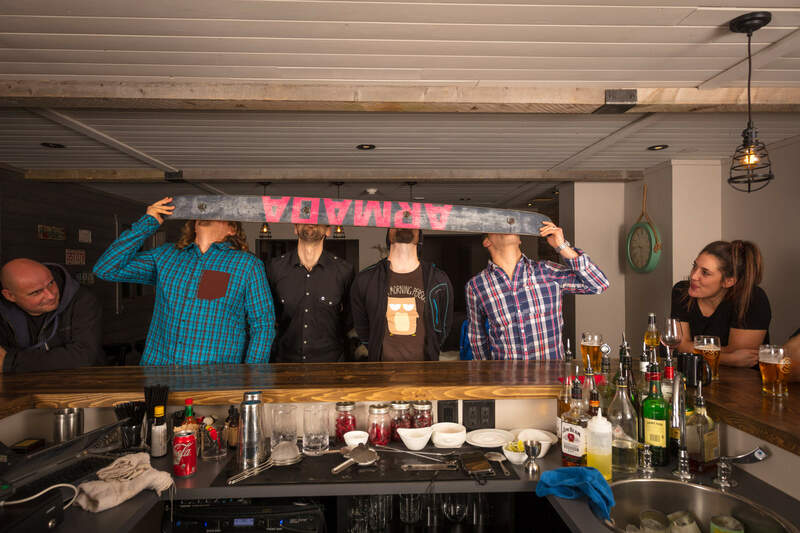 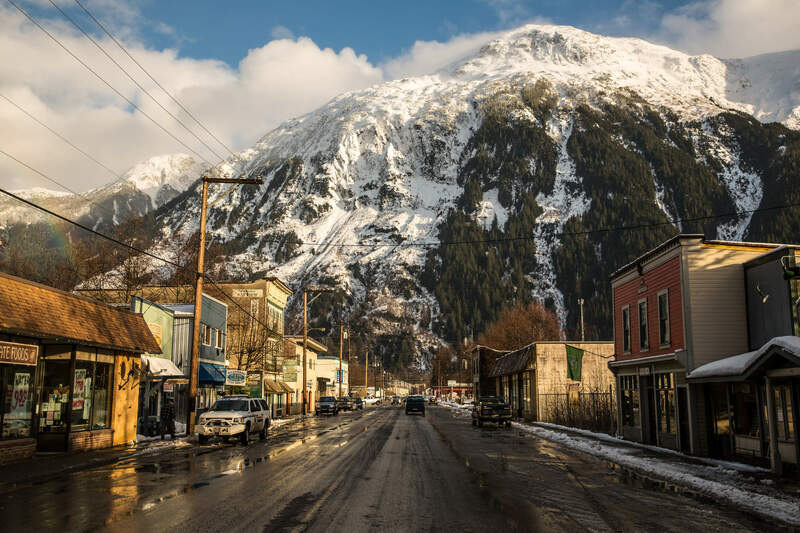 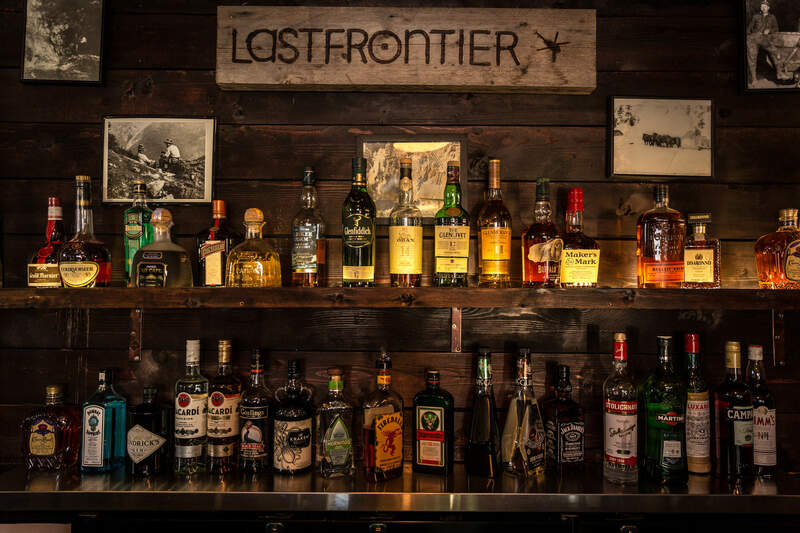 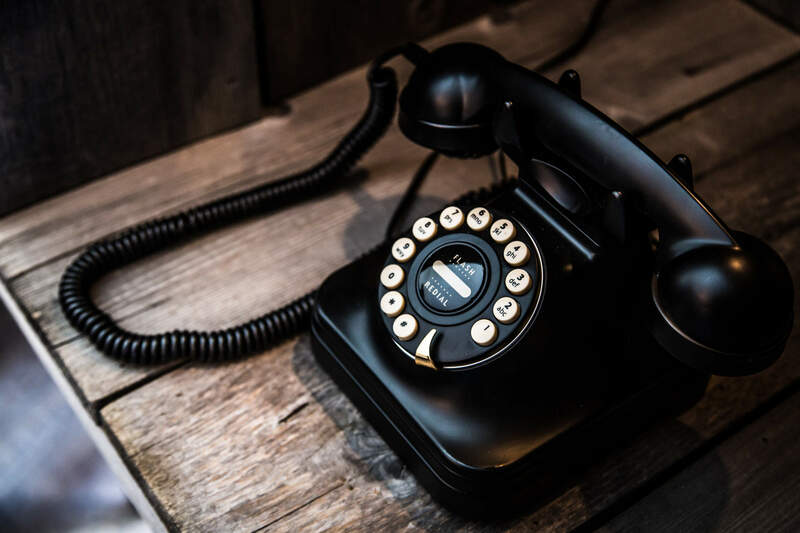 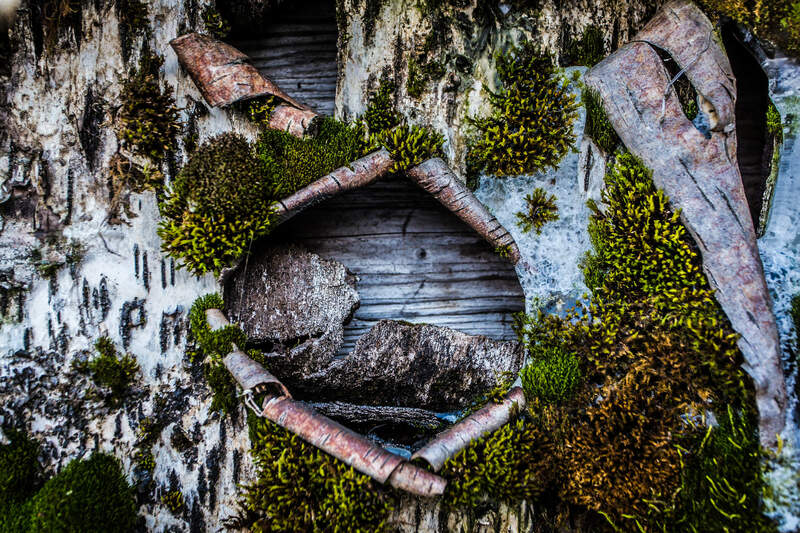 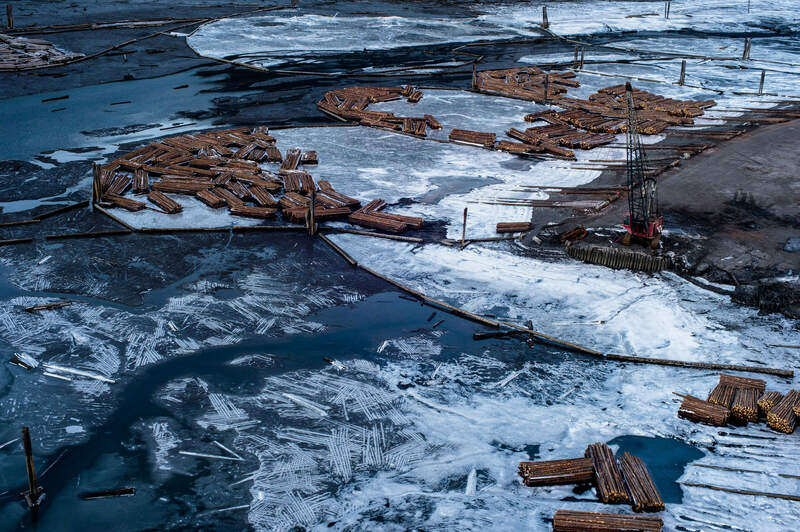 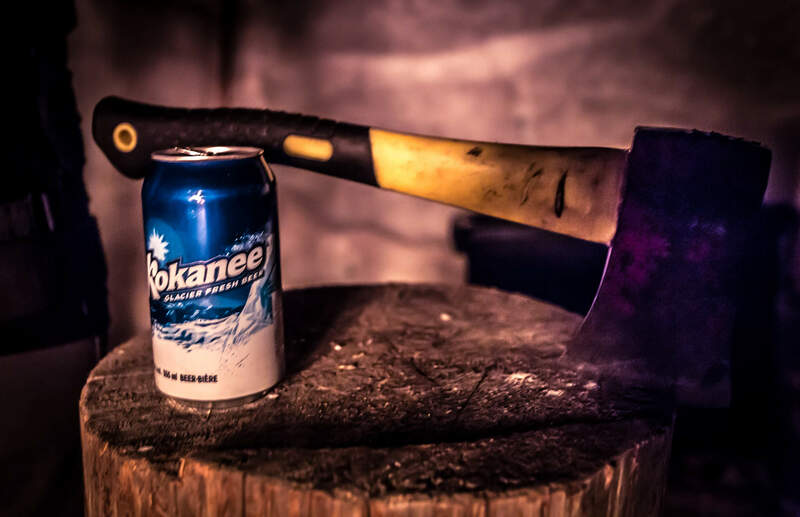 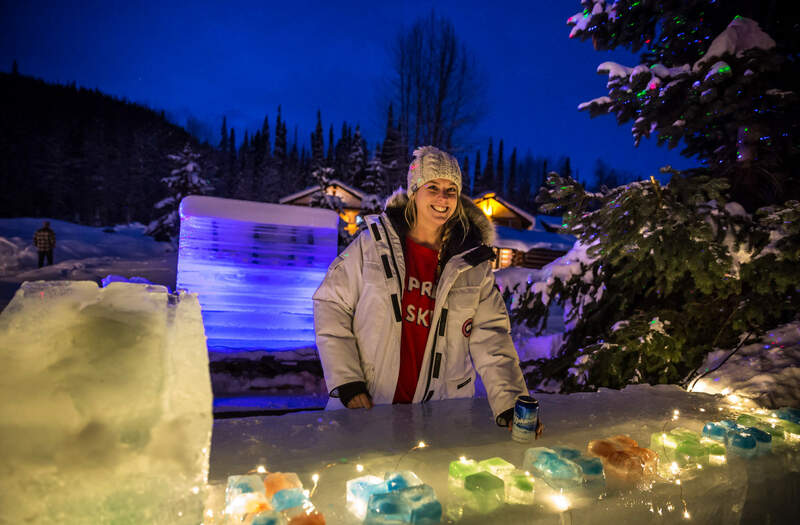 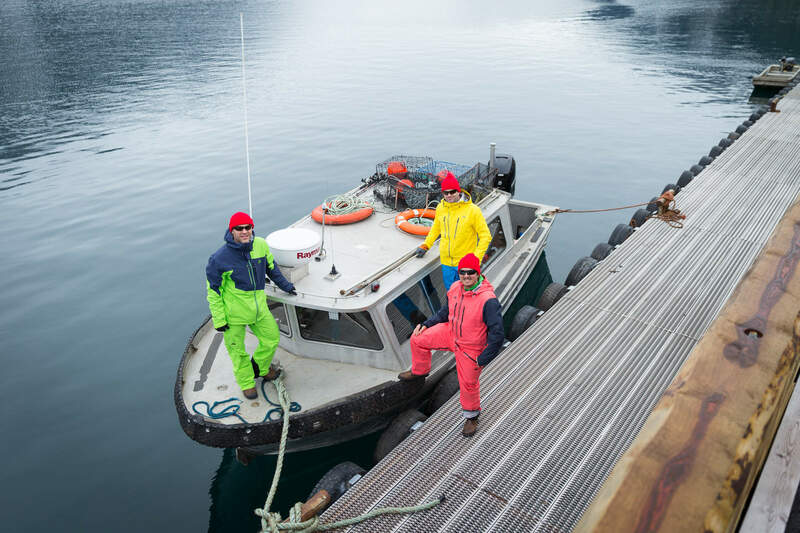 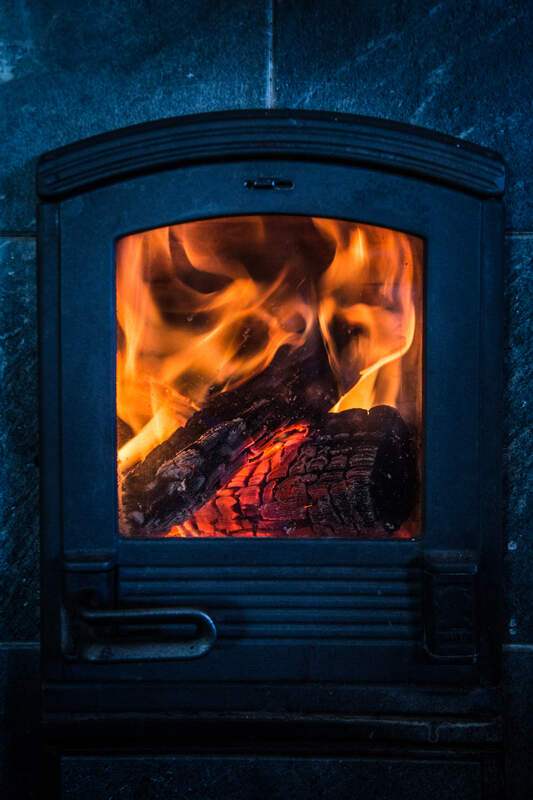 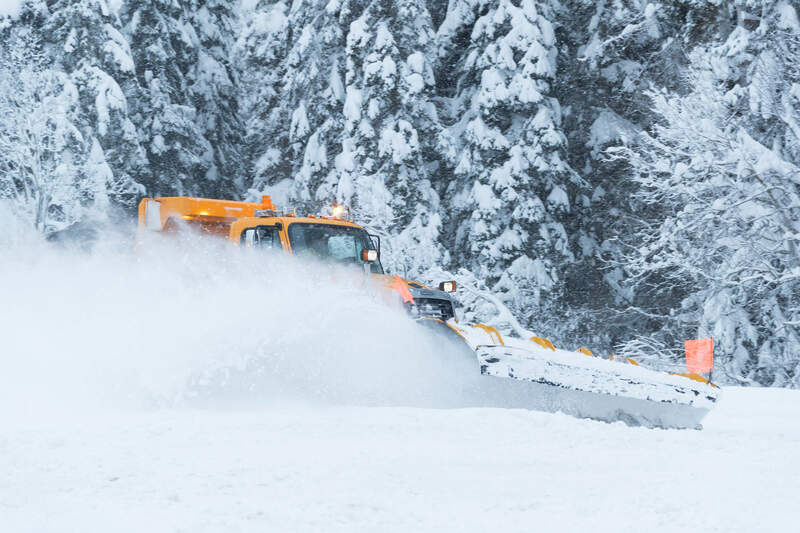 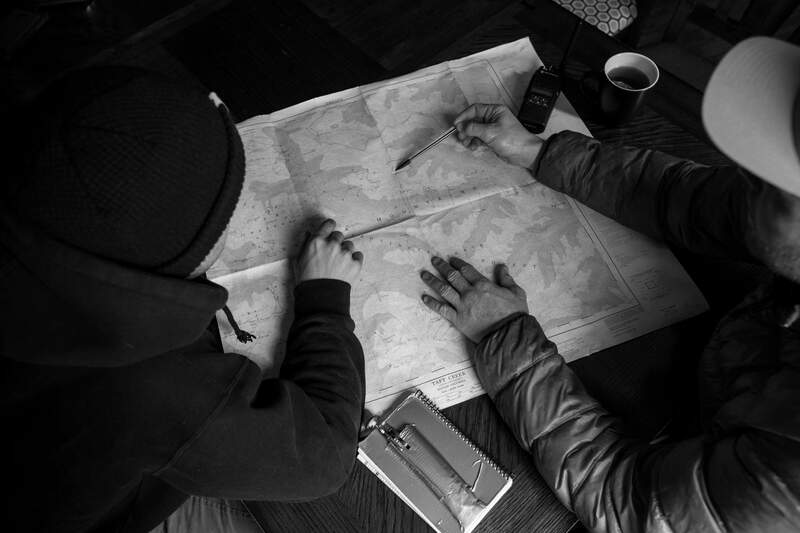 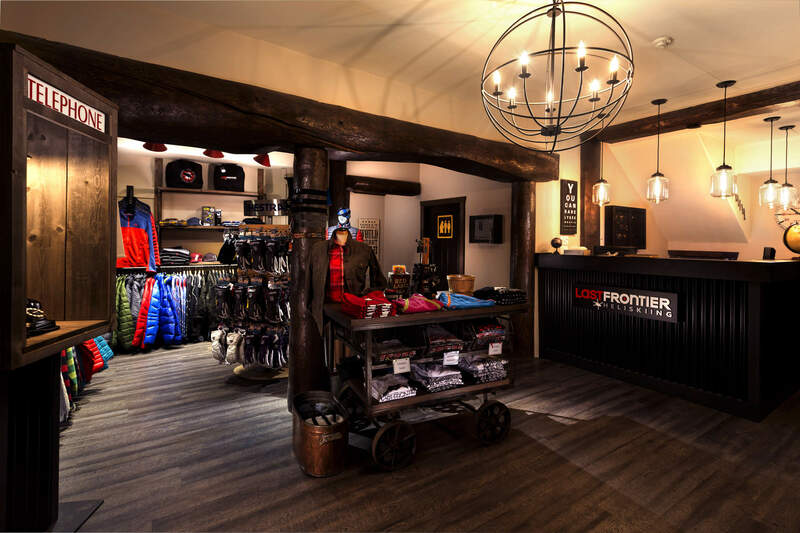 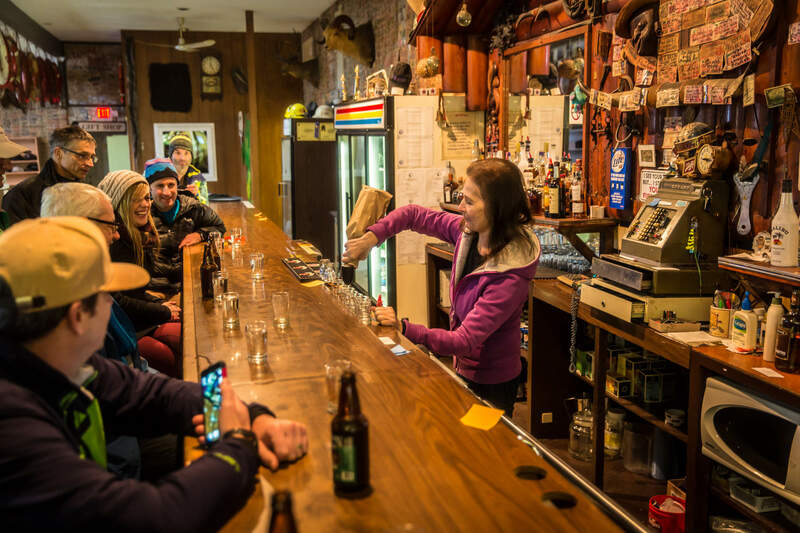 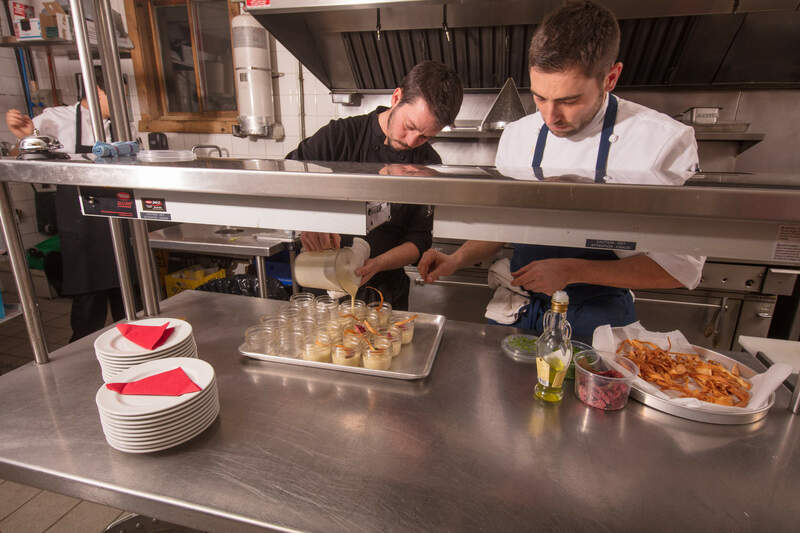 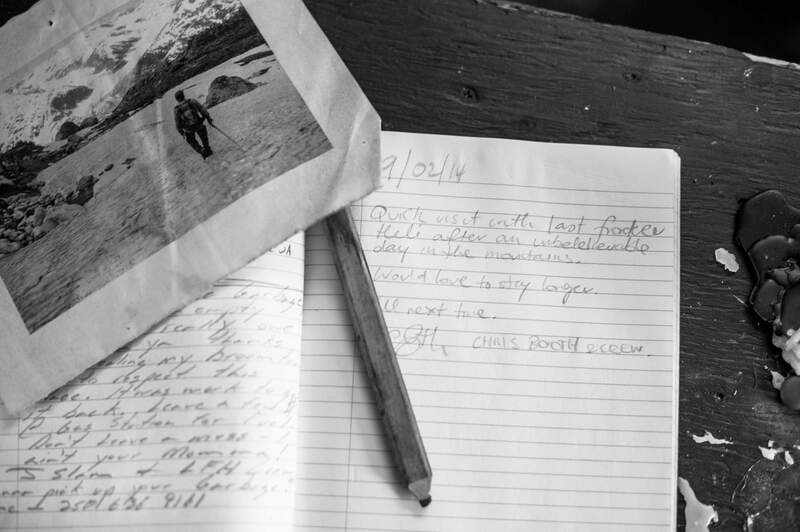 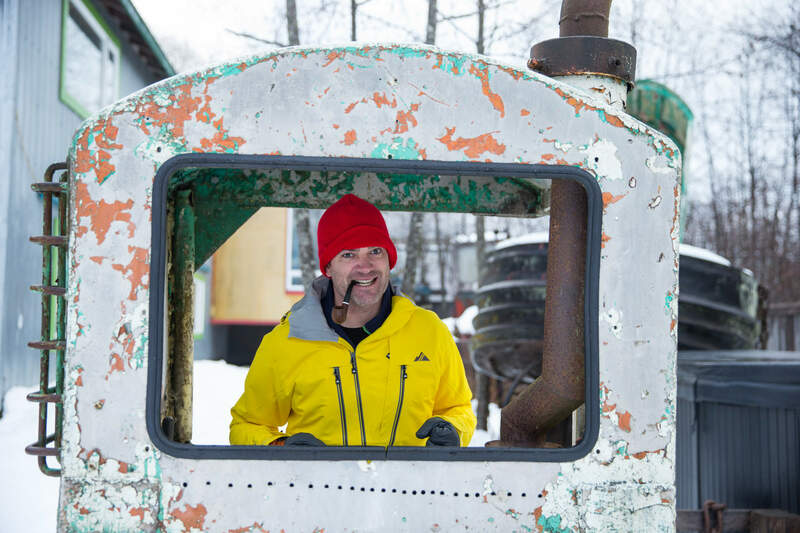 Discover more about Last Frontier in our six-part series that sheds insight into who we are, what we do and how we do it. 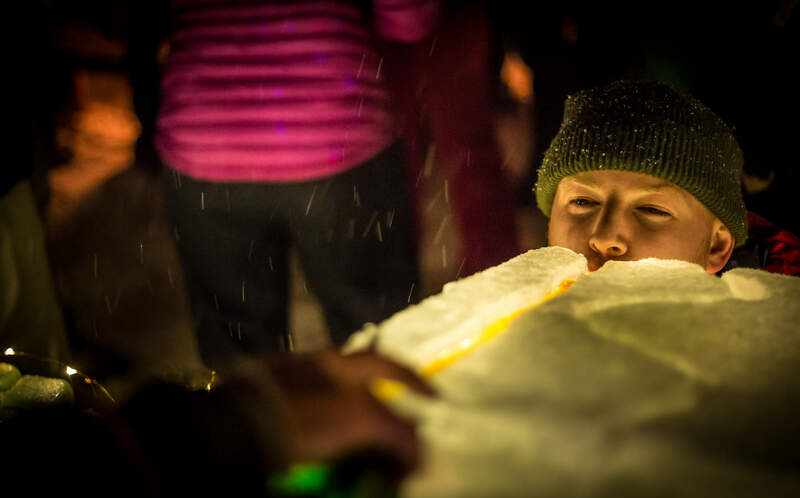 Check out our annual season slideshows. 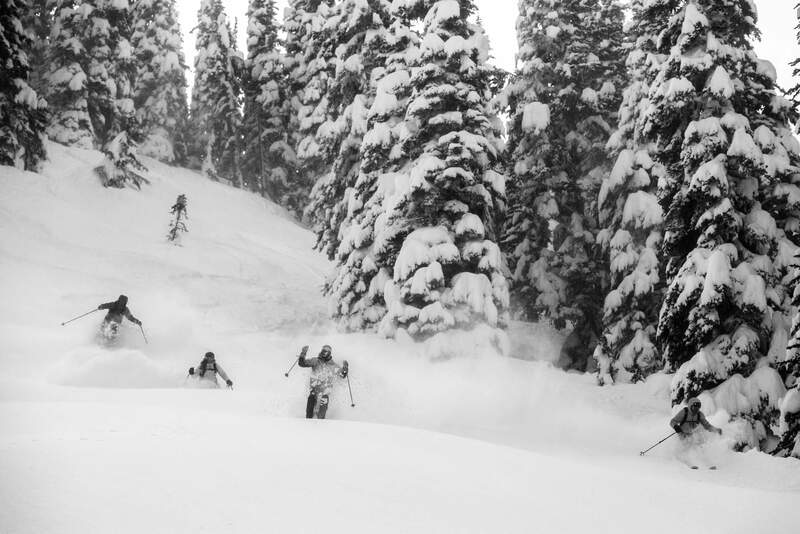 A few clips from pro athlete visits. 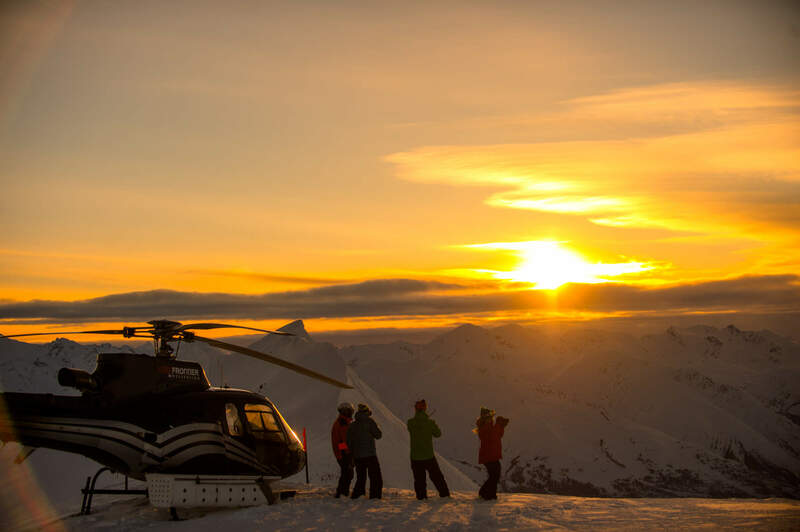 Get all the eye candy you can handle in our photo galleries. 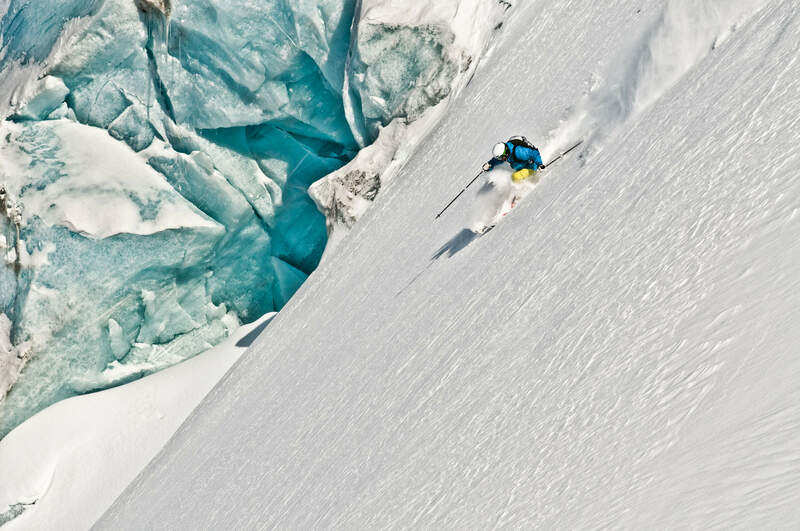 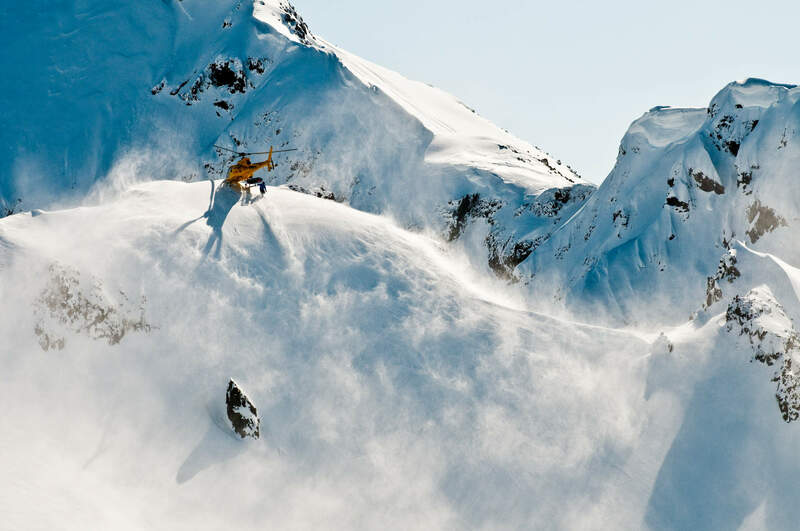 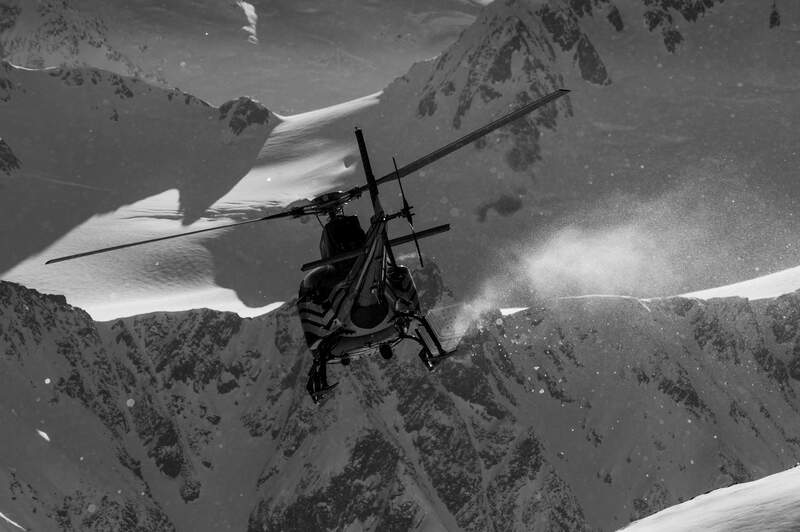 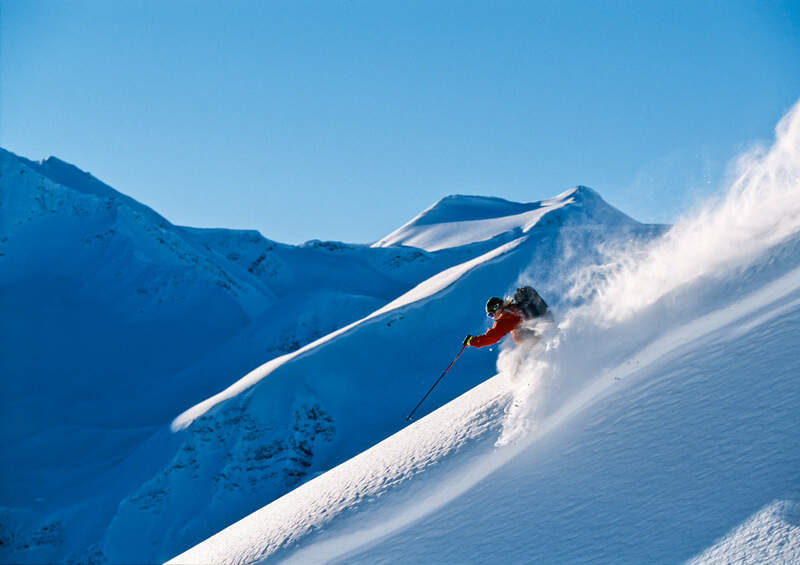 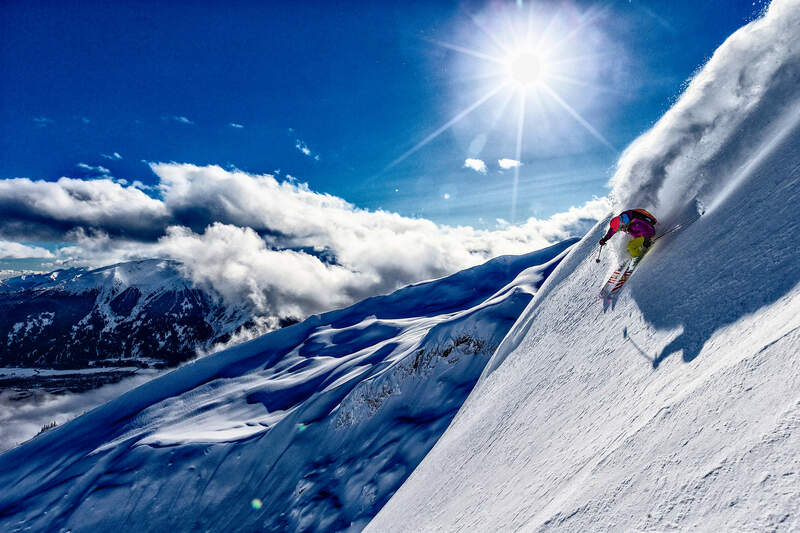 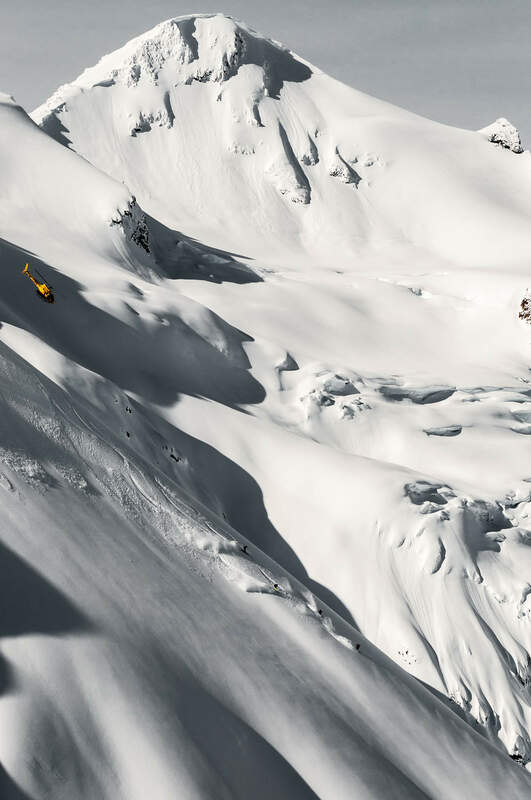 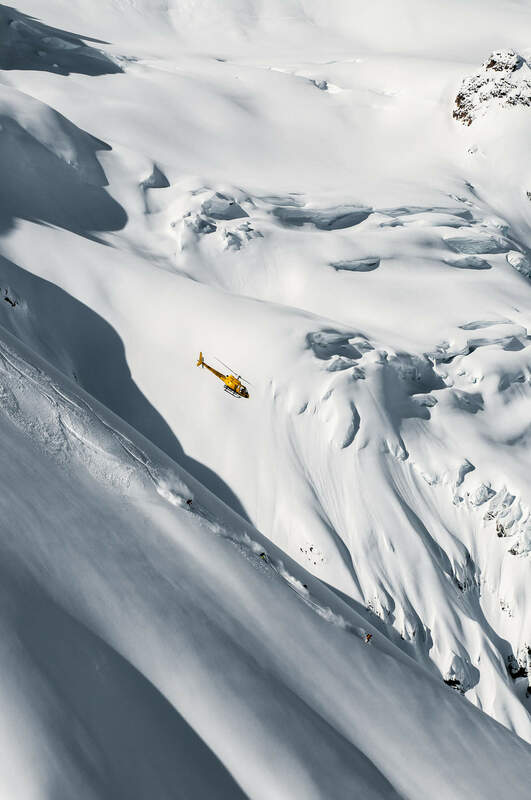 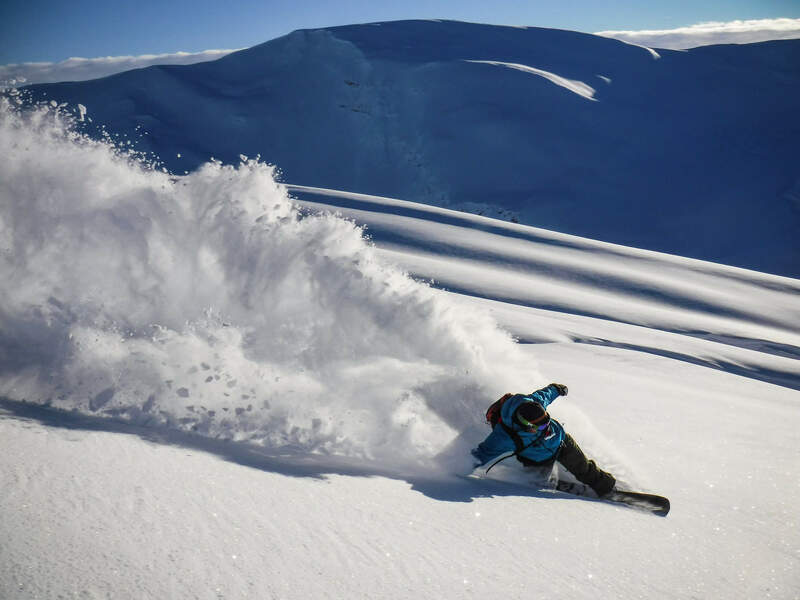 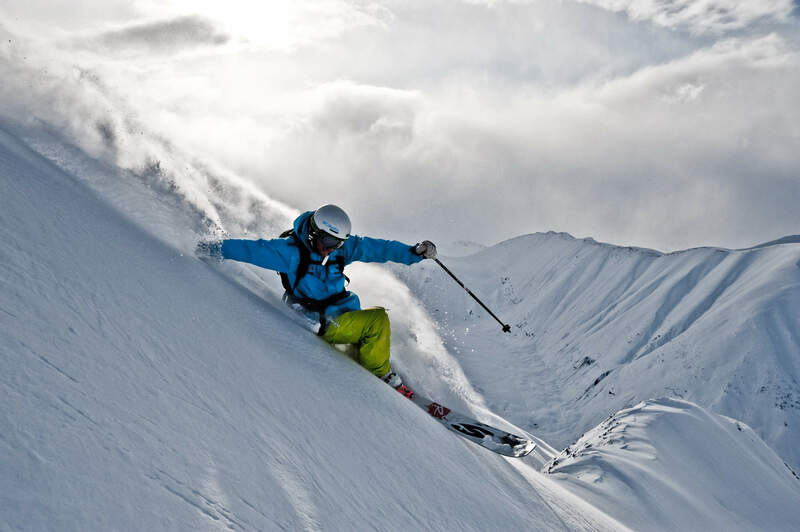 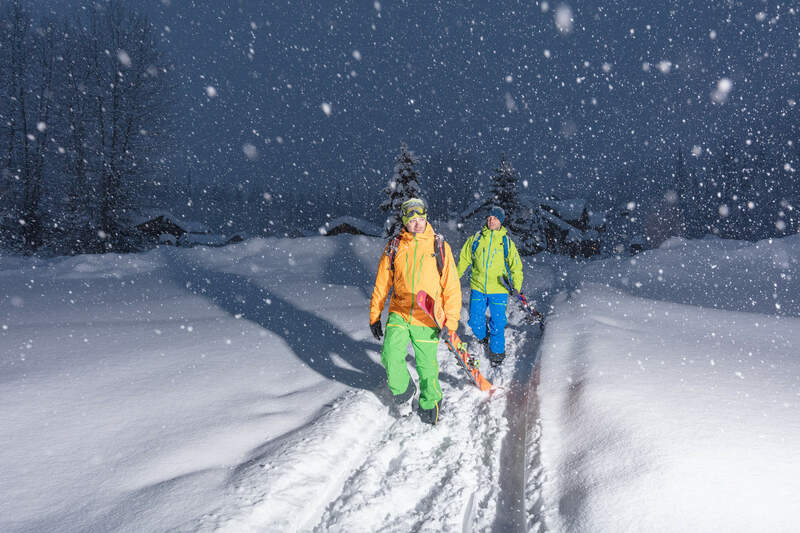 Deep snow, big terrain and action shots from the world’s biggest heli skiing area, all categorized for easy browsing. 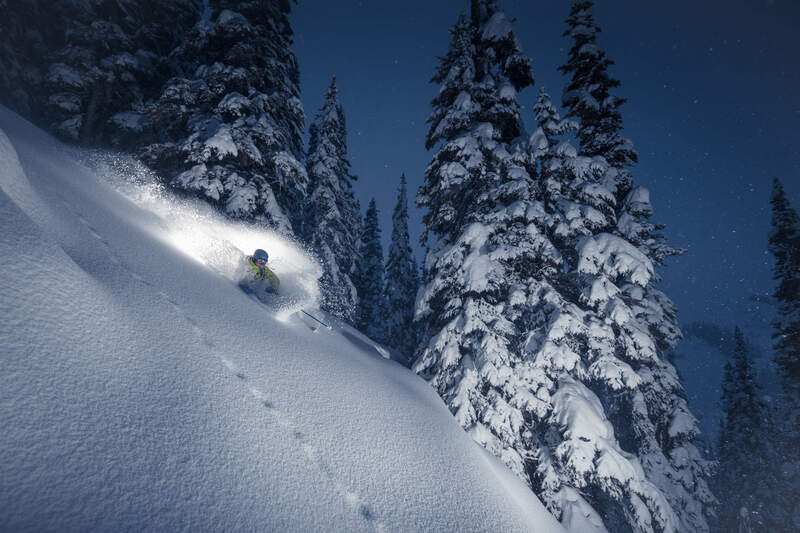 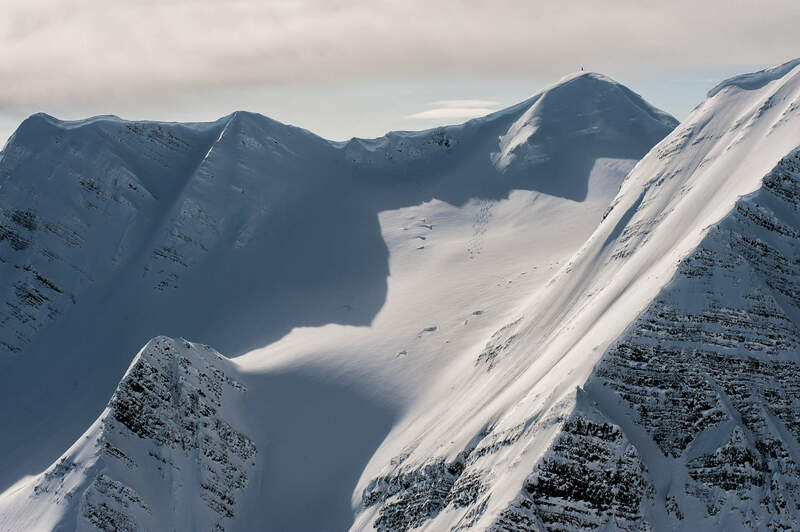 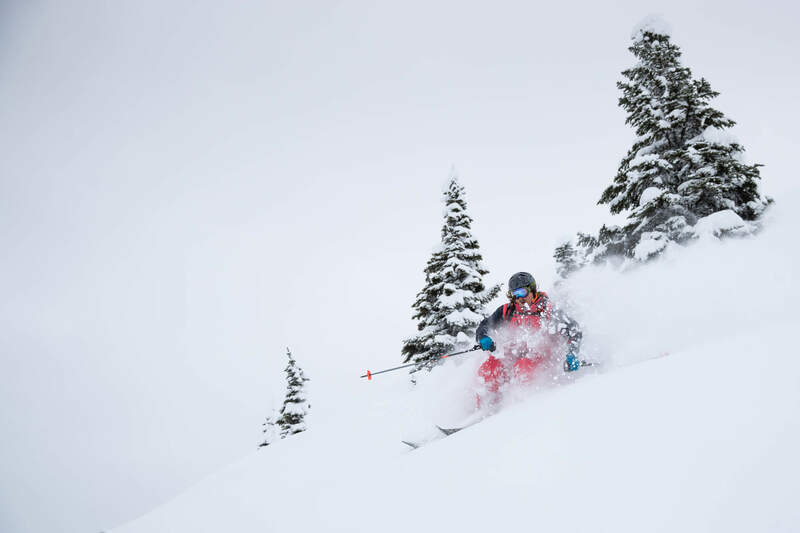 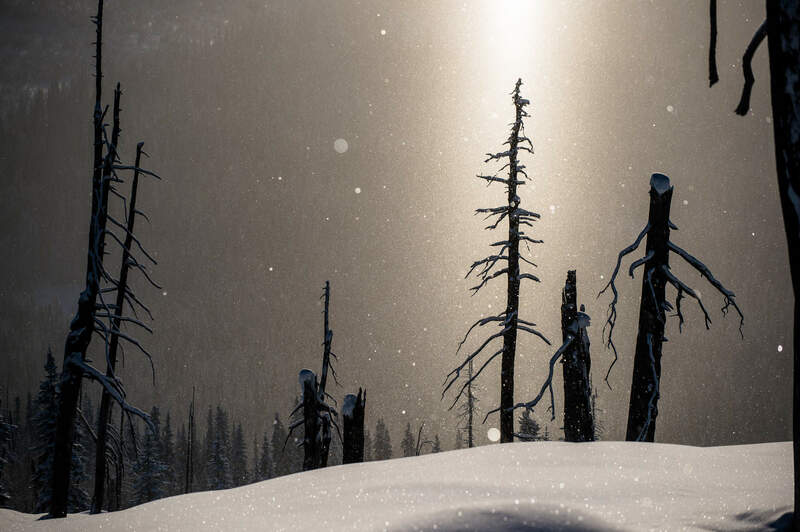 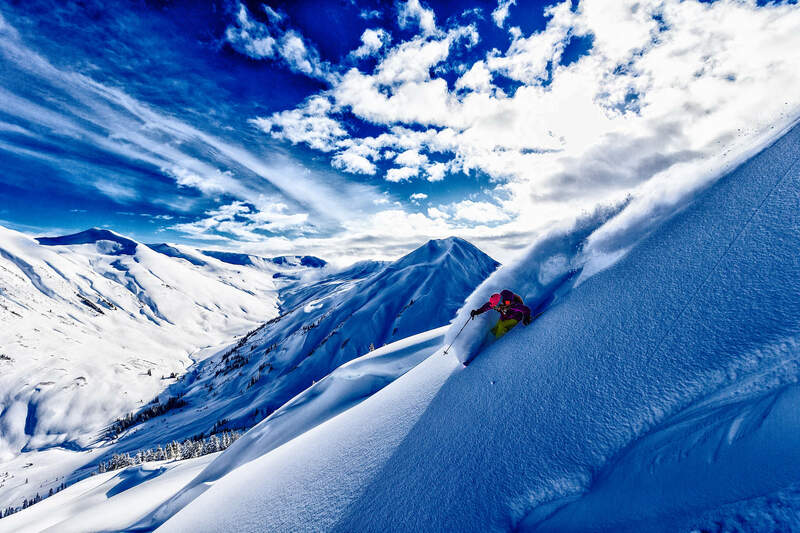 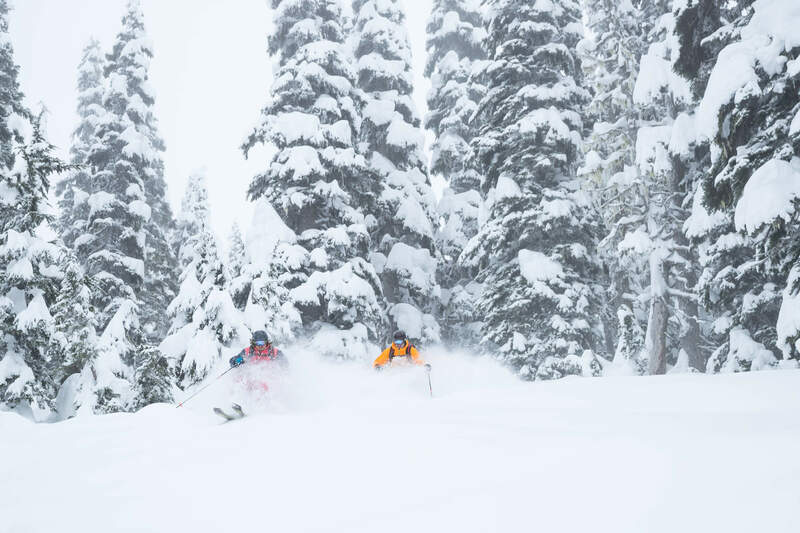 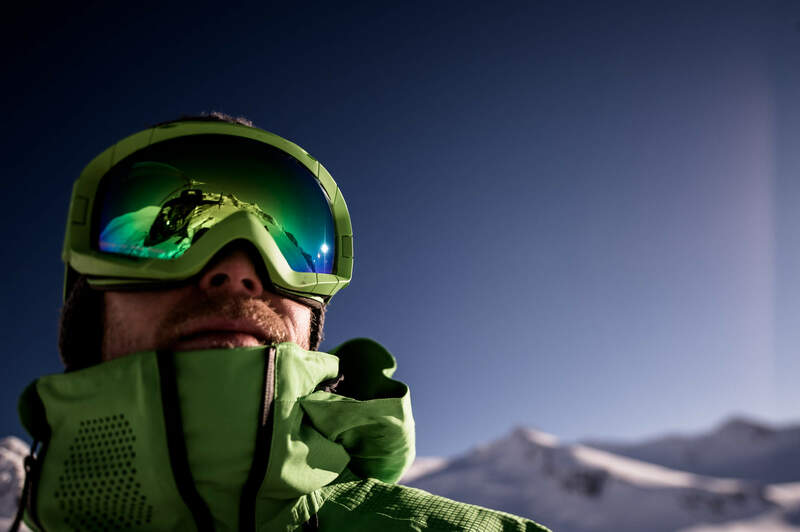 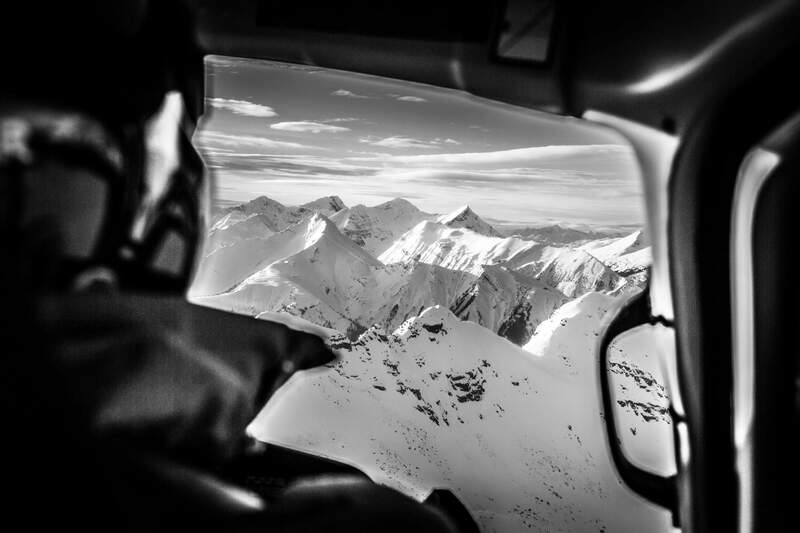 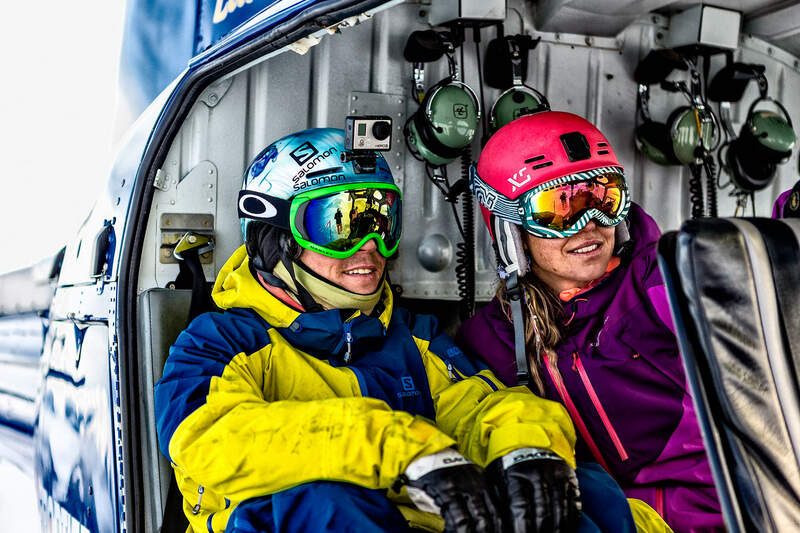 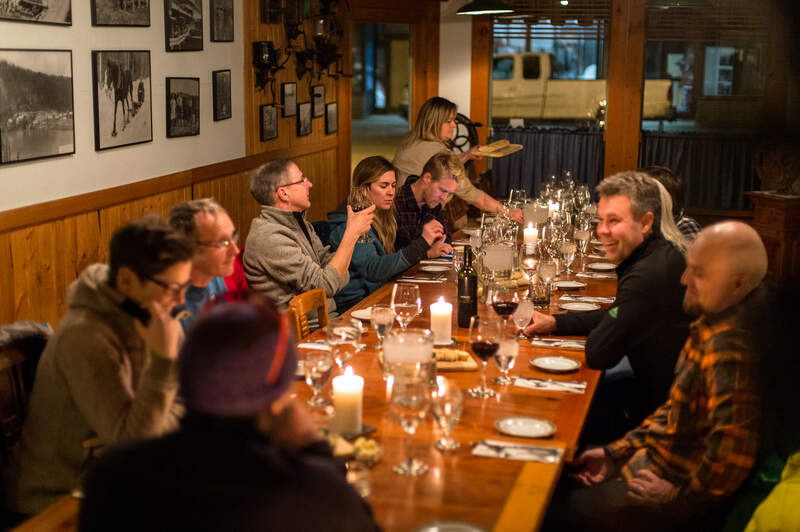 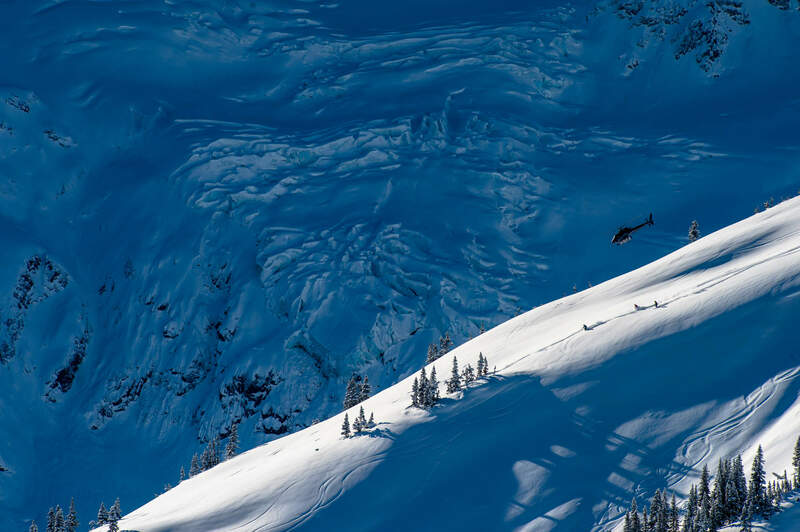 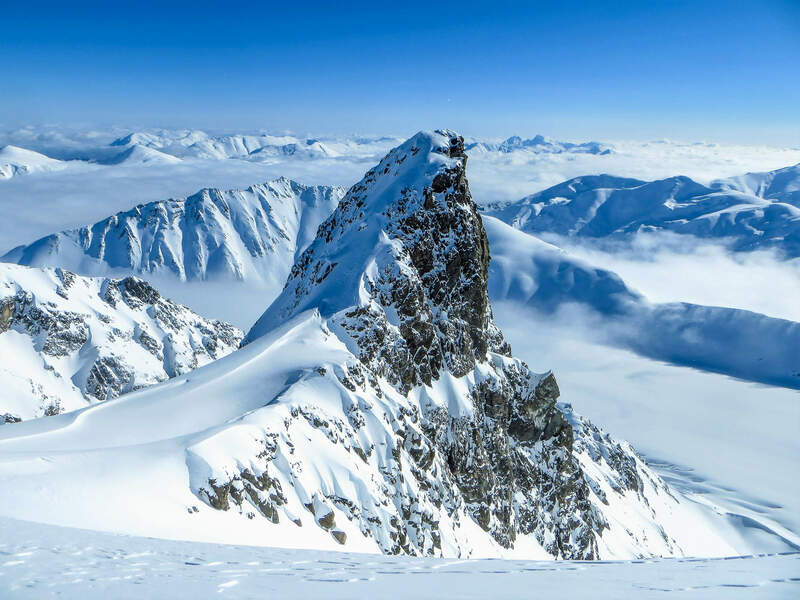 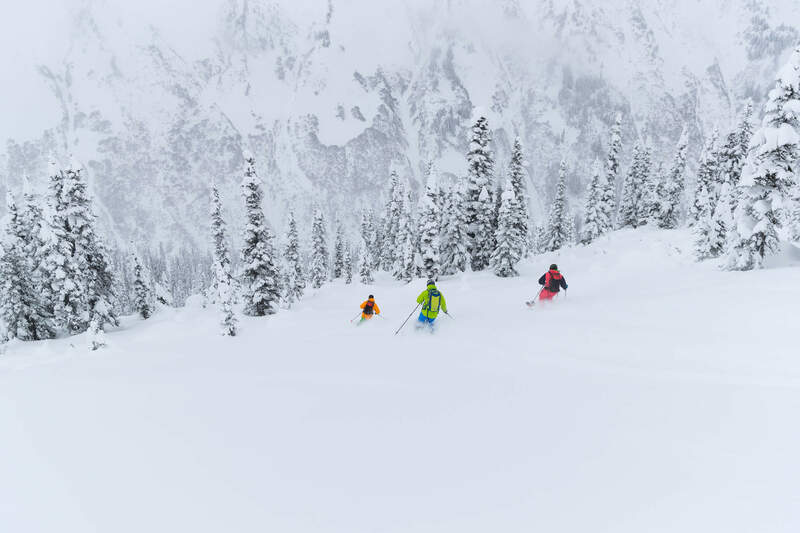 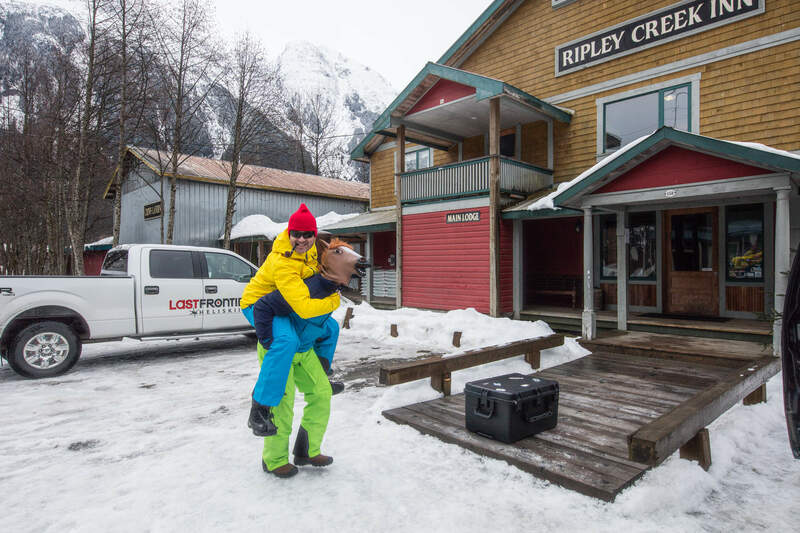 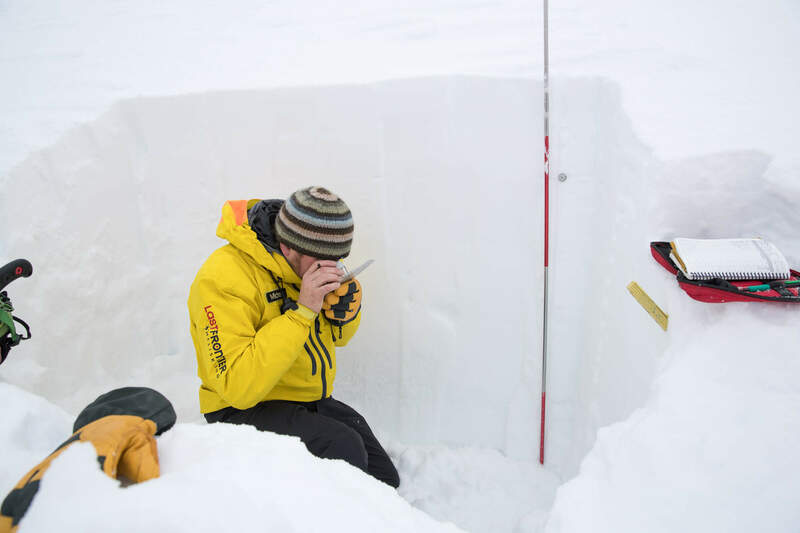 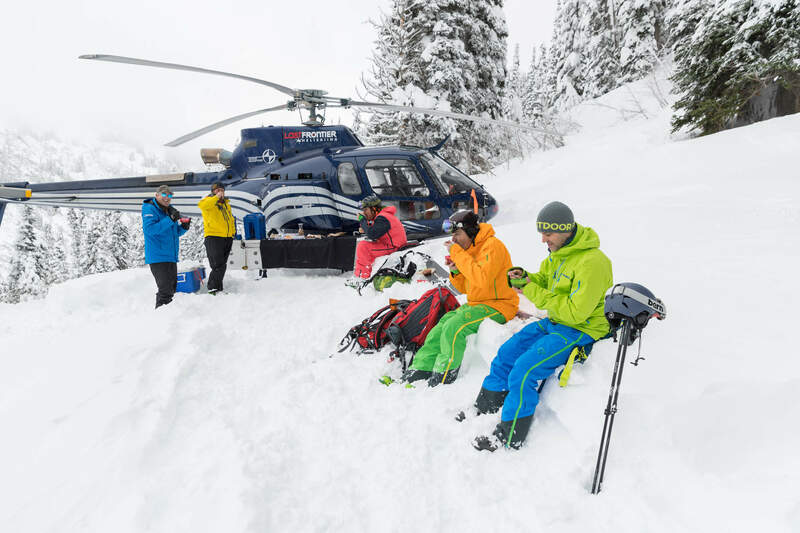 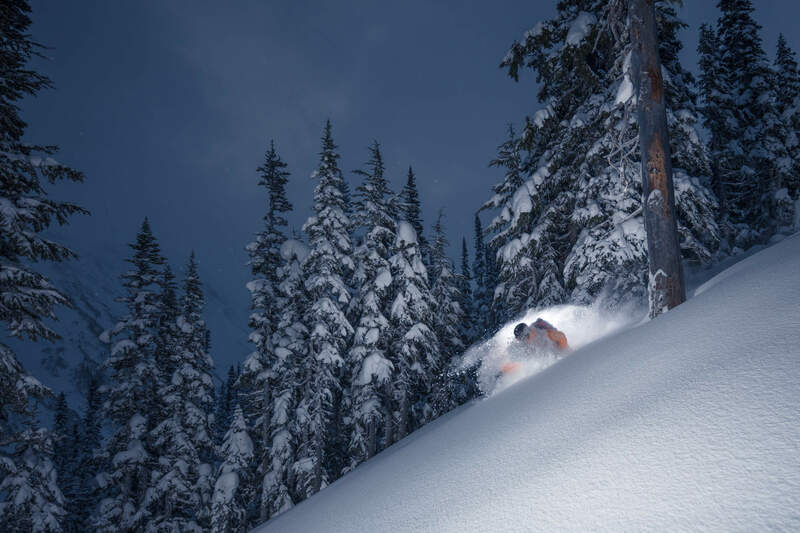 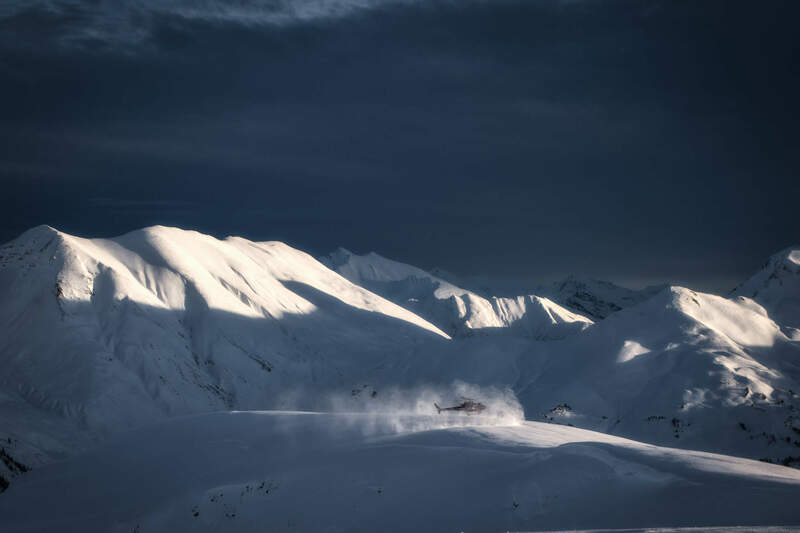 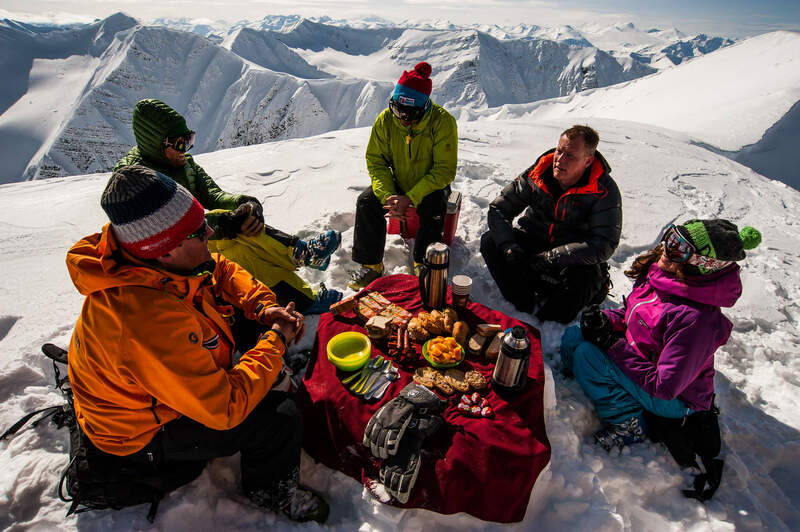 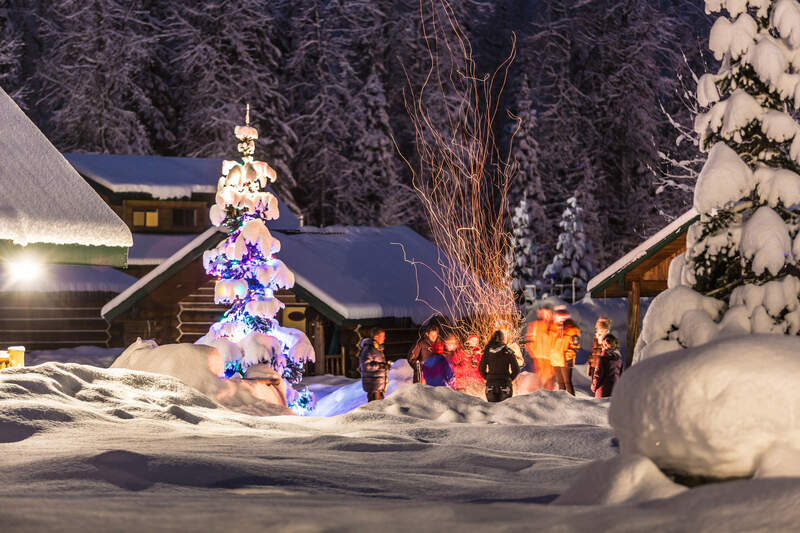 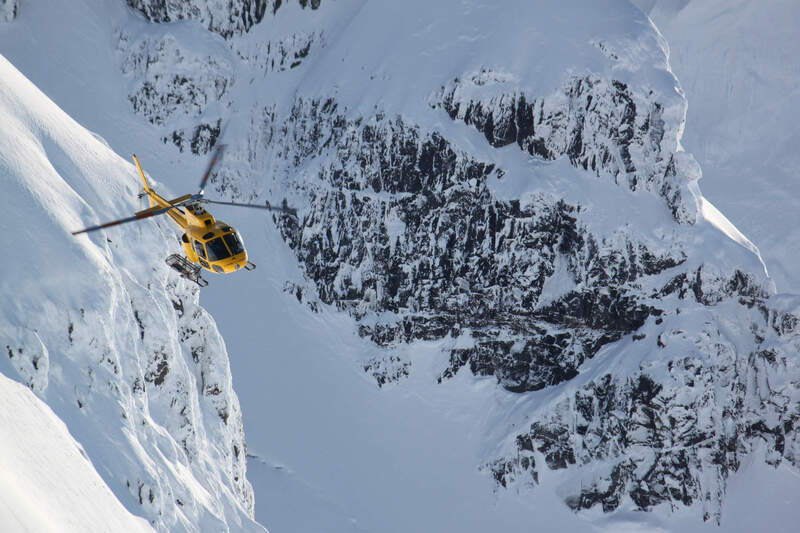 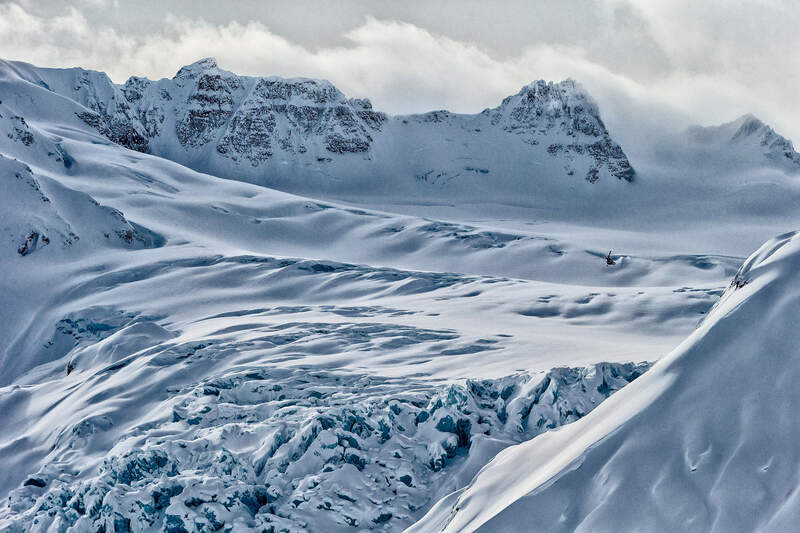 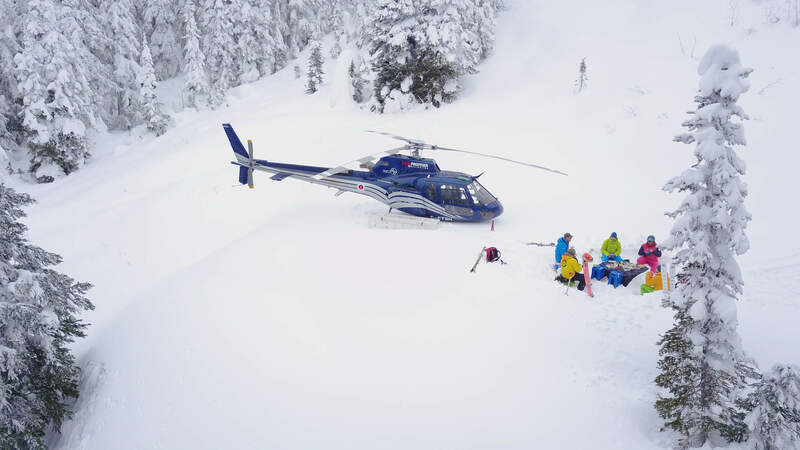 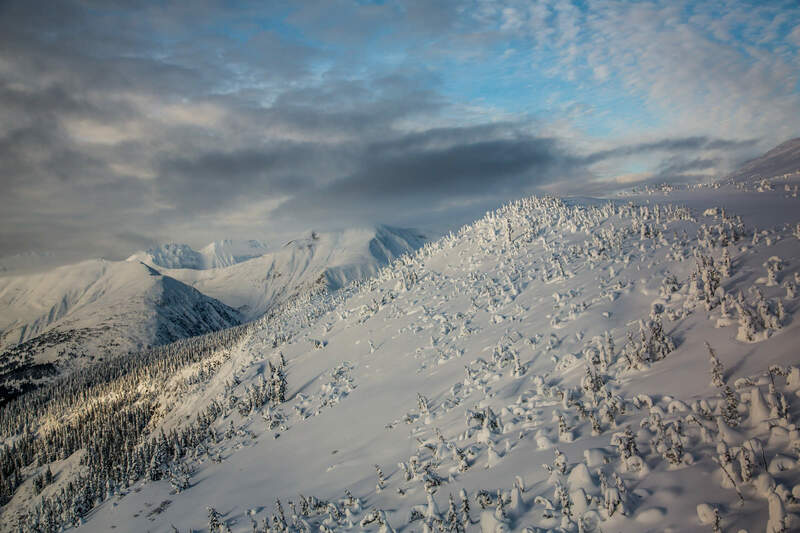 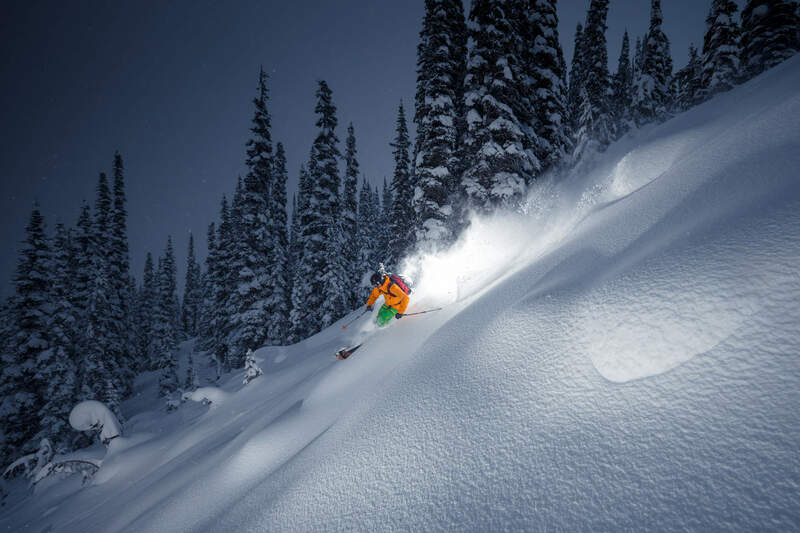 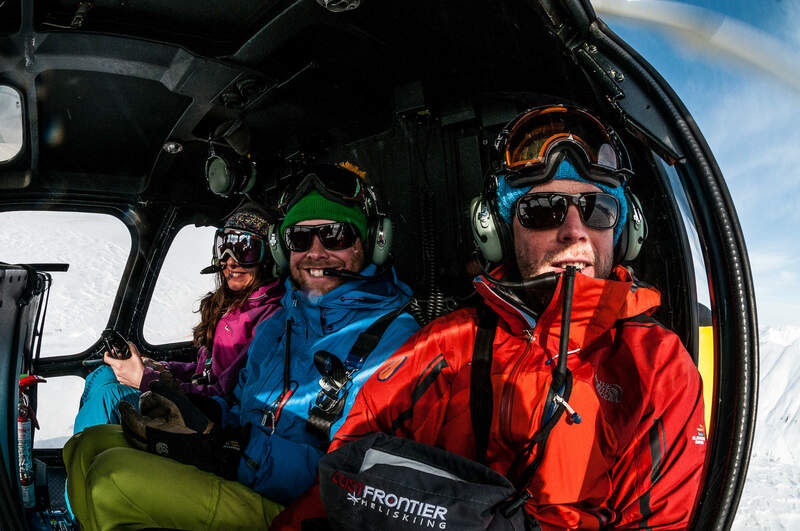 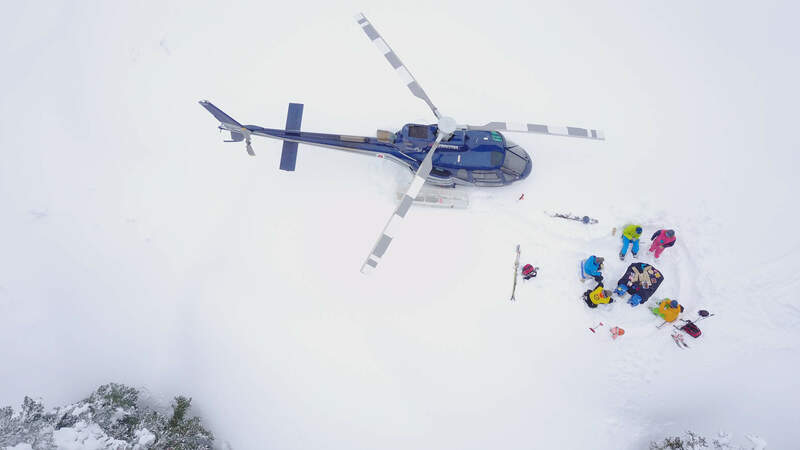 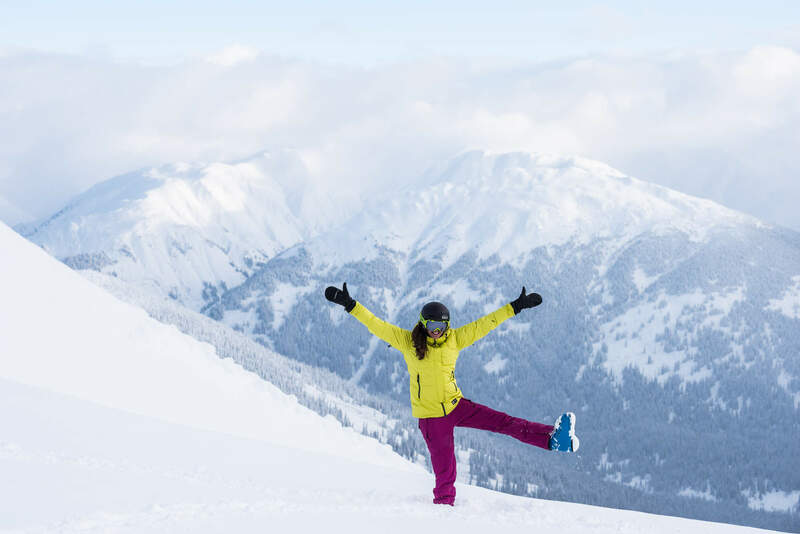 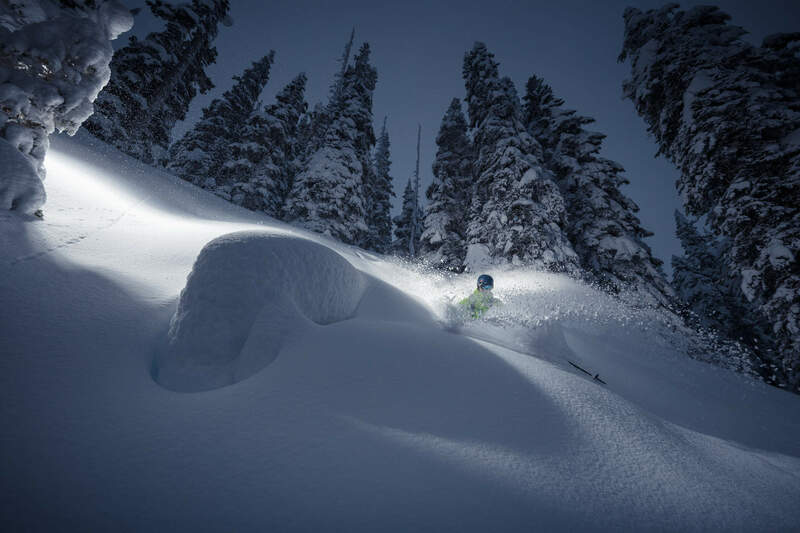 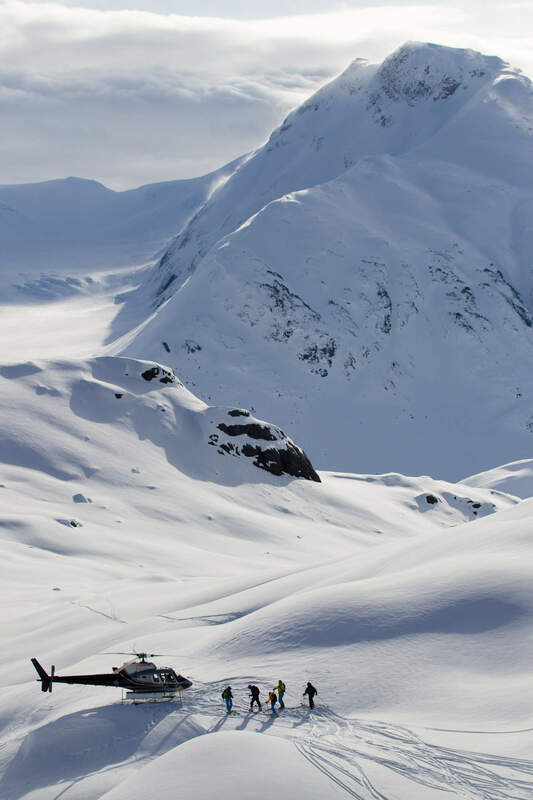 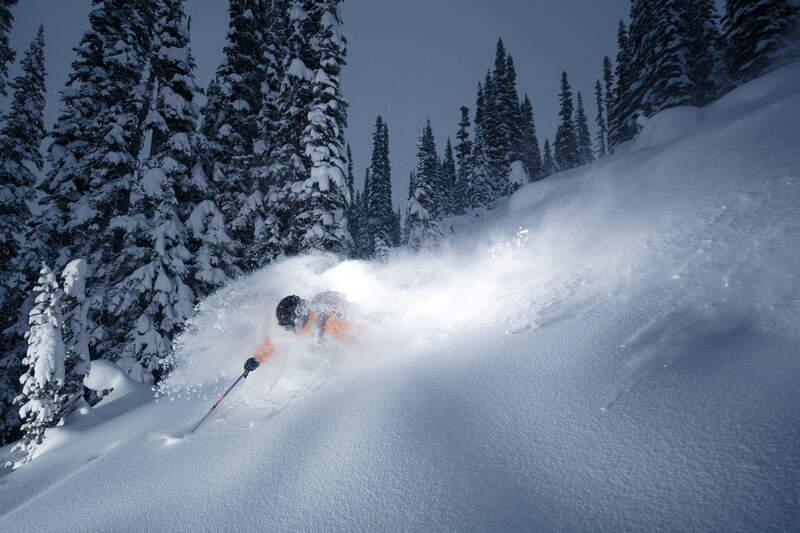 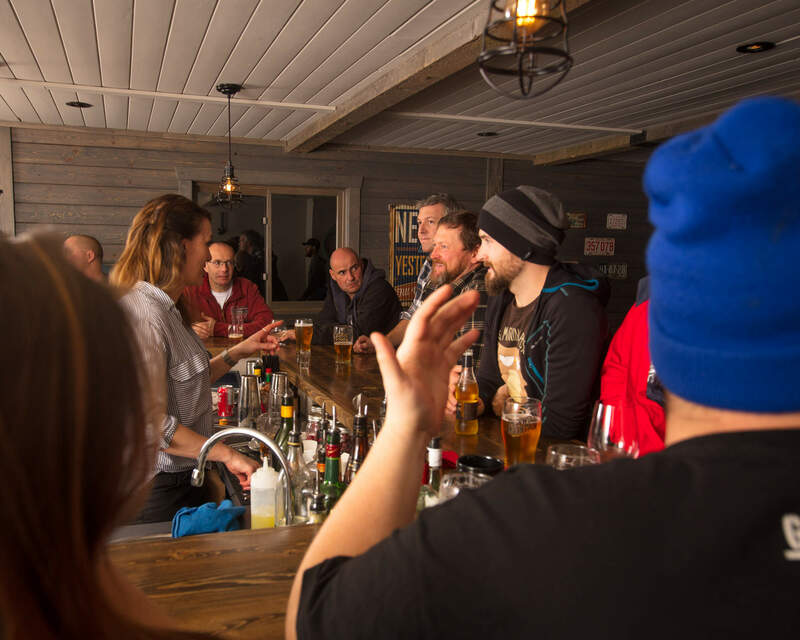 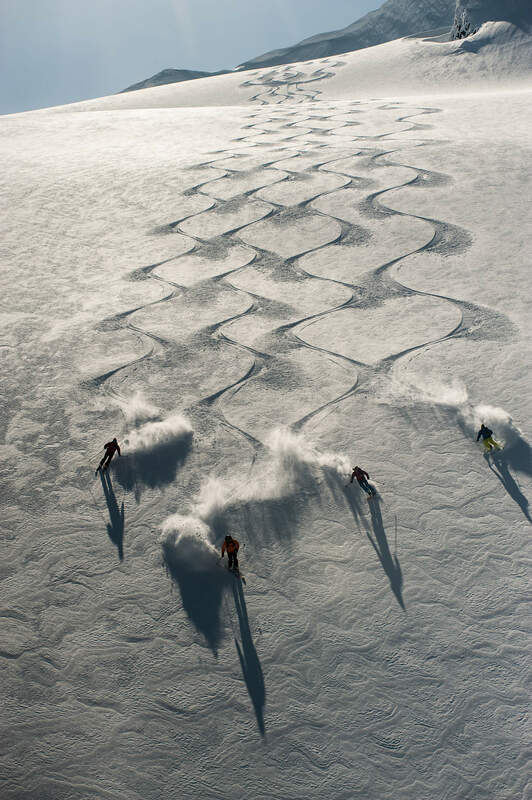 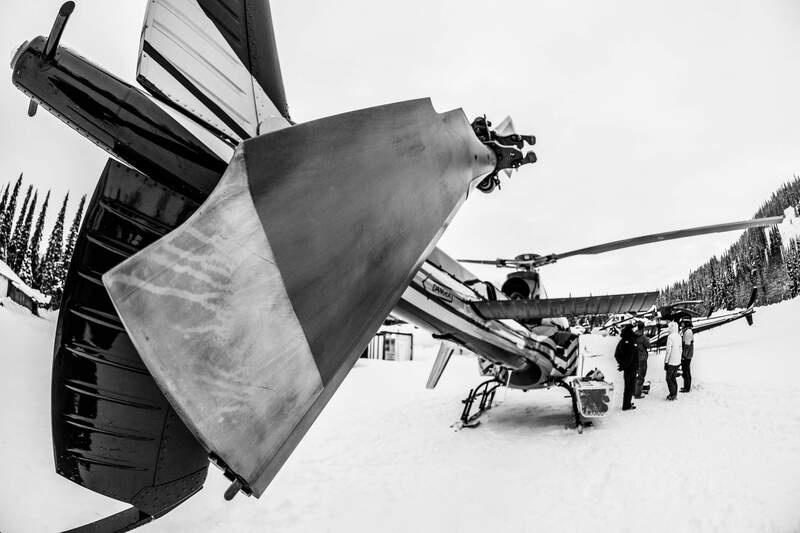 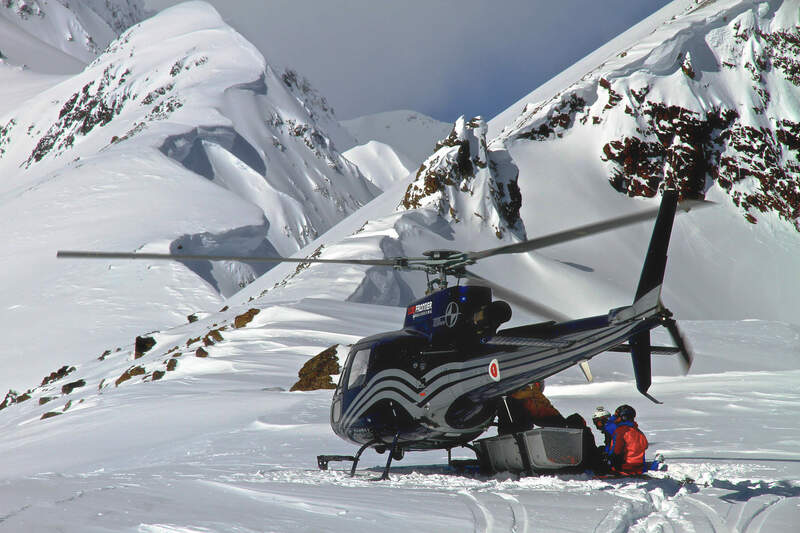 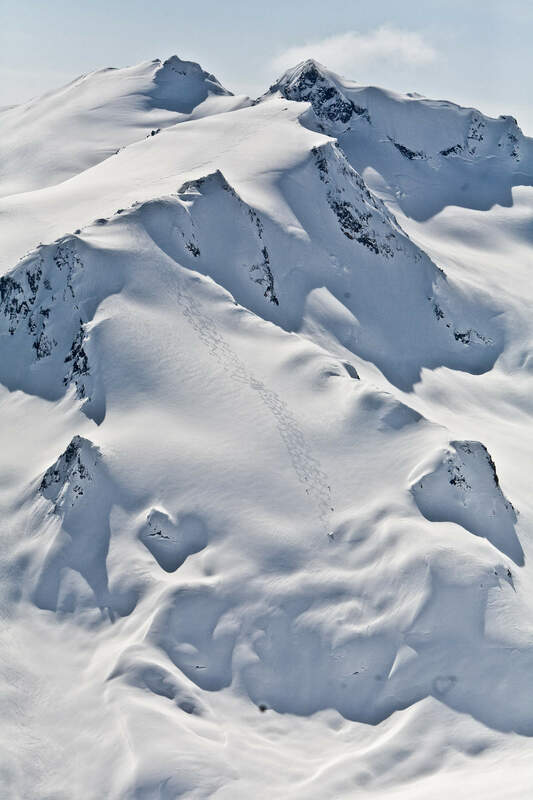 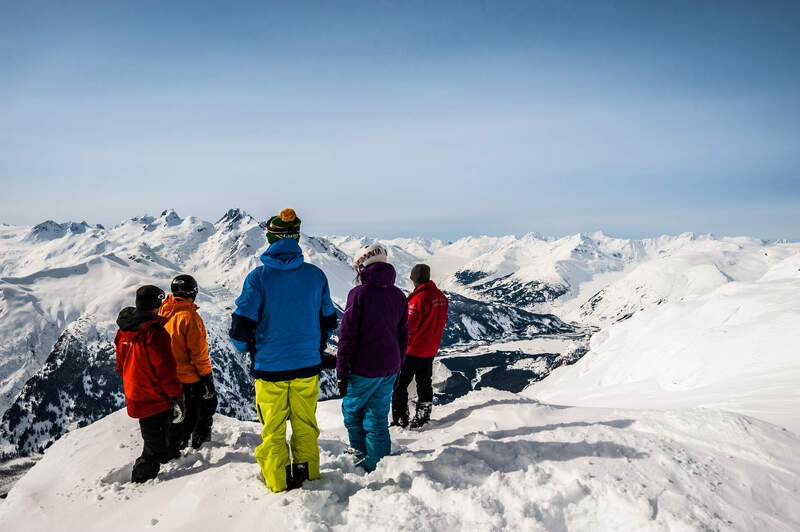 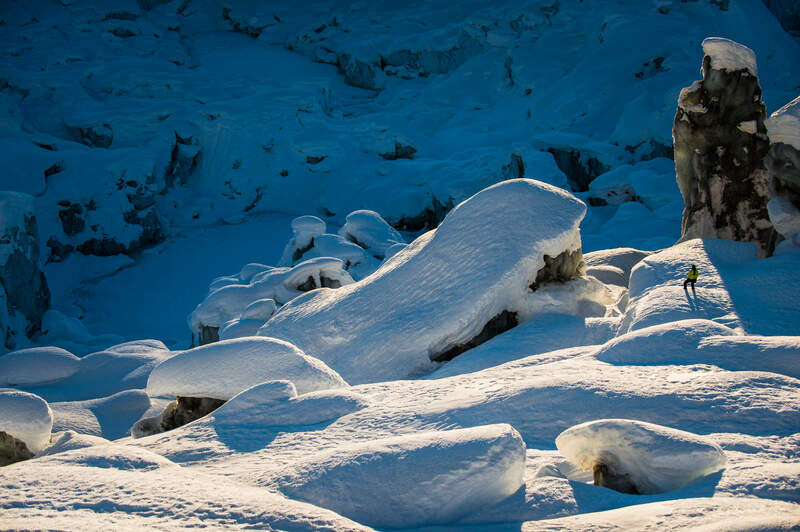 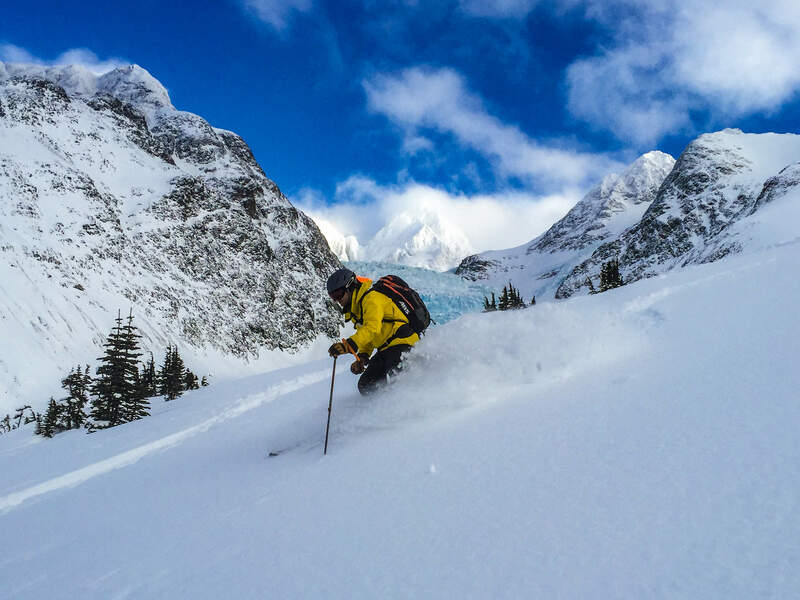 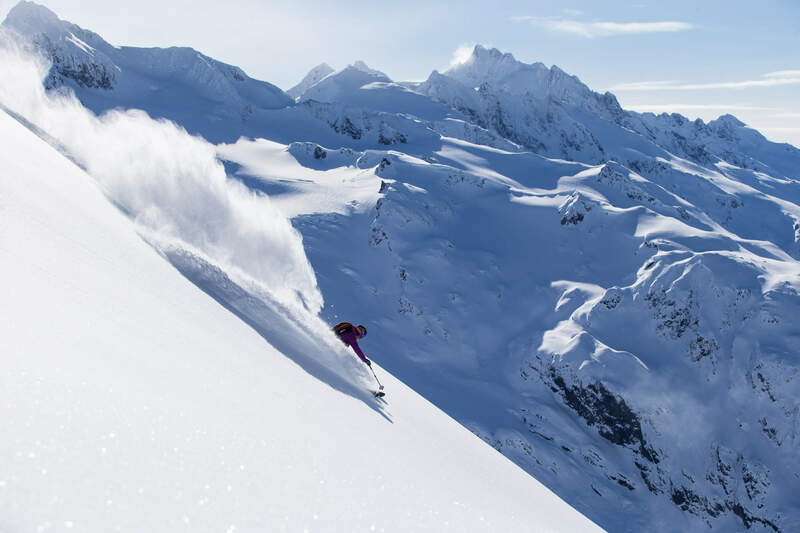 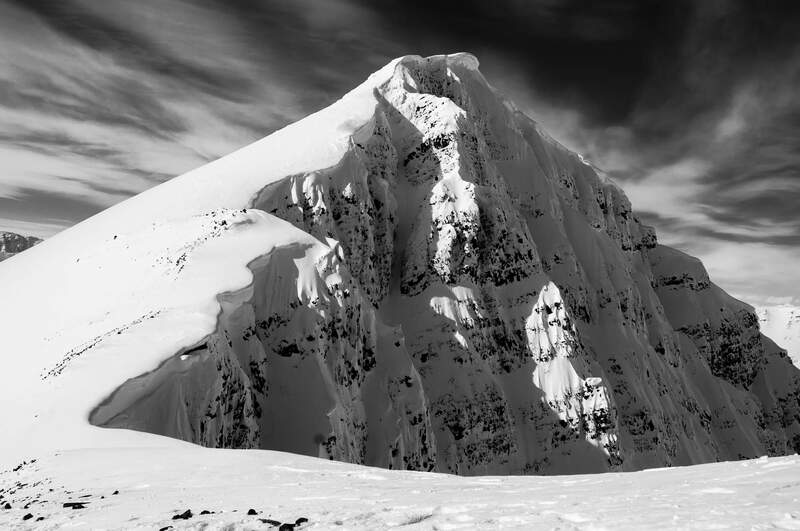 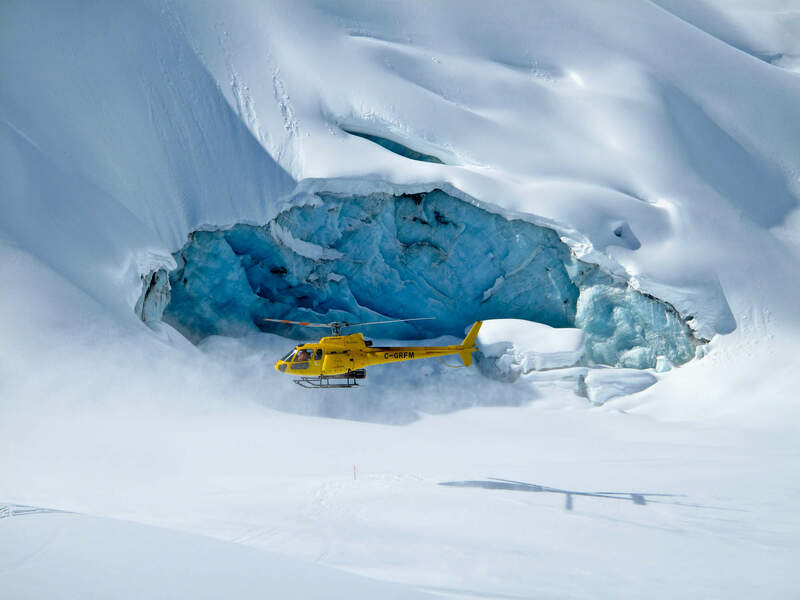 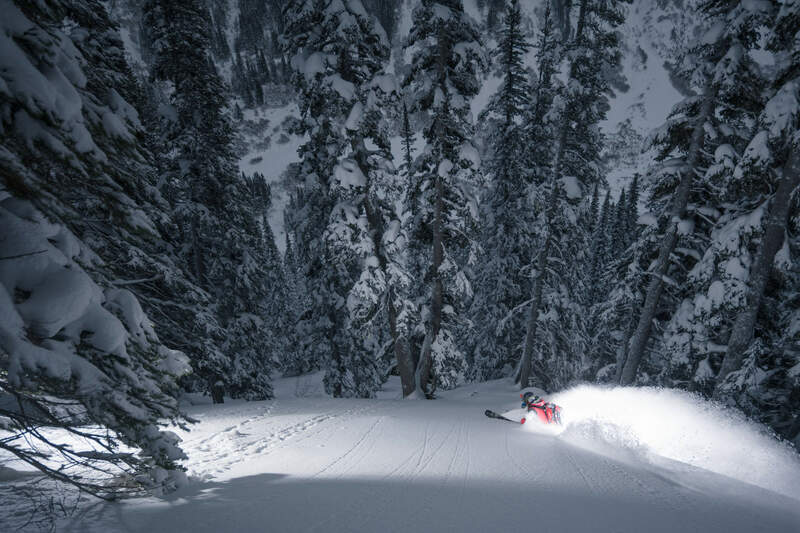 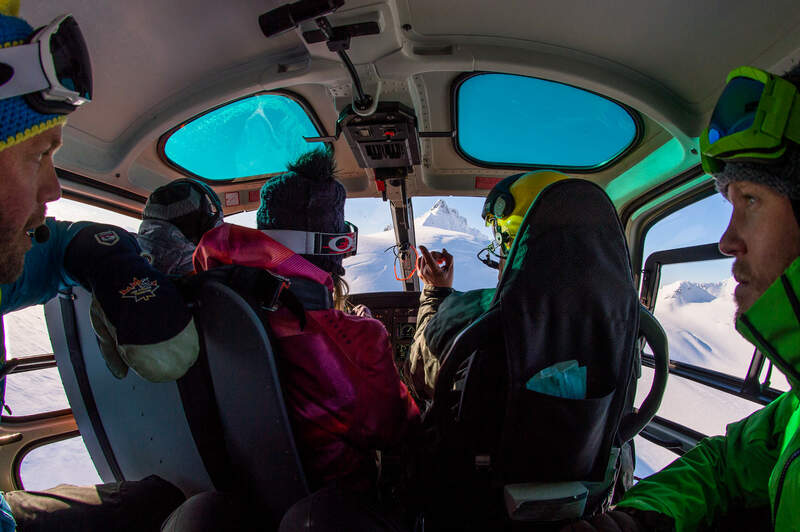 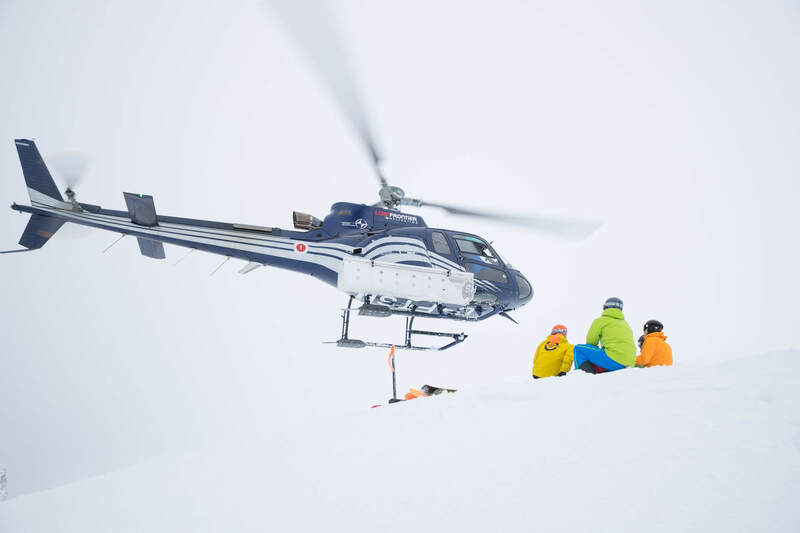 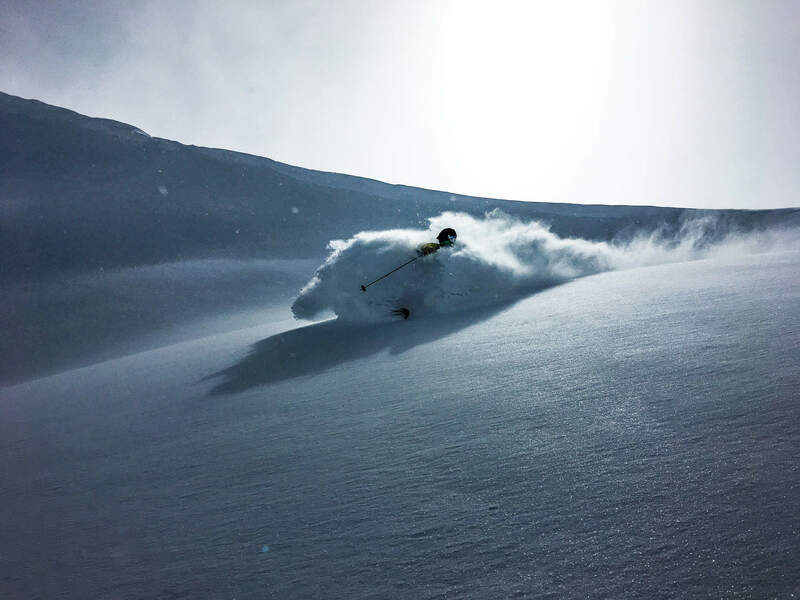 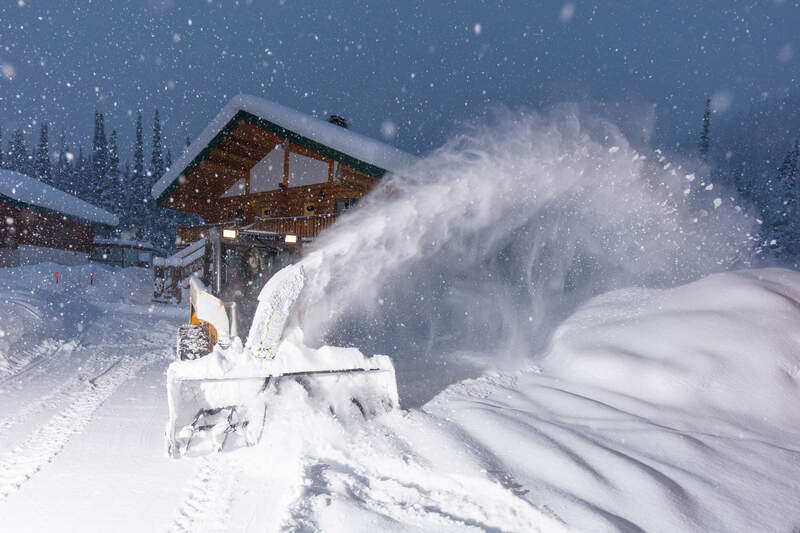 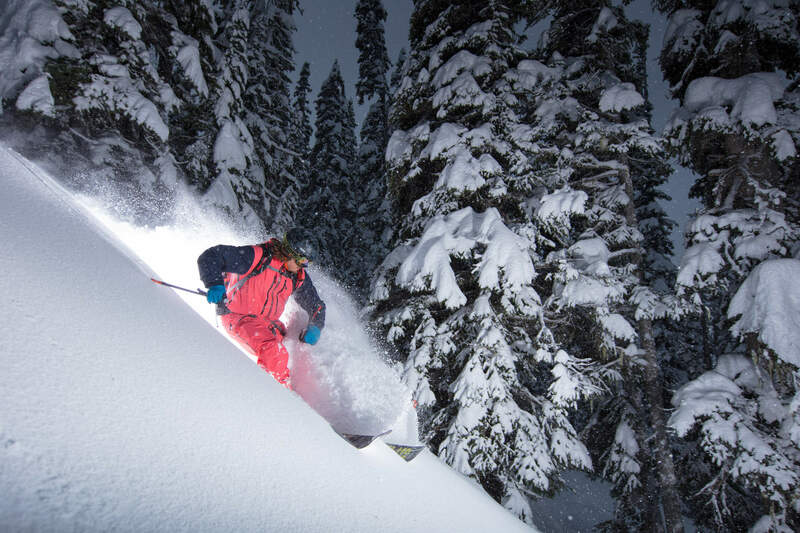 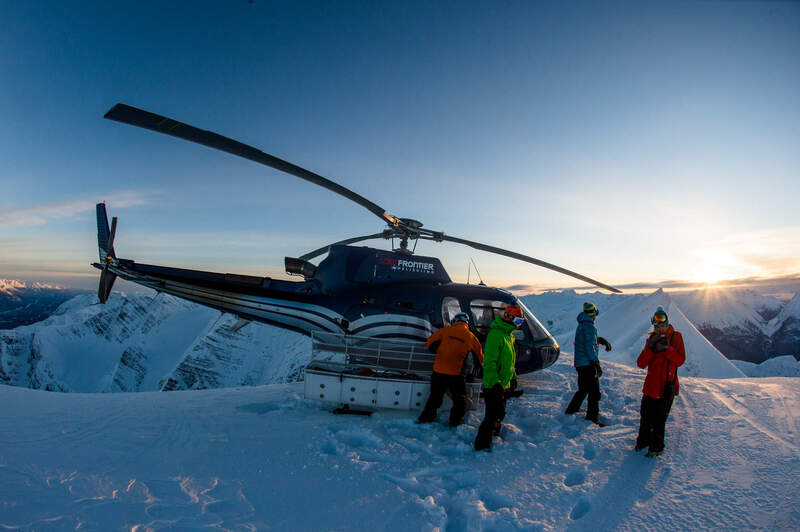 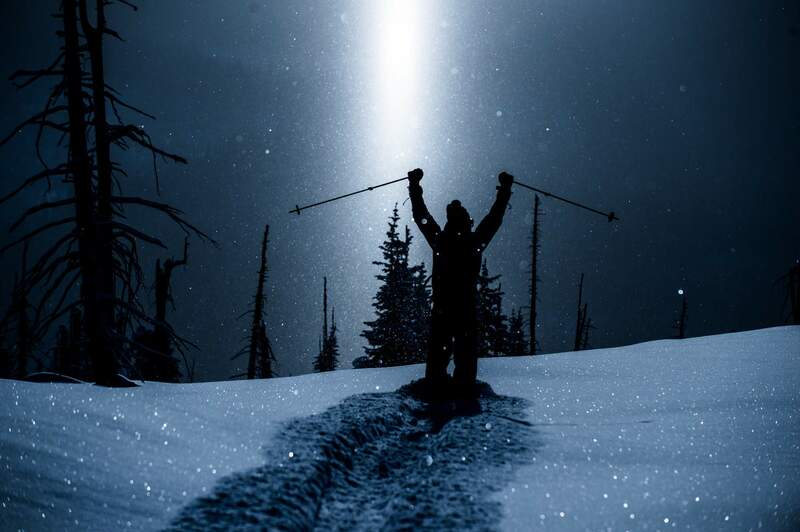 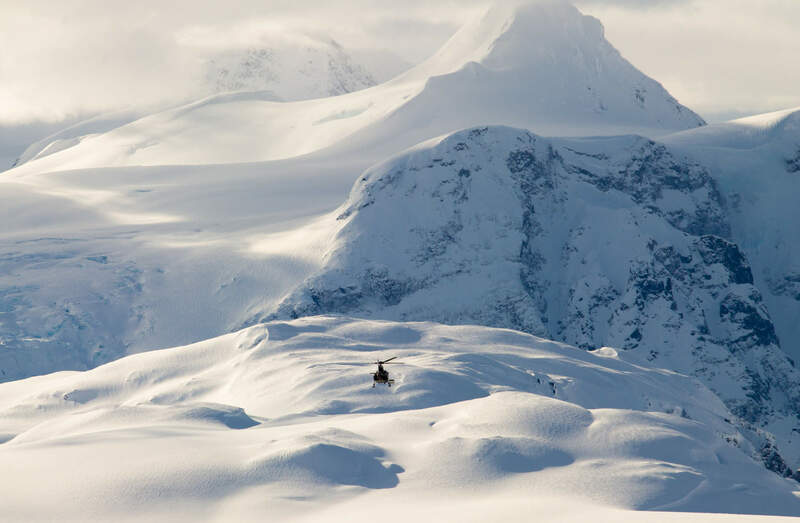 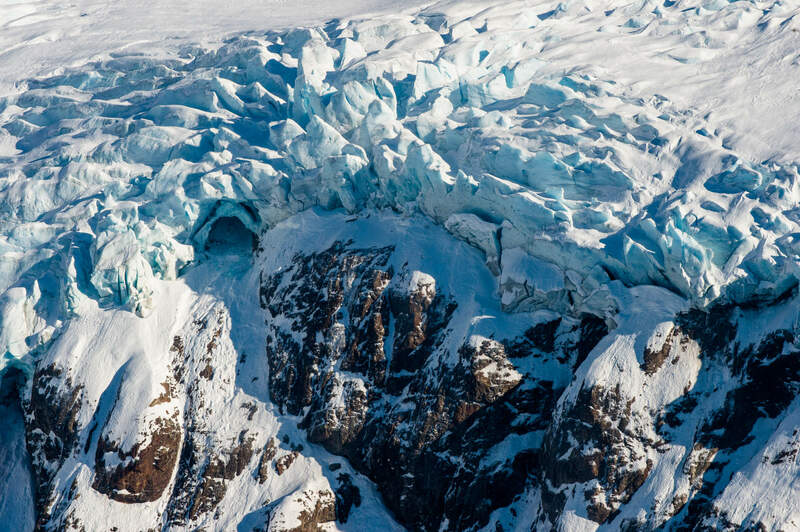 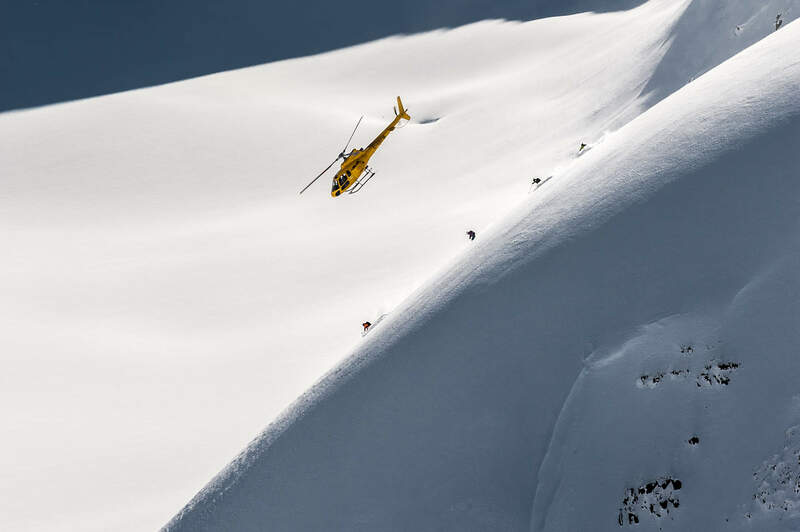 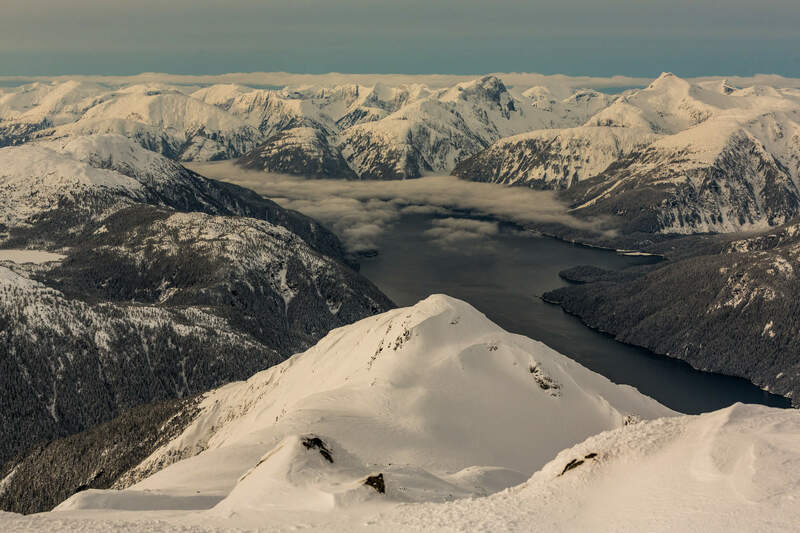 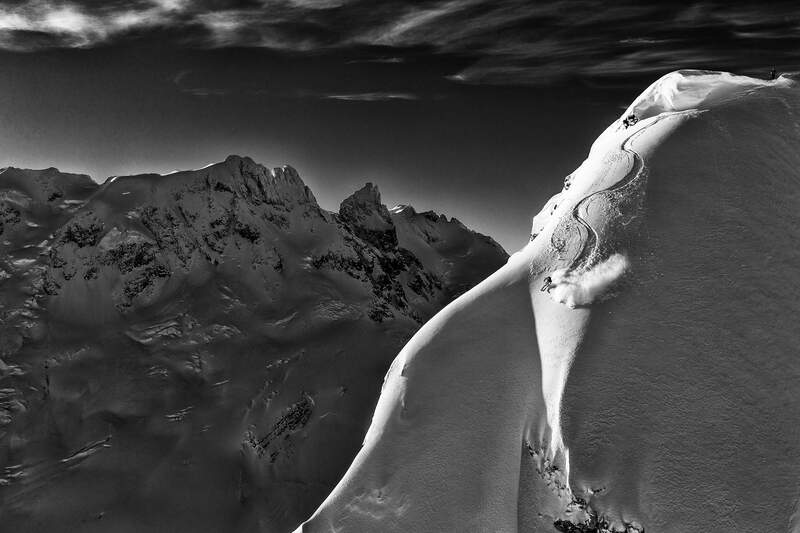 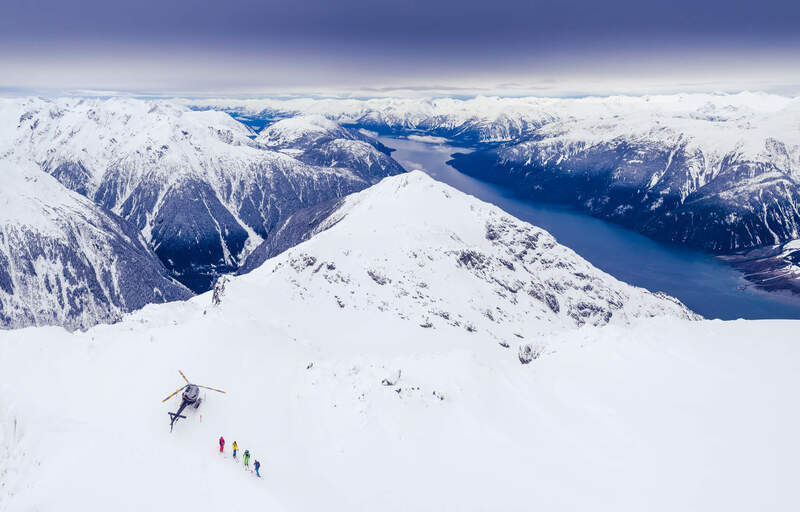 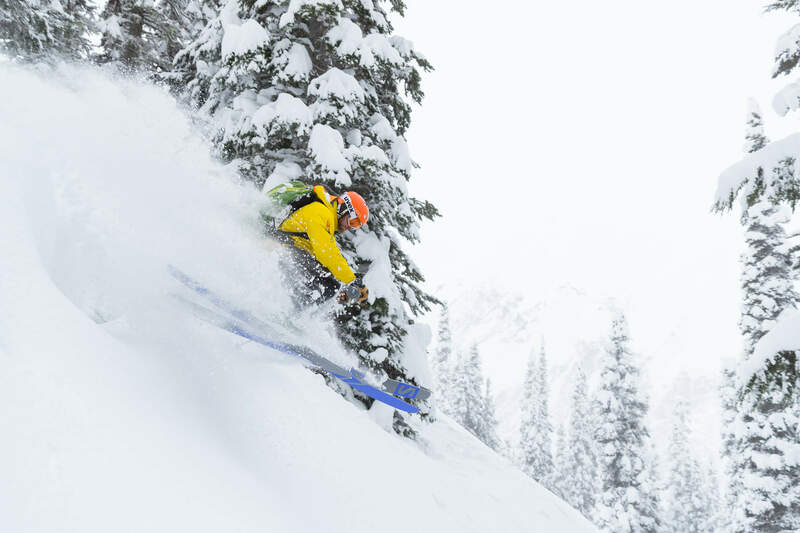 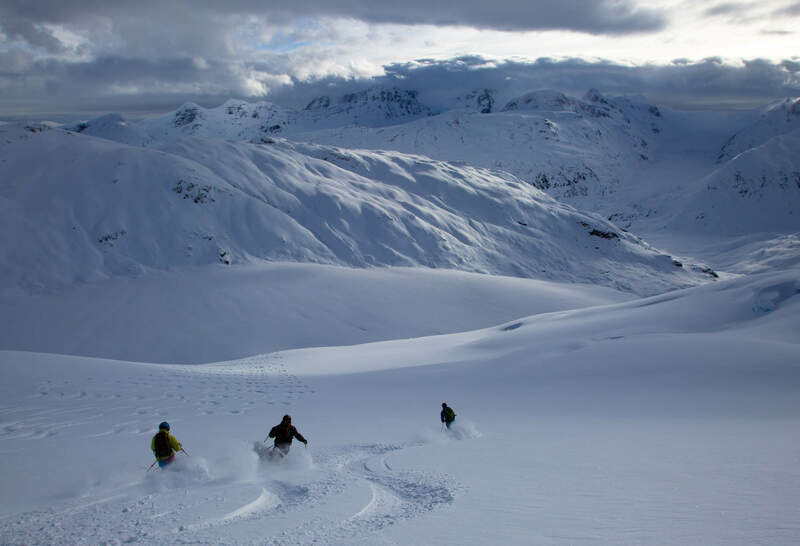 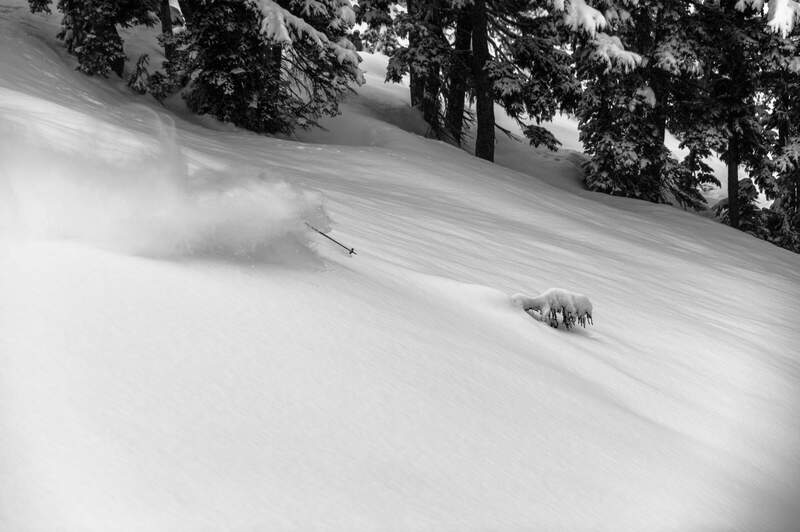 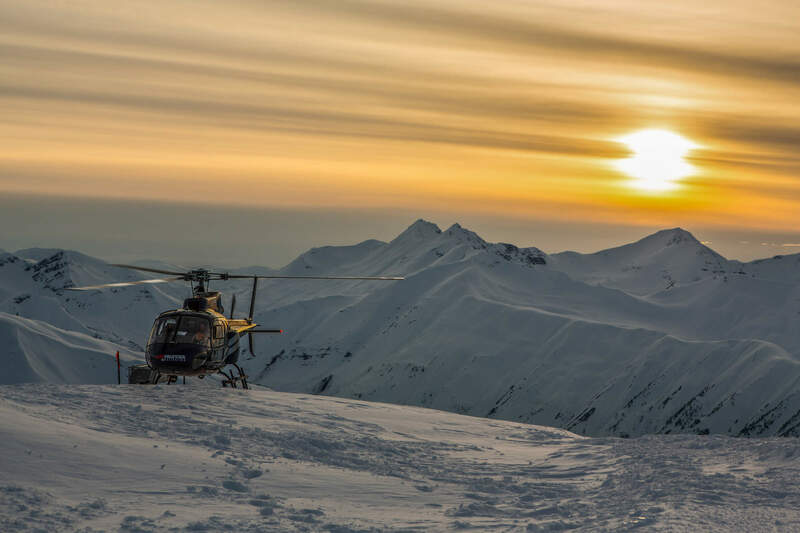 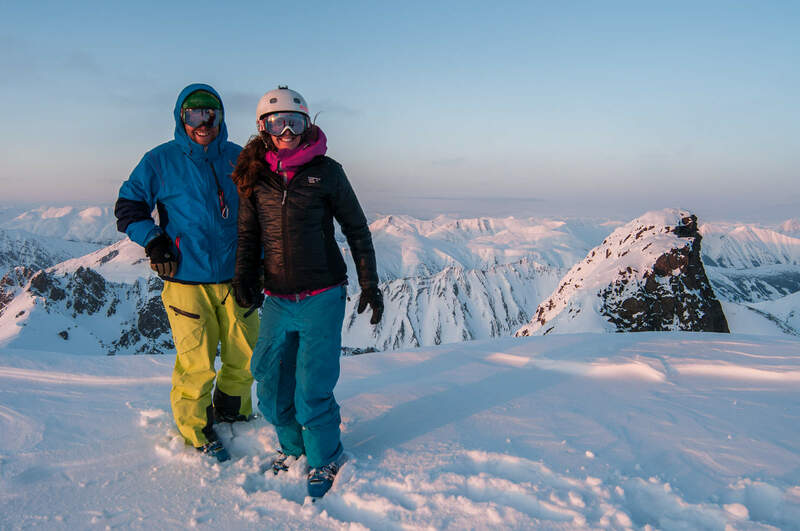 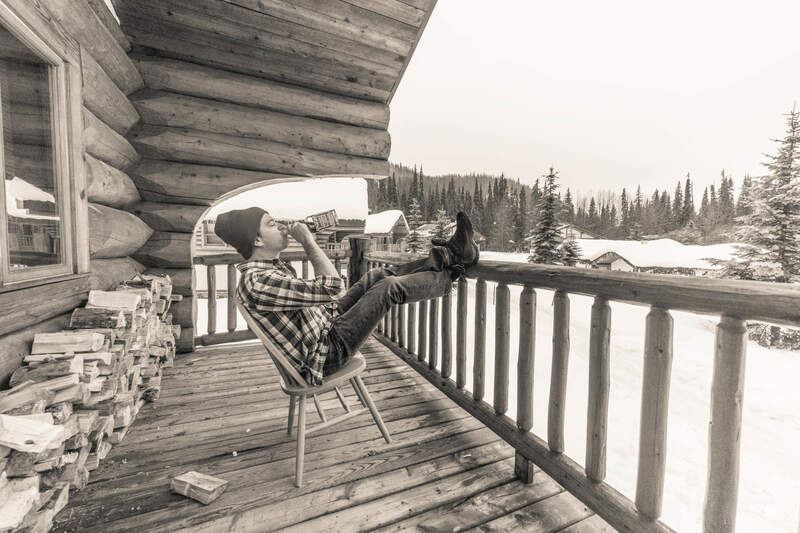 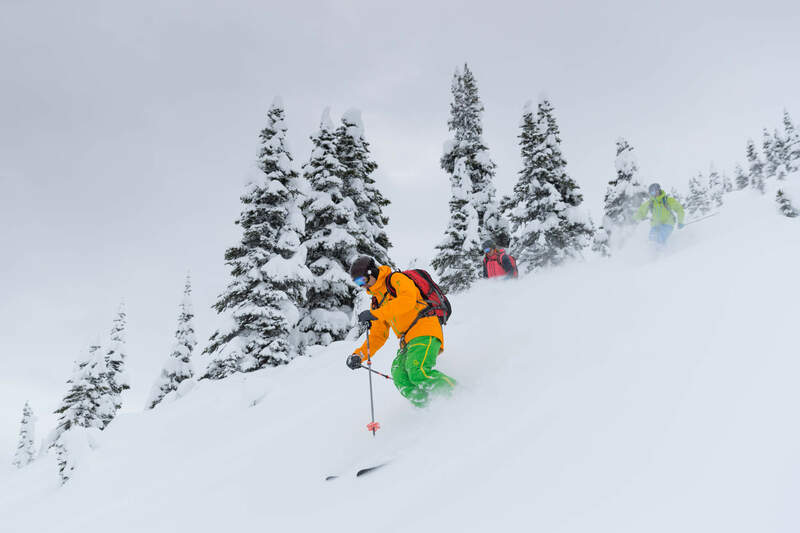 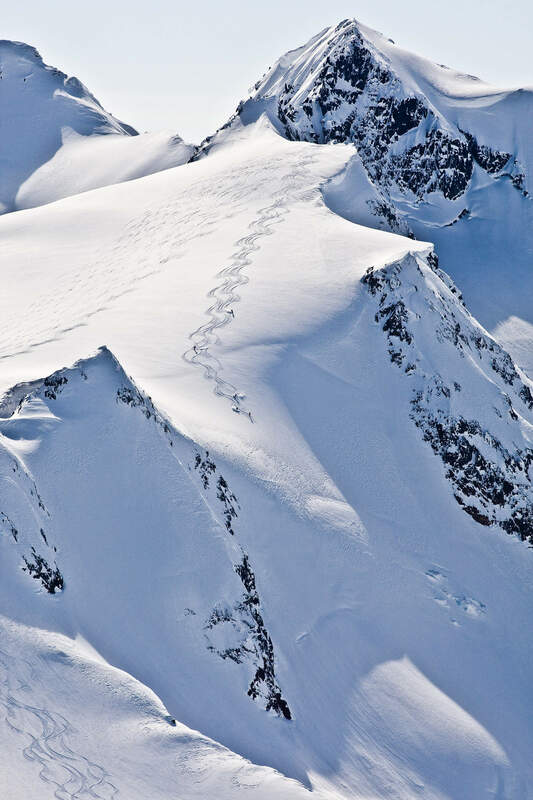 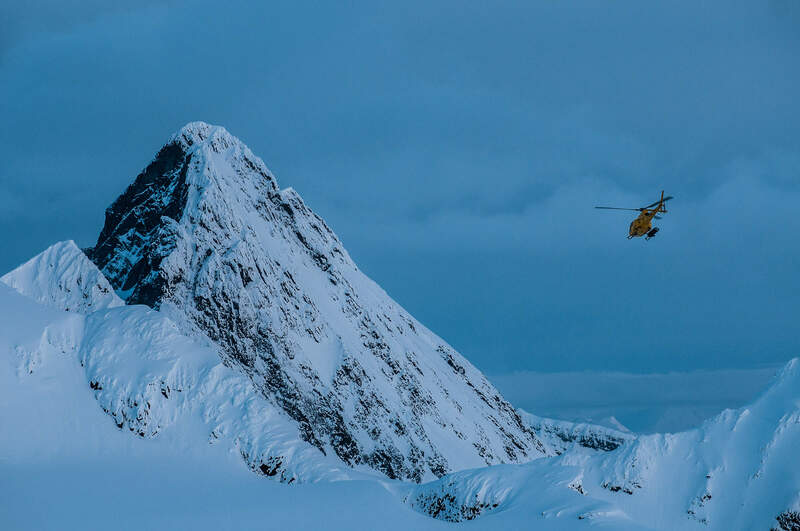 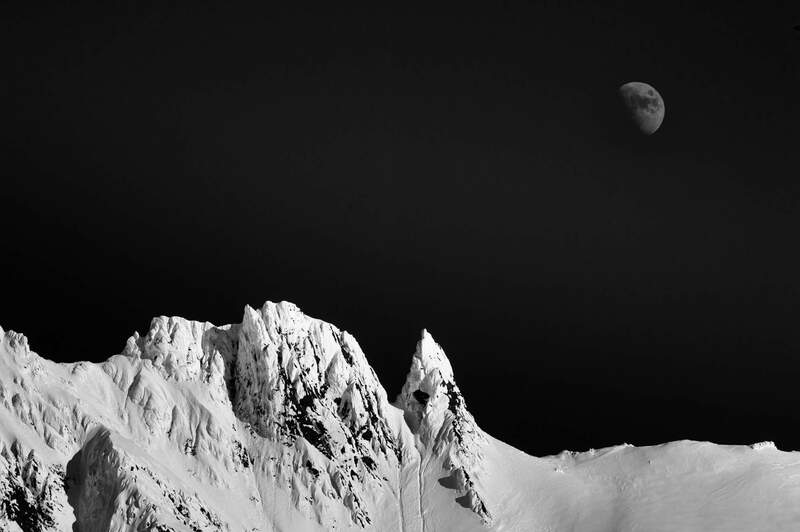 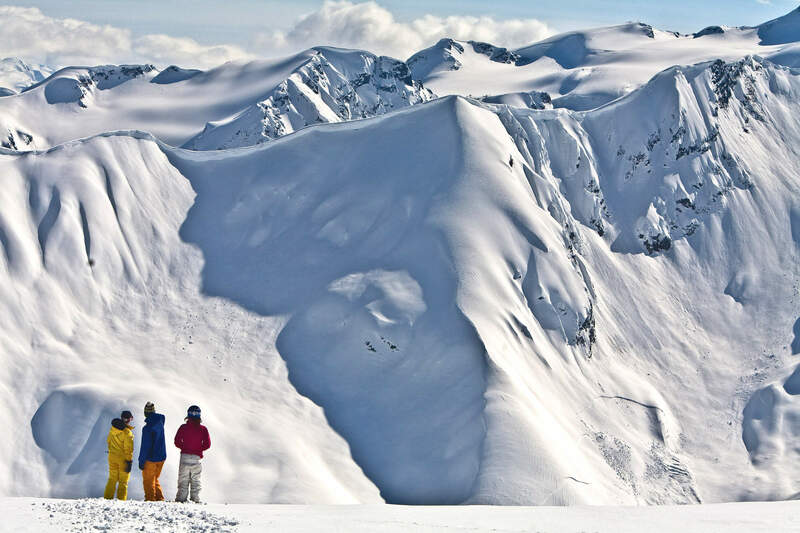 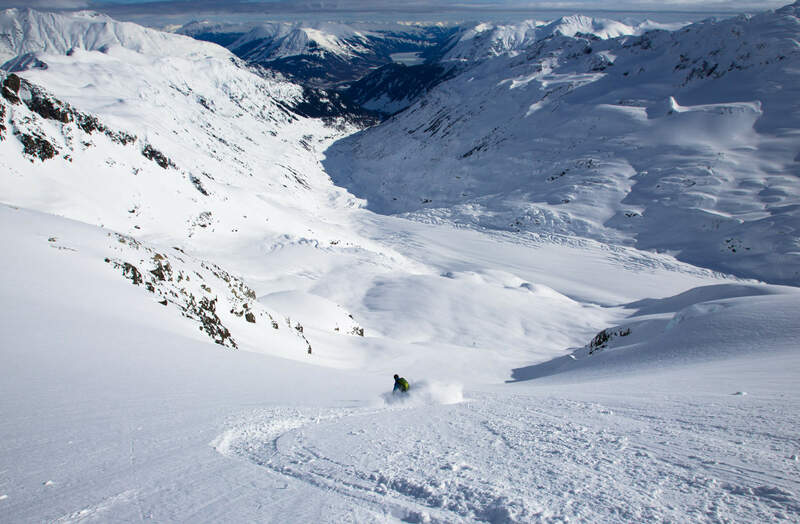 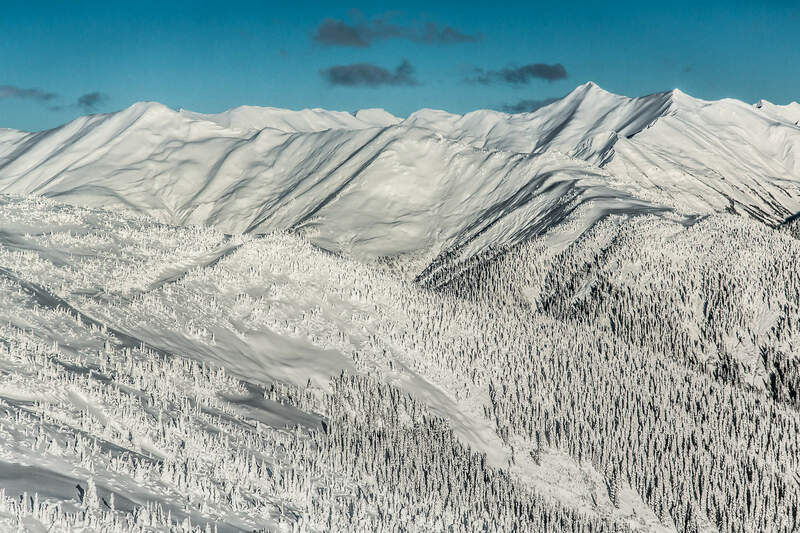 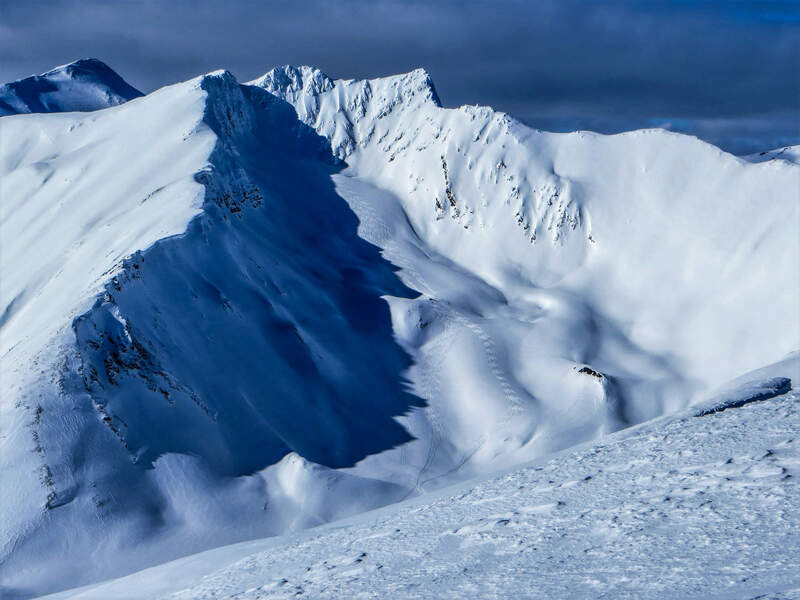 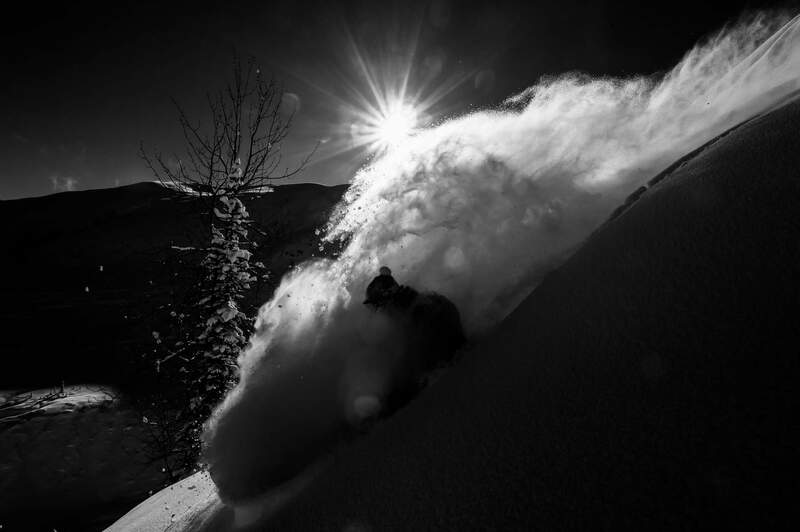 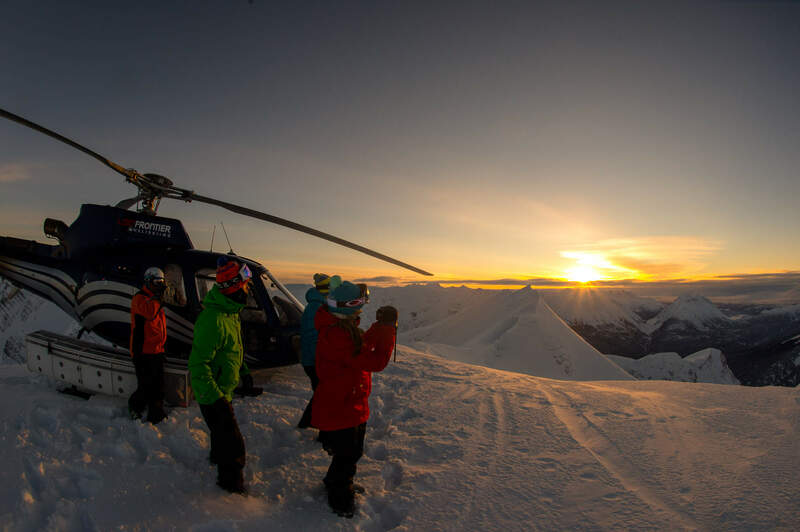 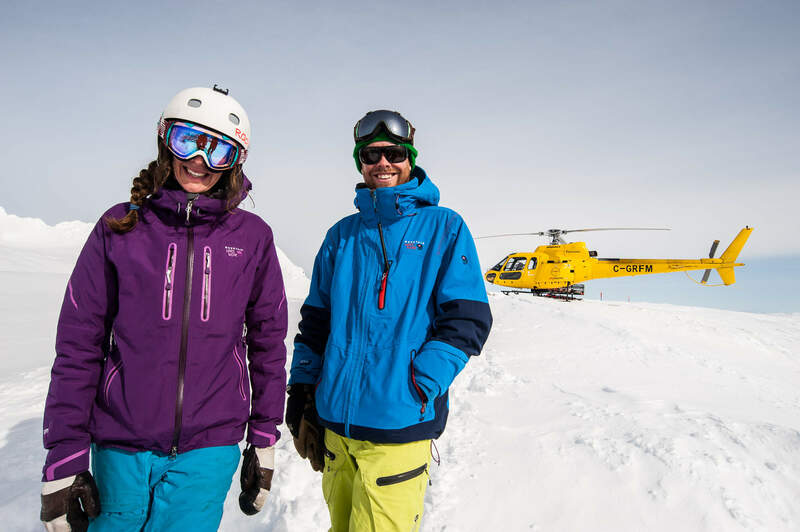 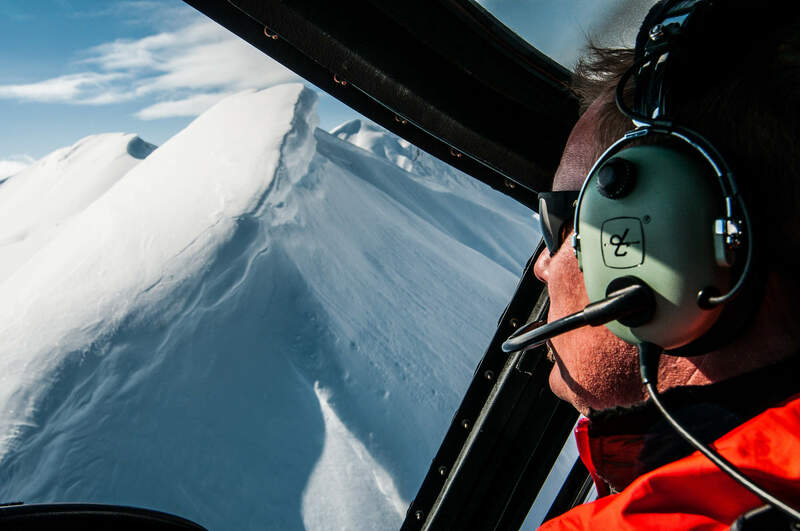 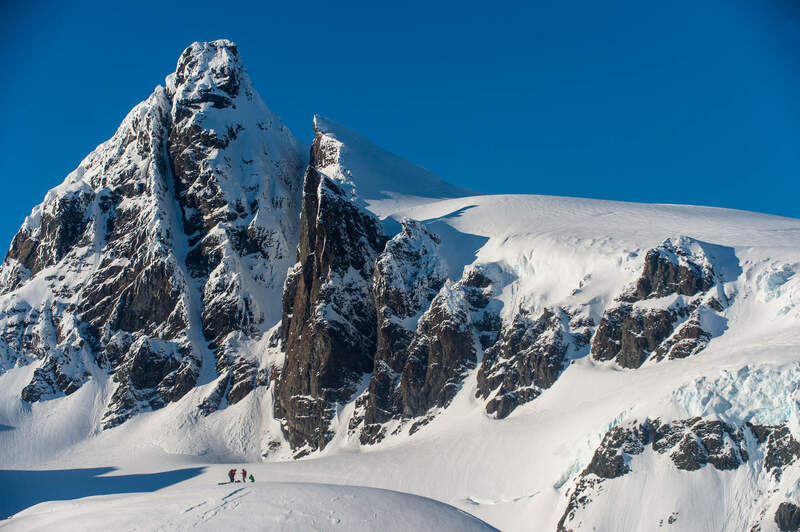 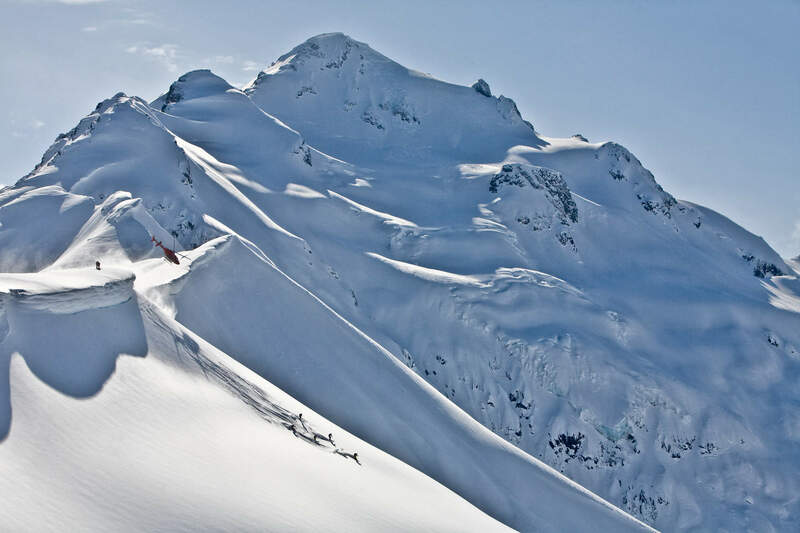 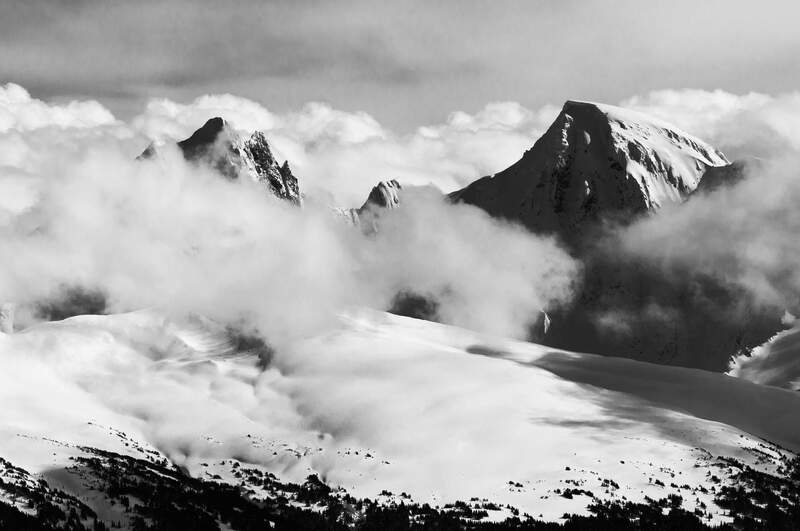 See the latest photo galleries from Last Frontier Heli Skiing. 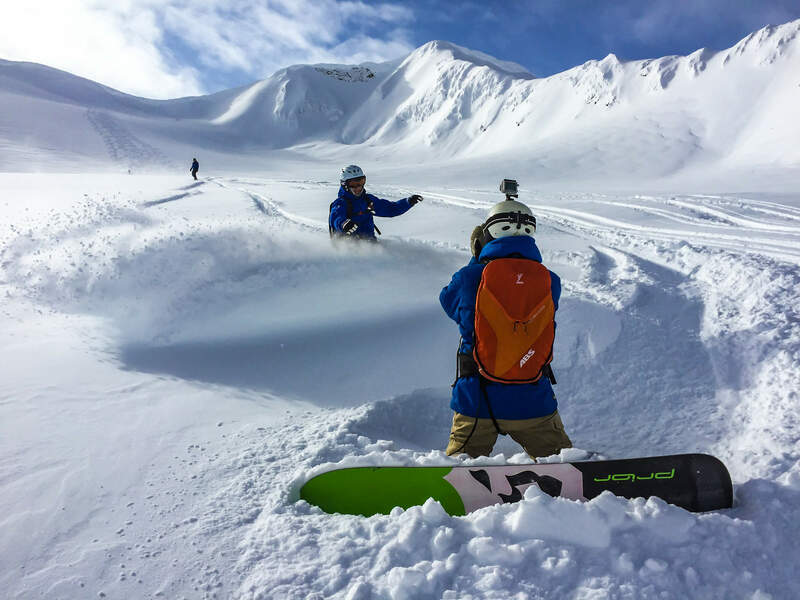 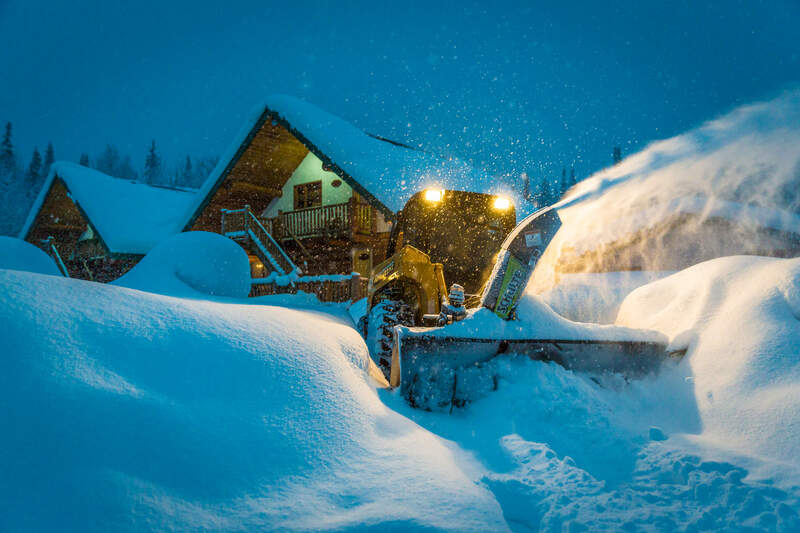 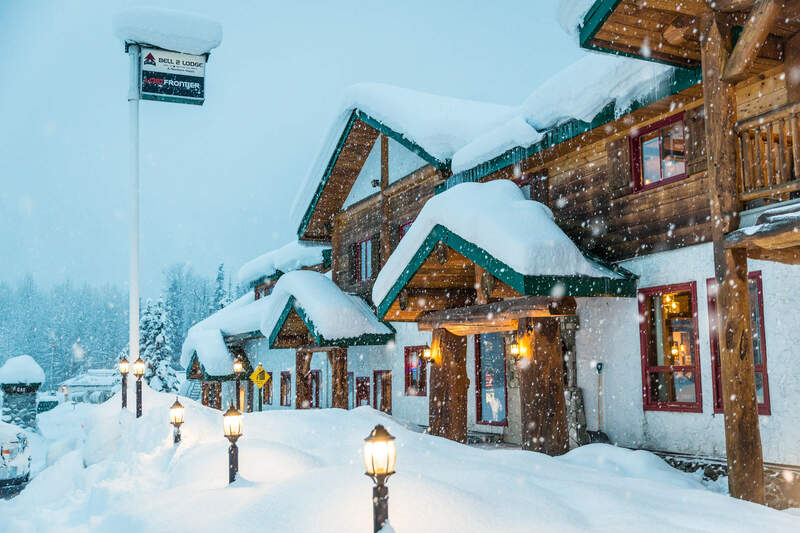 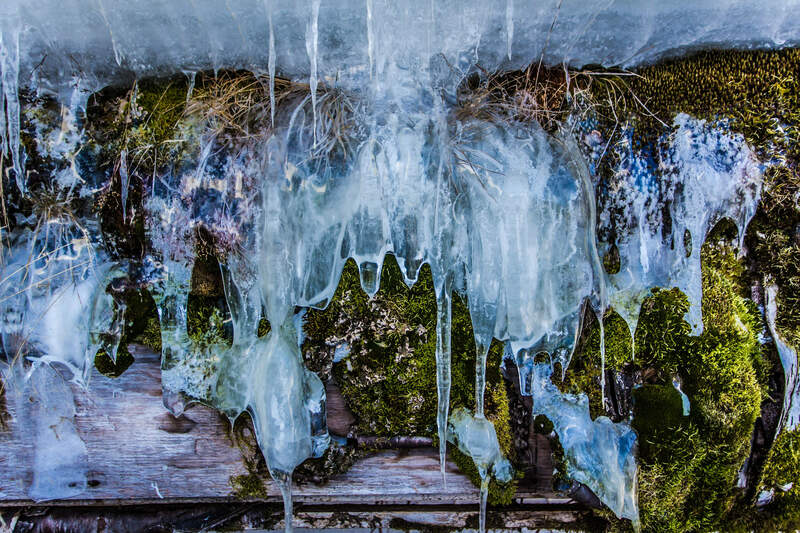 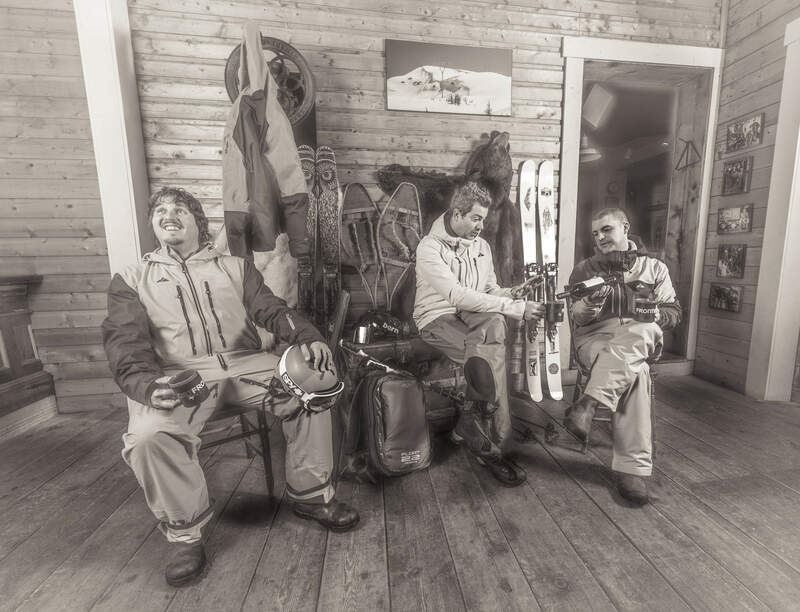 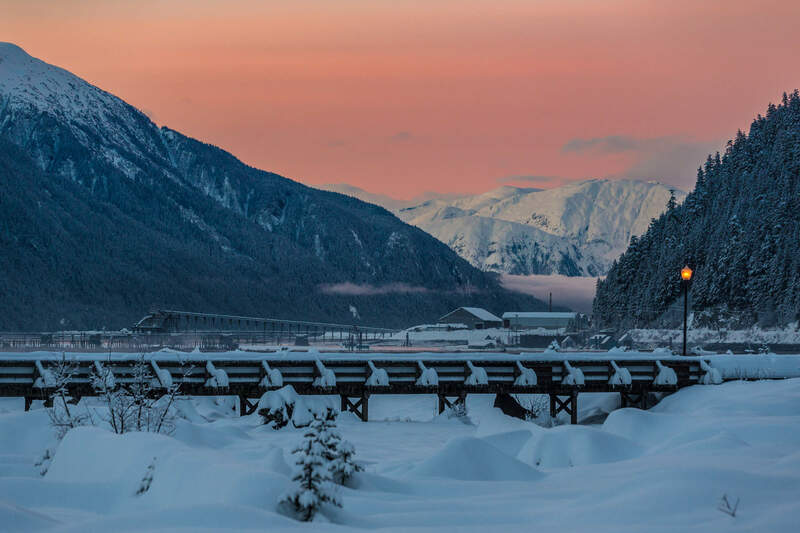 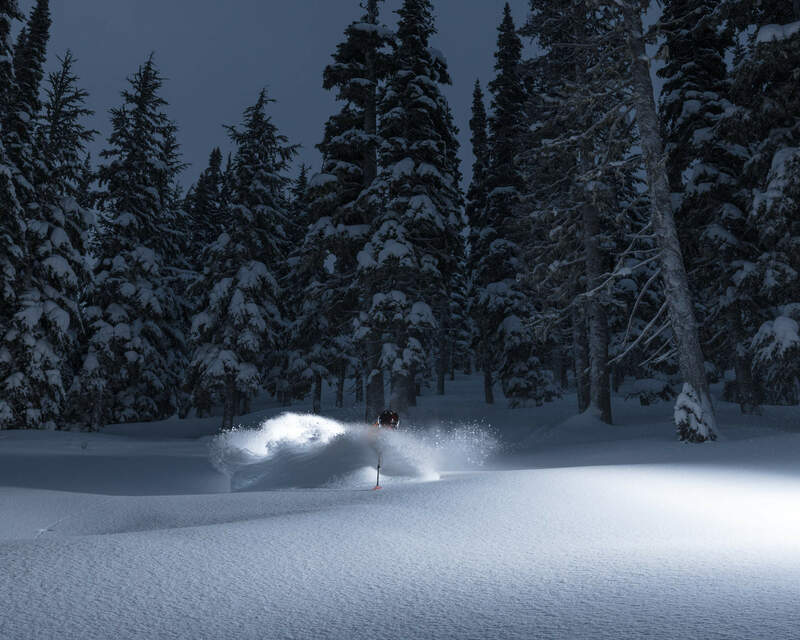 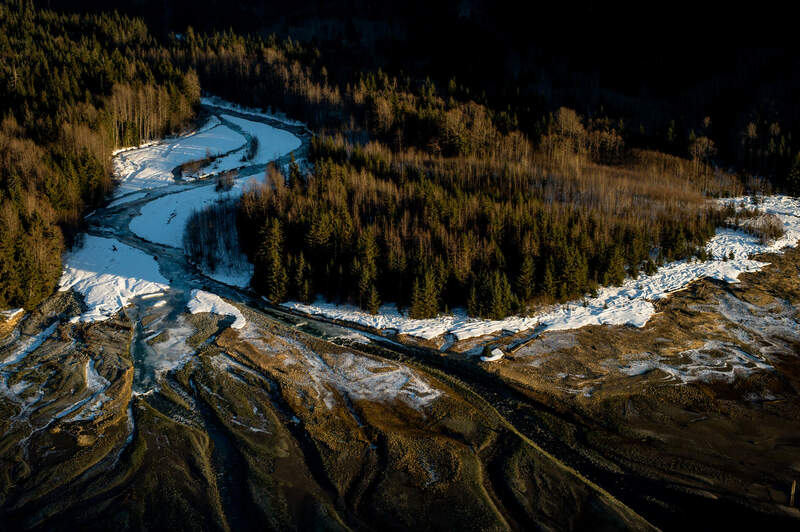 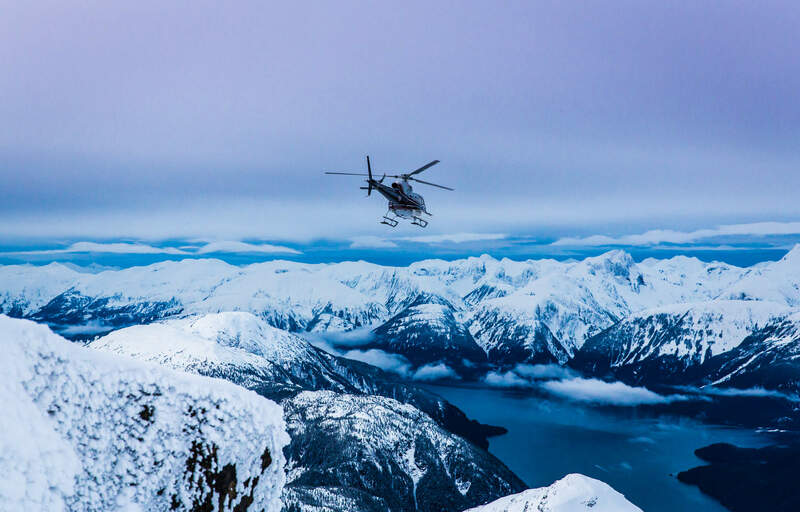 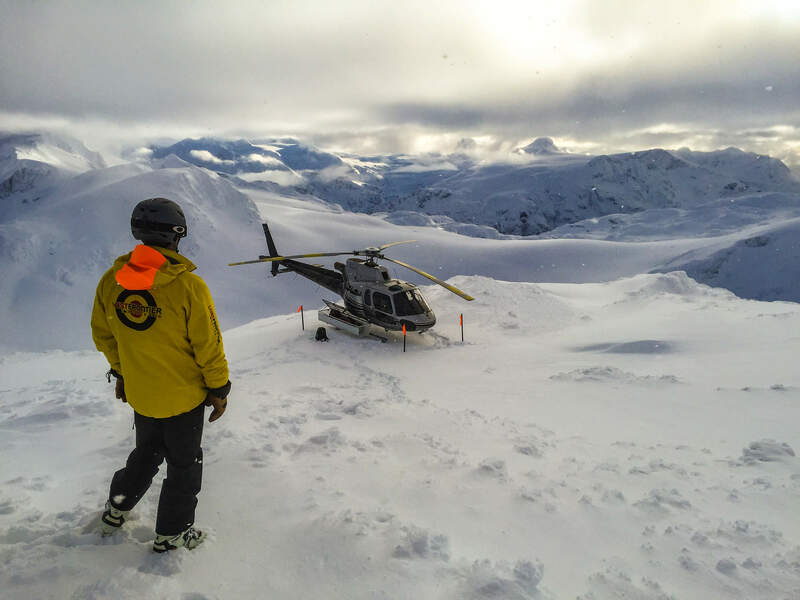 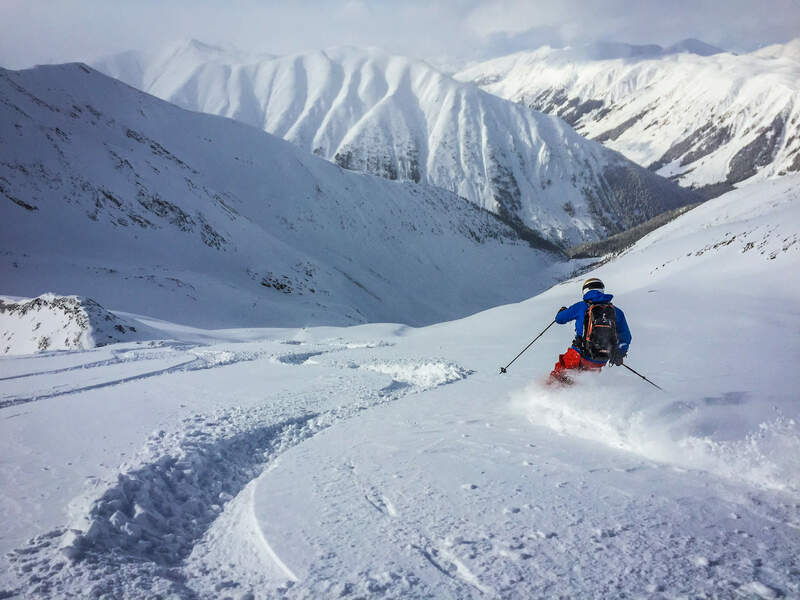 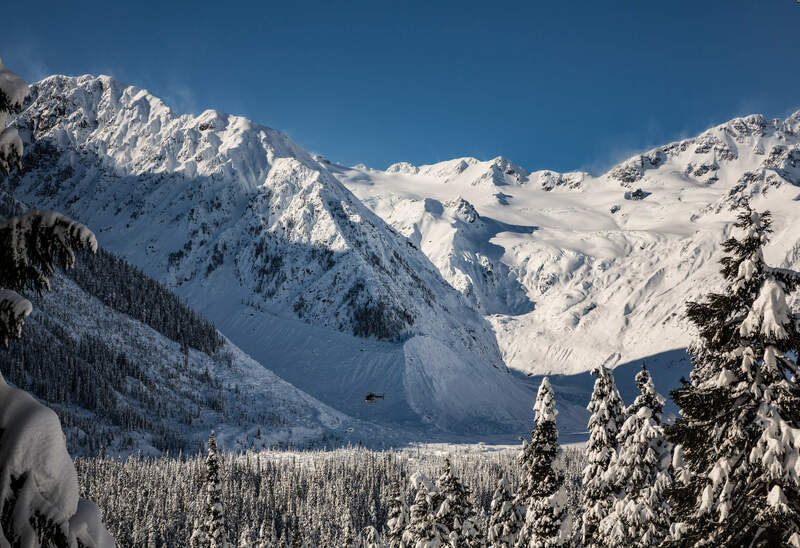 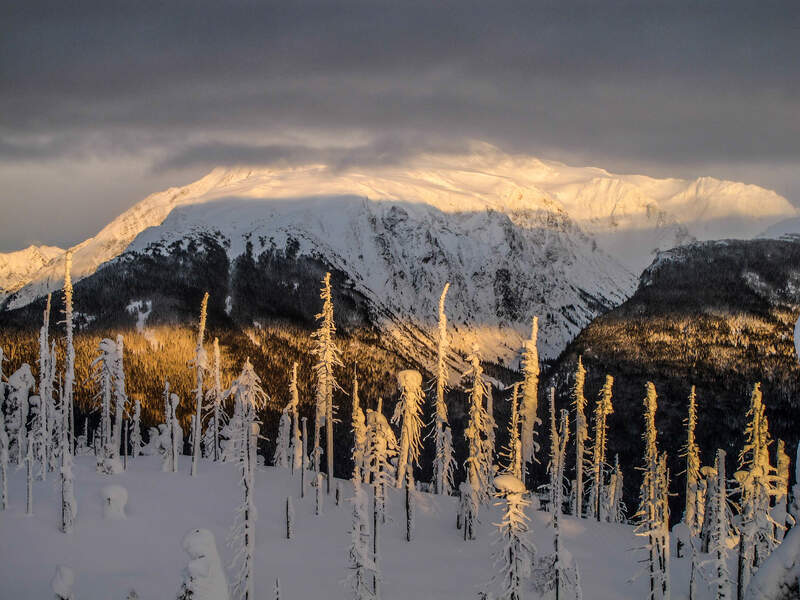 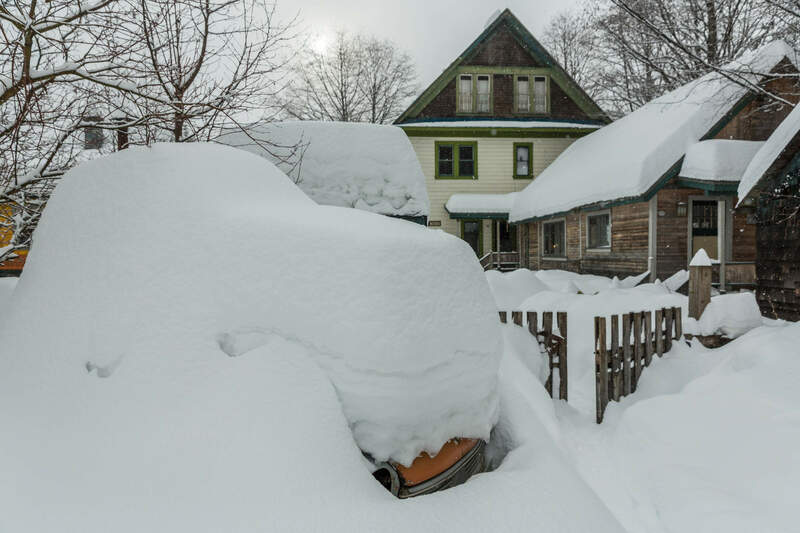 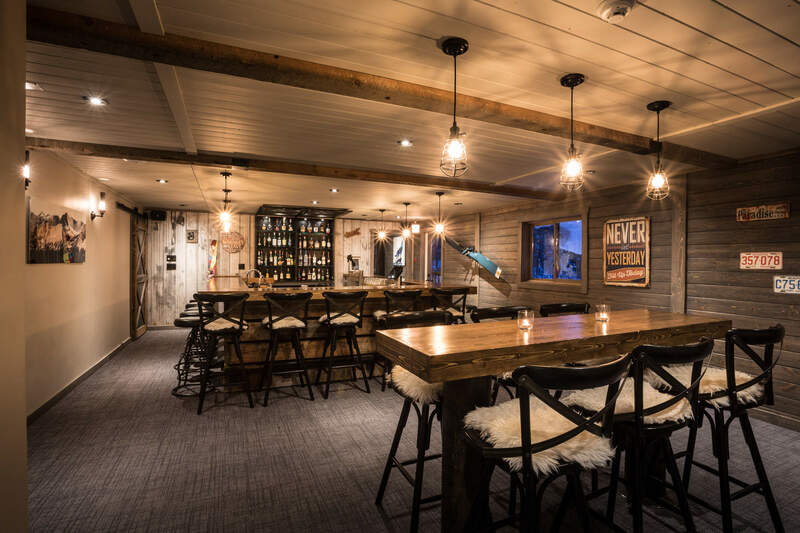 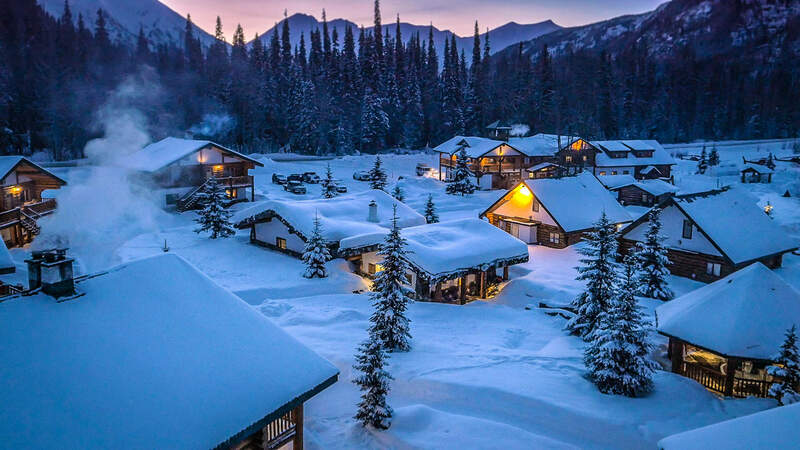 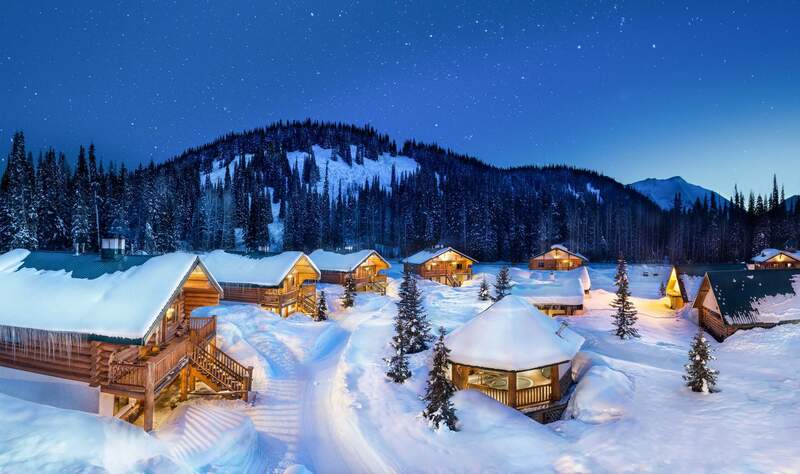 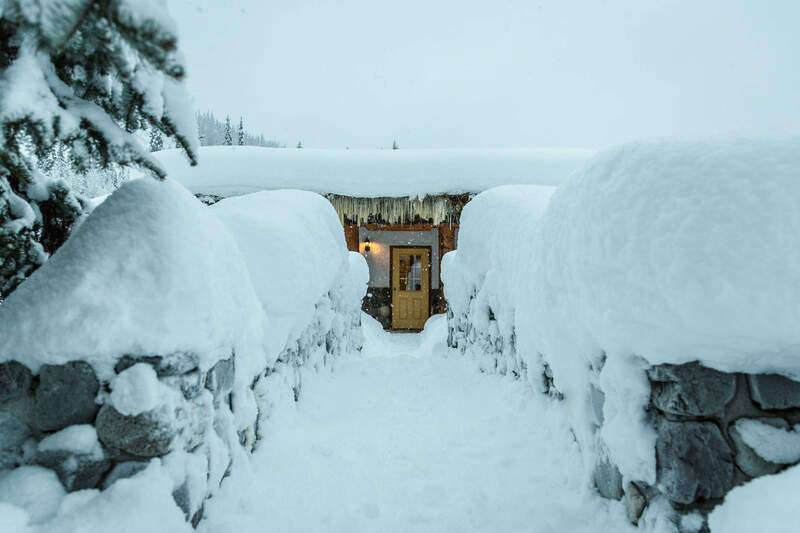 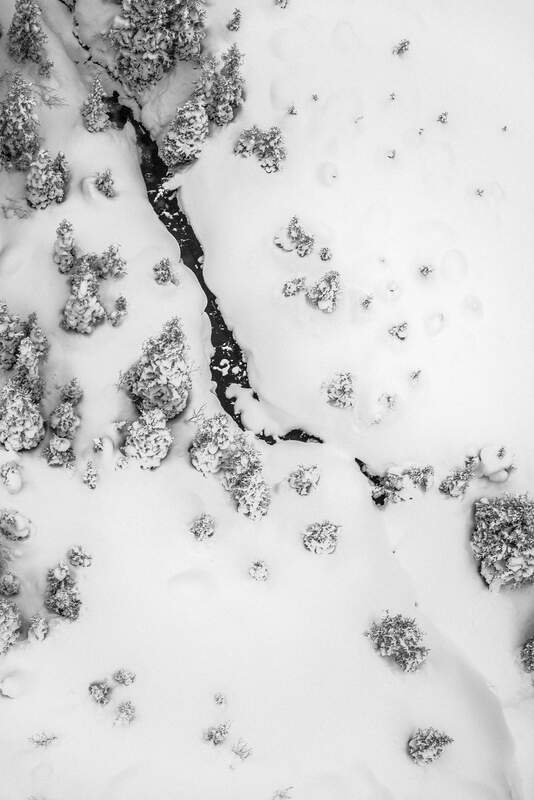 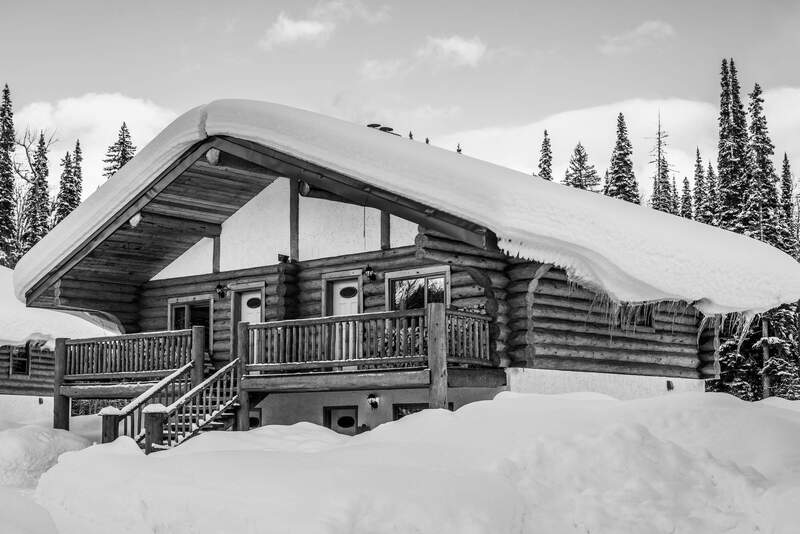 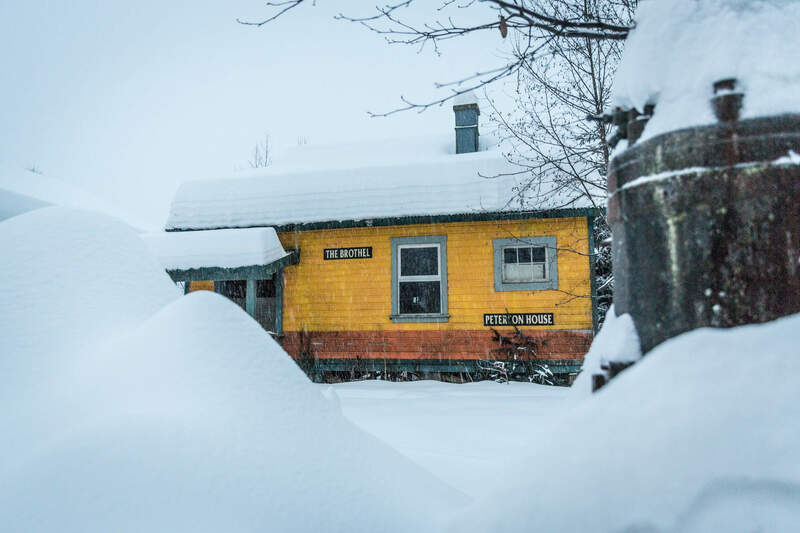 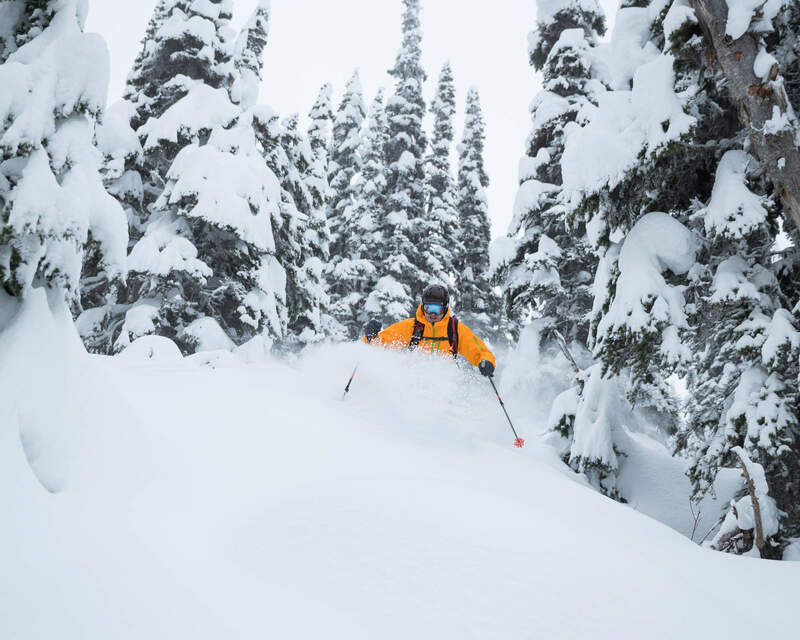 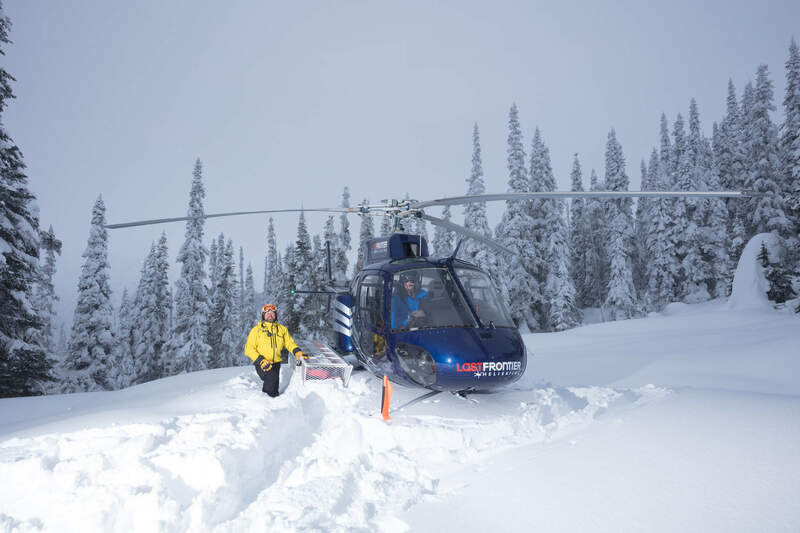 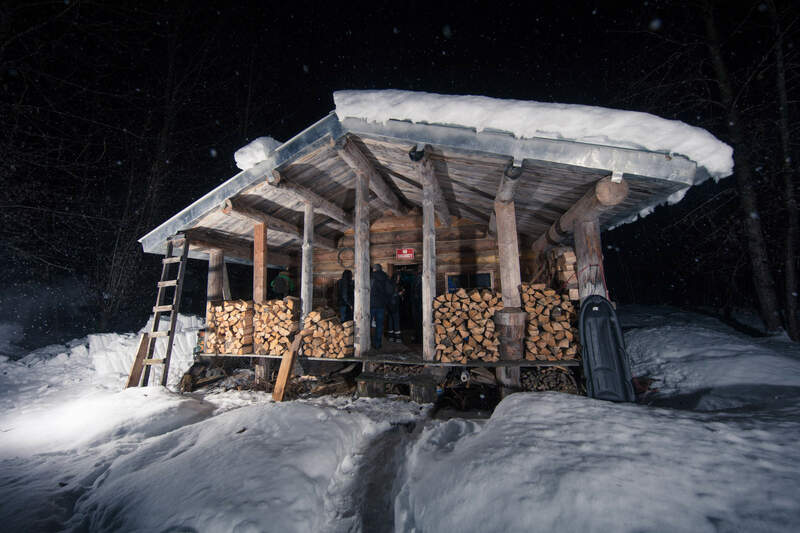 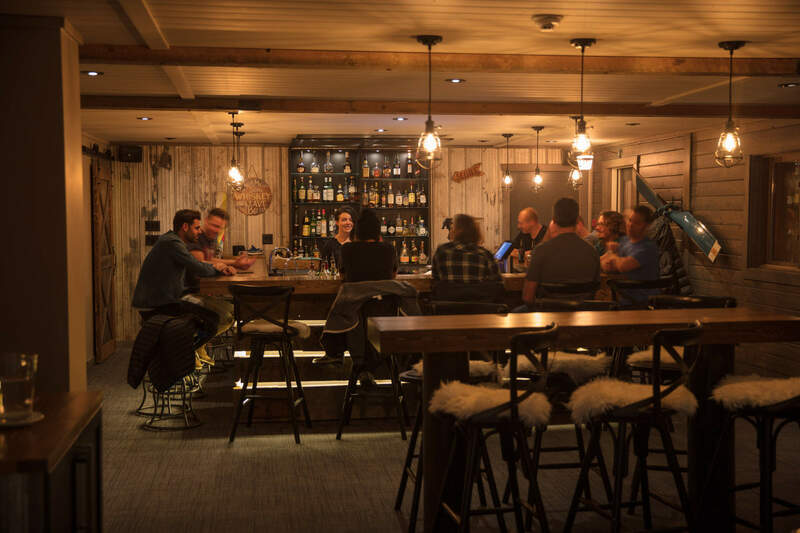 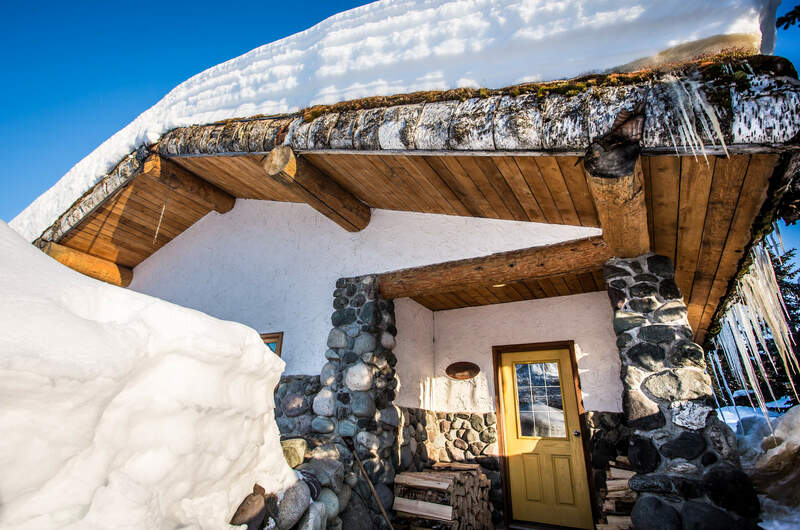 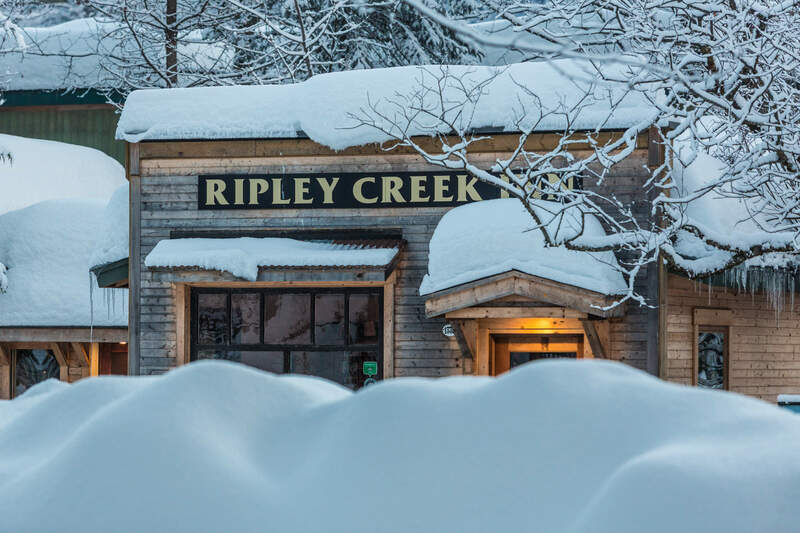 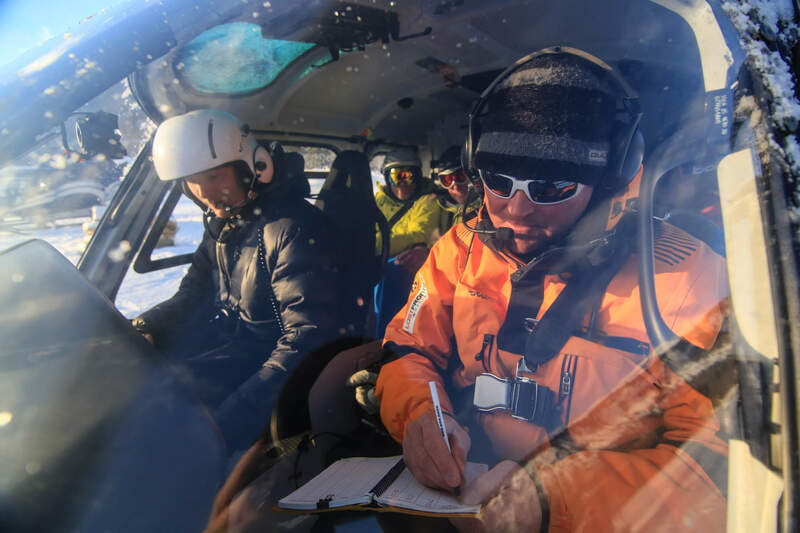 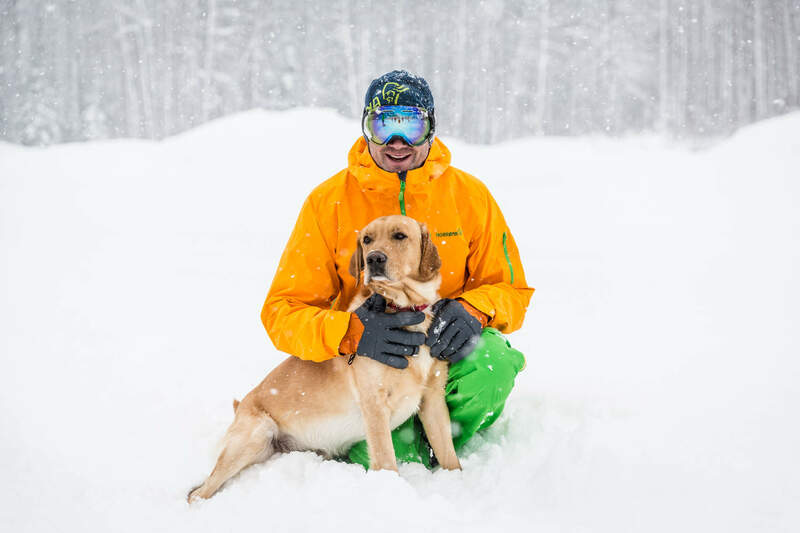 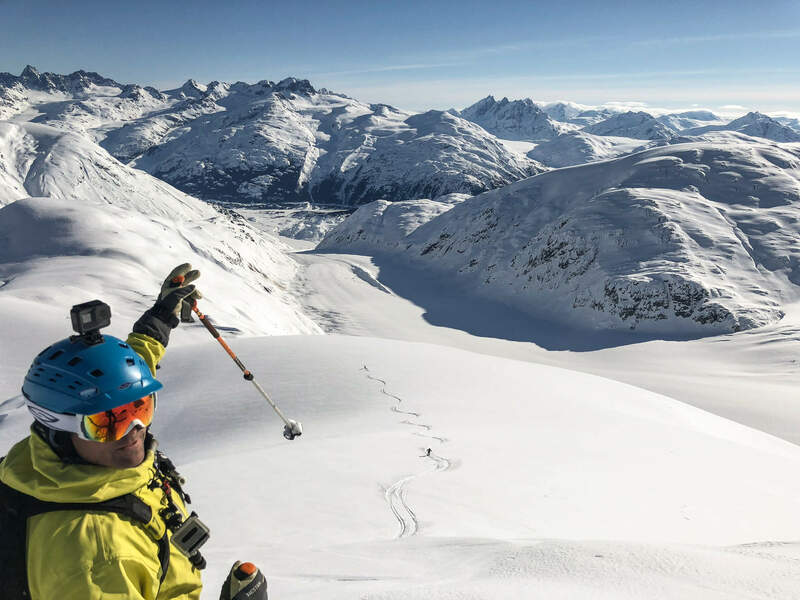 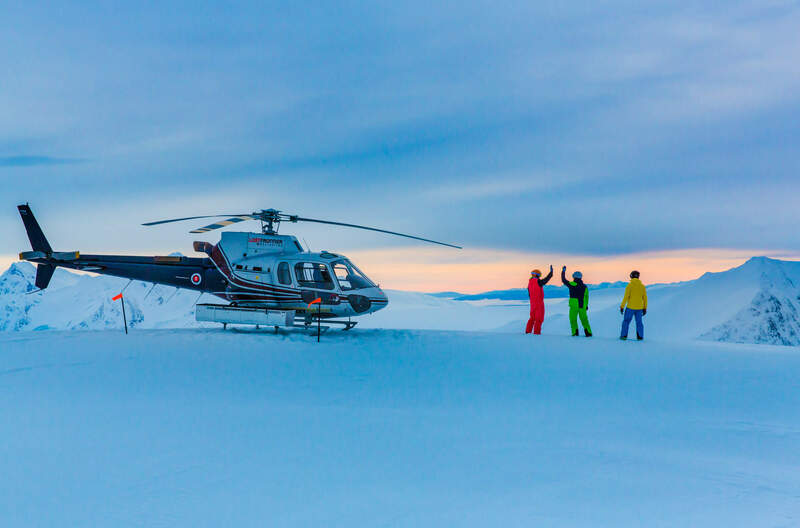 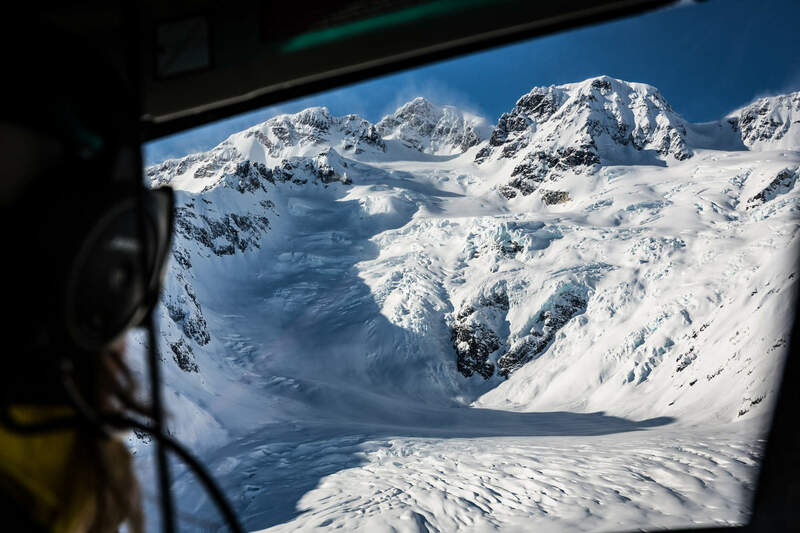 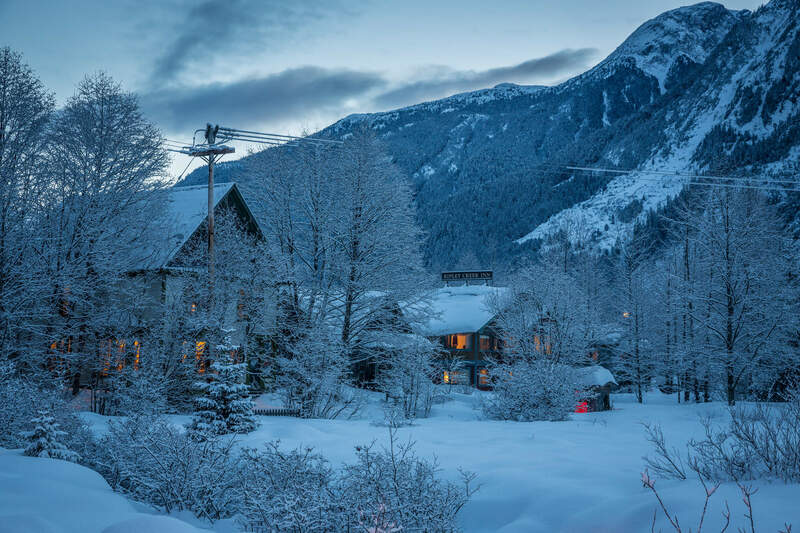 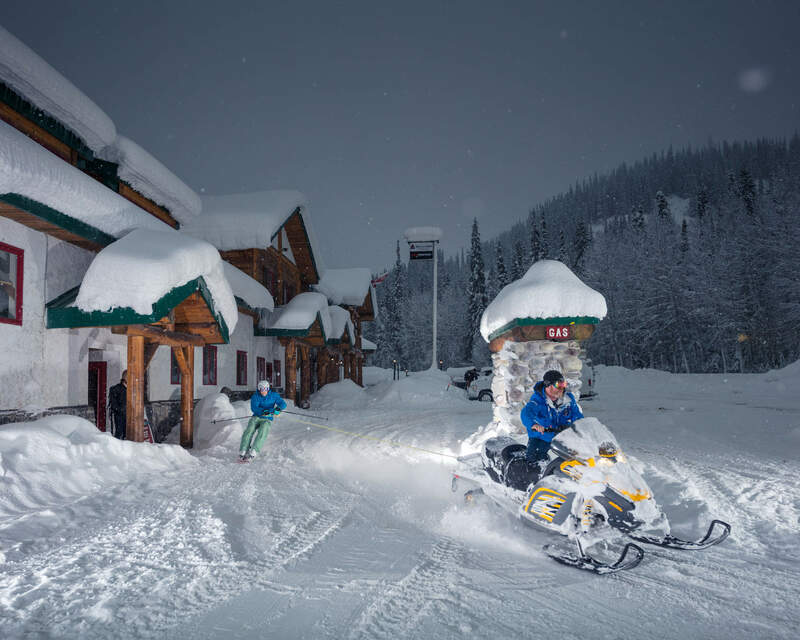 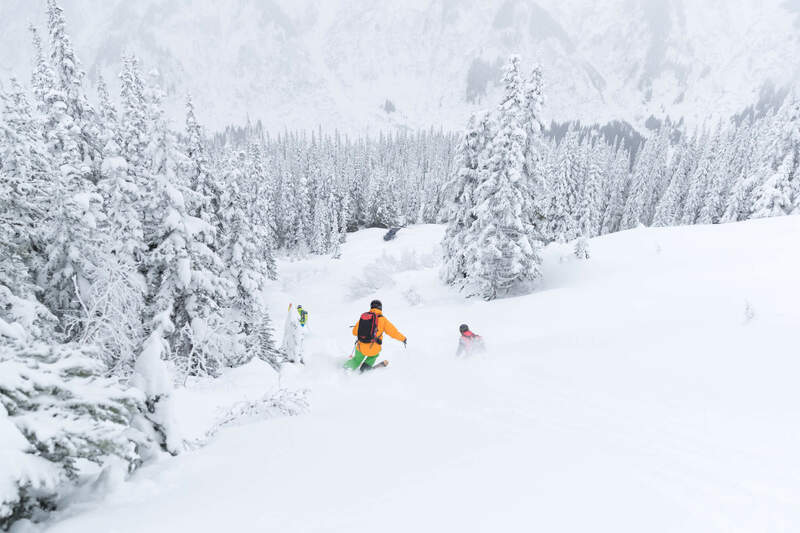 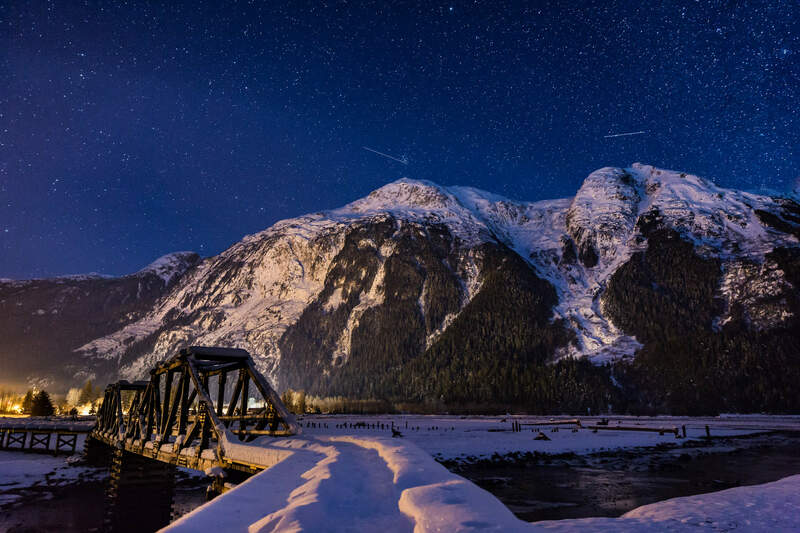 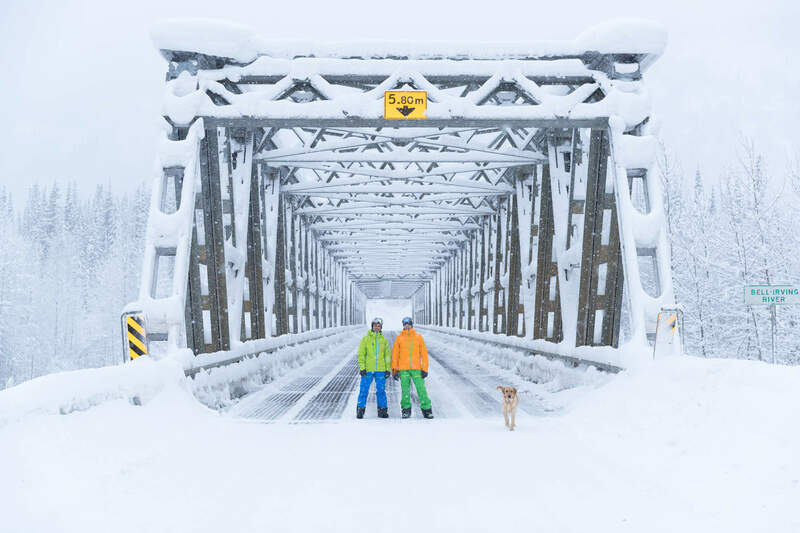 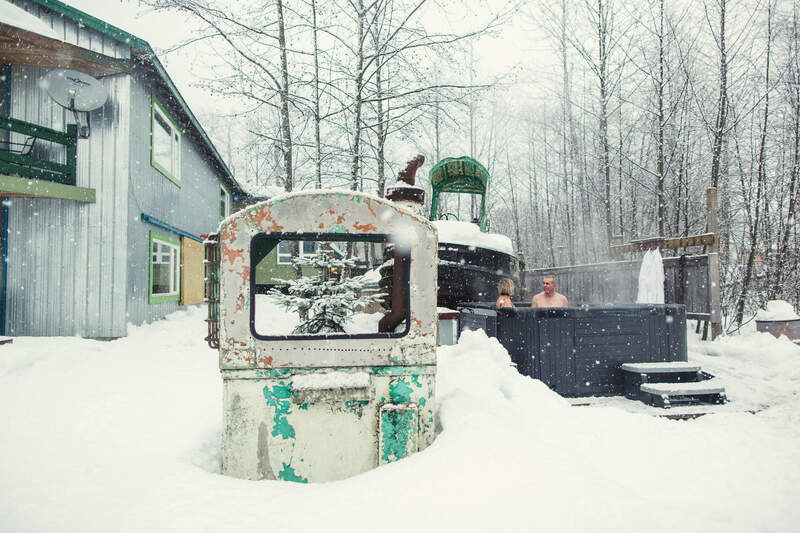 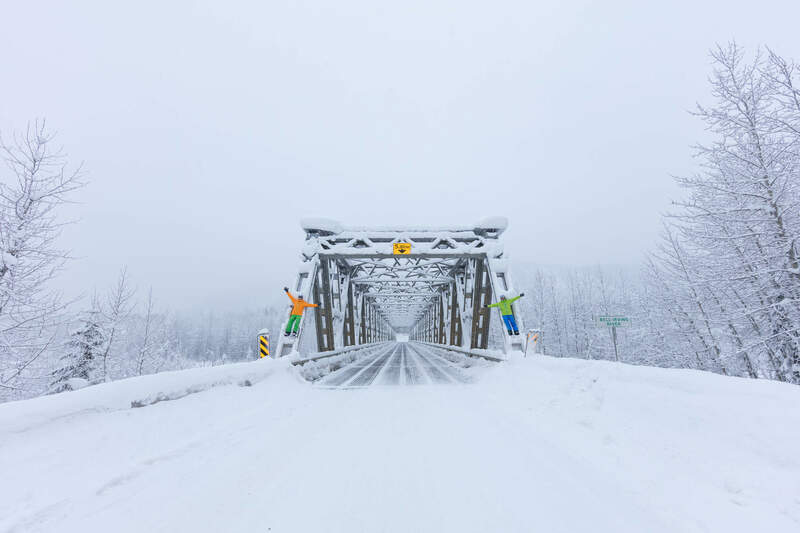 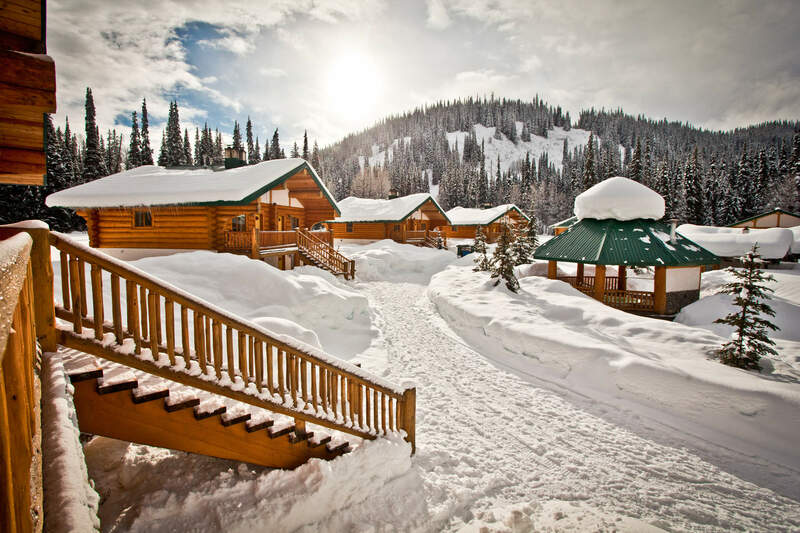 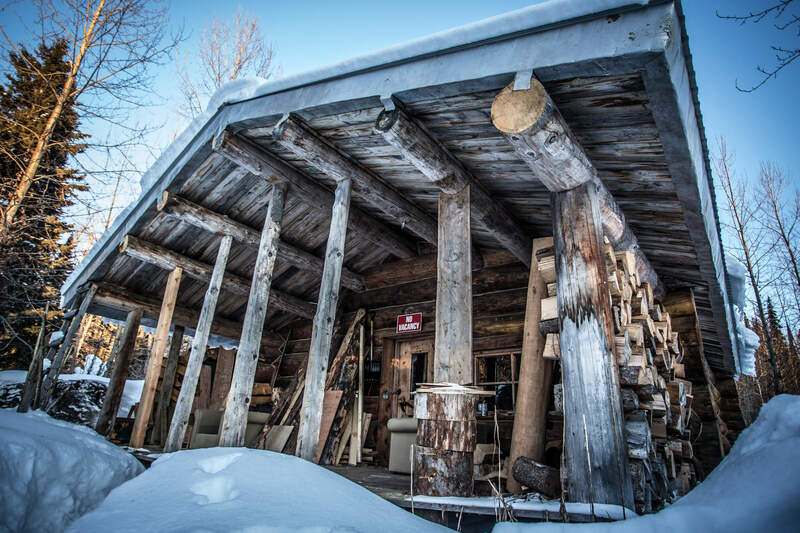 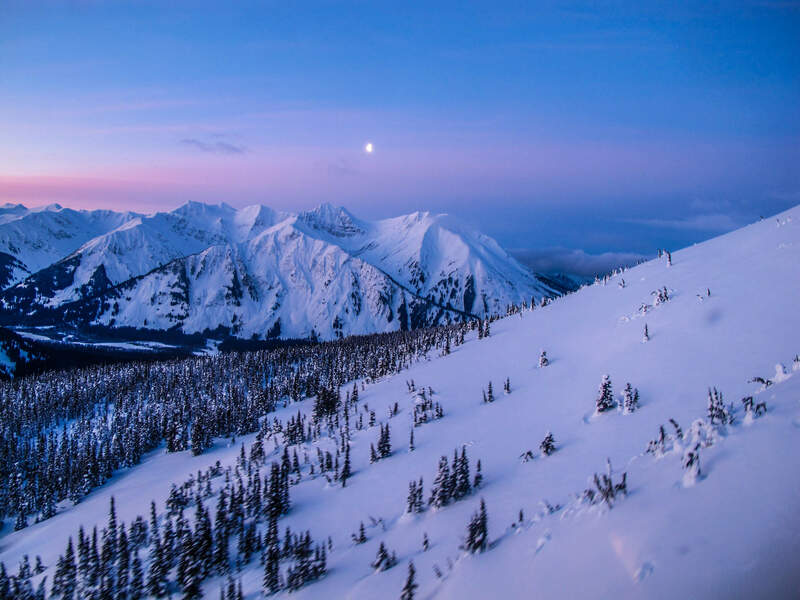 Geoff Holman, John Holman, Todd Avison and Adam Benson made their way up North to Bell 2 Lodge to capture the snowy world we live in. 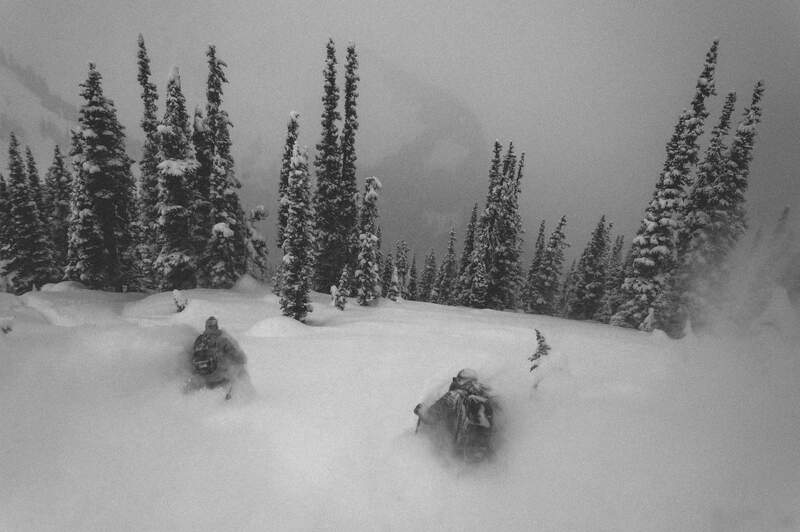 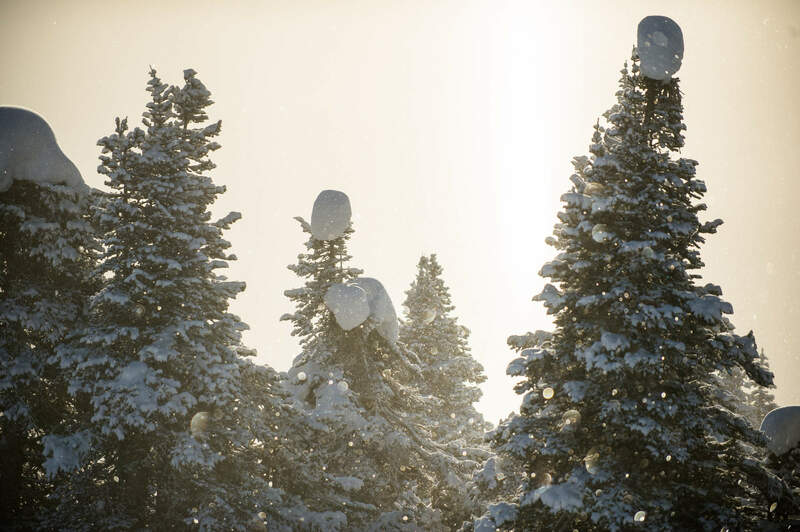 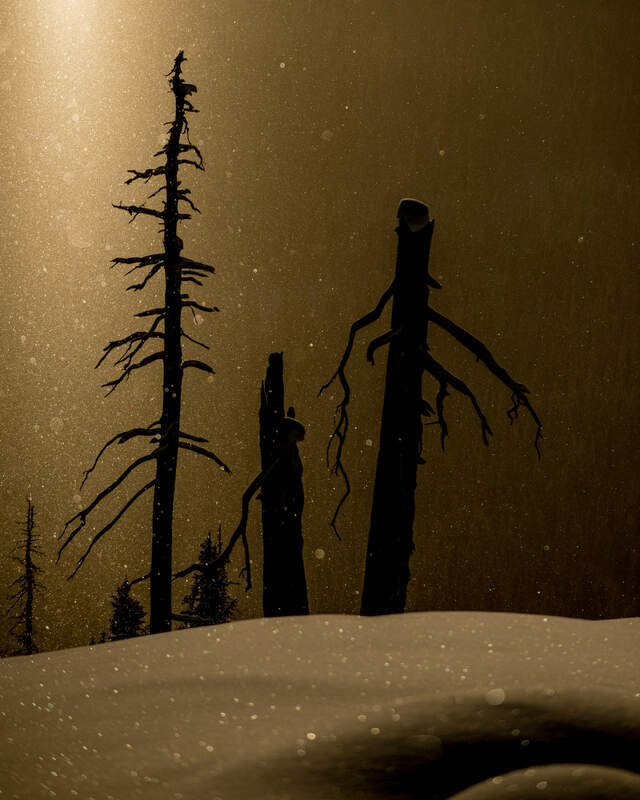 Several storm systems pounded us while they were there and that made for some very deep days in the trees.